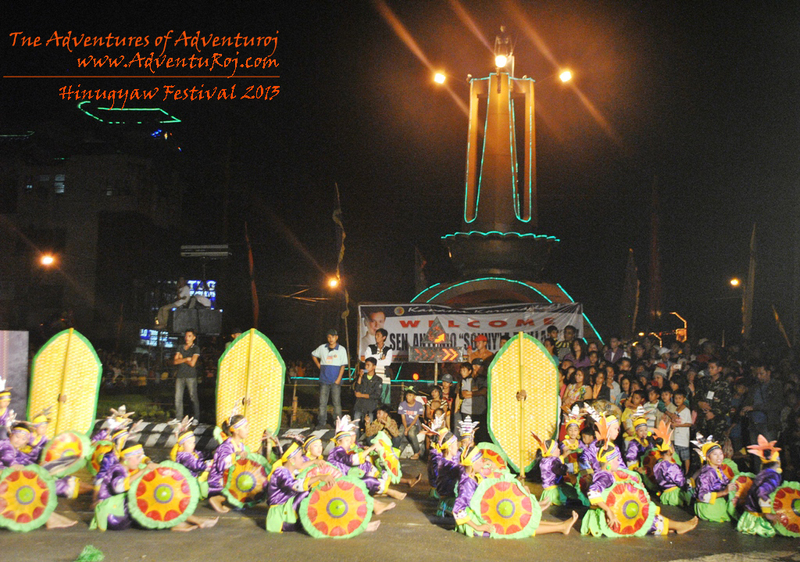 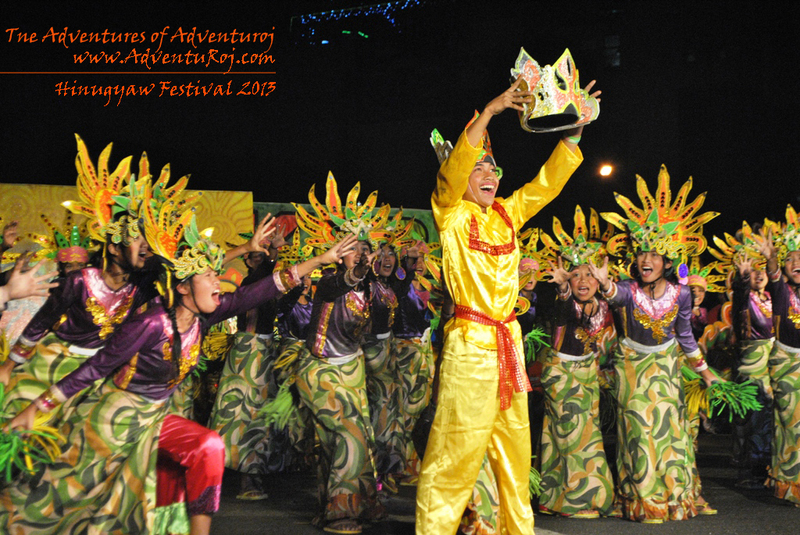 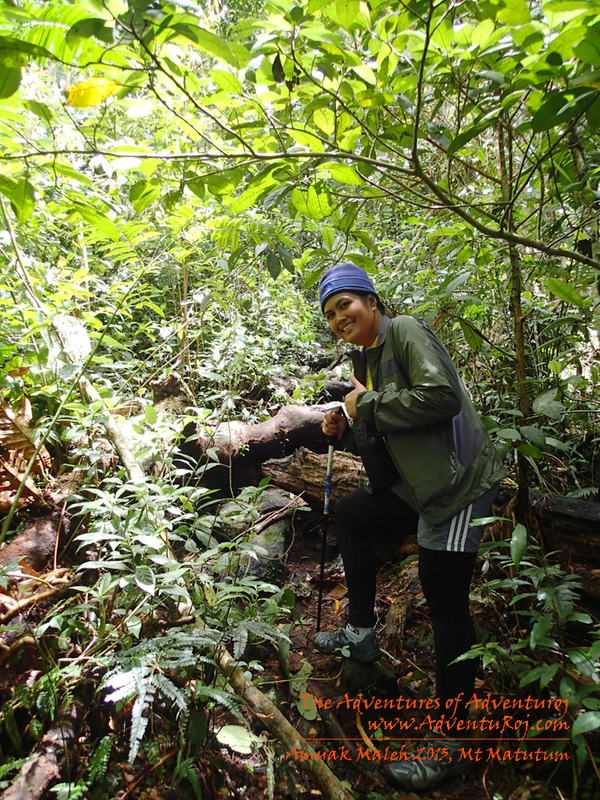 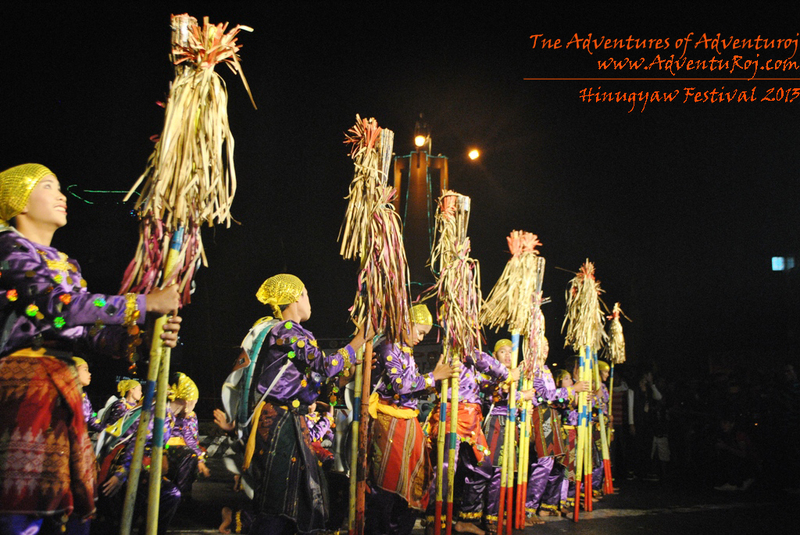 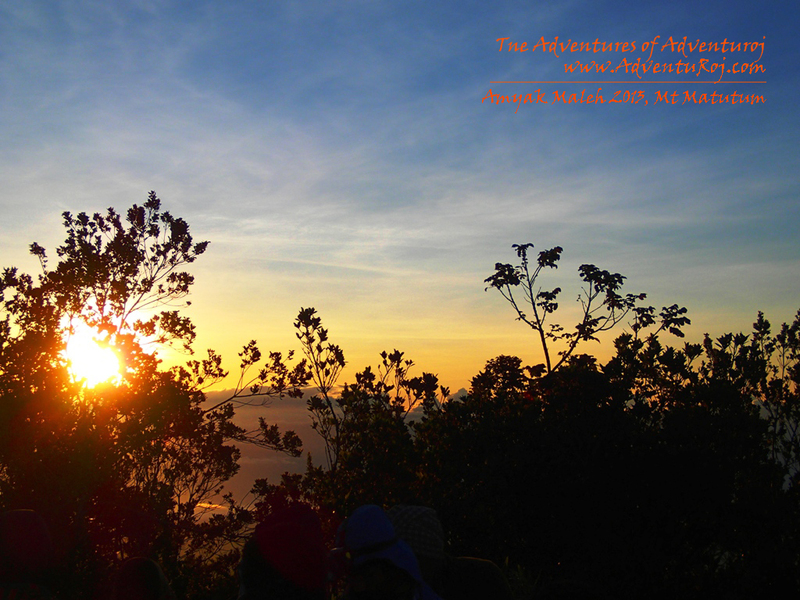 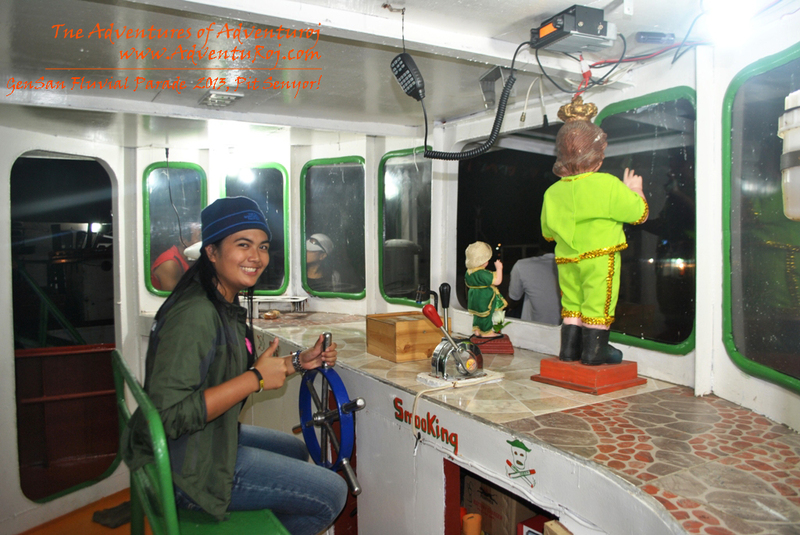 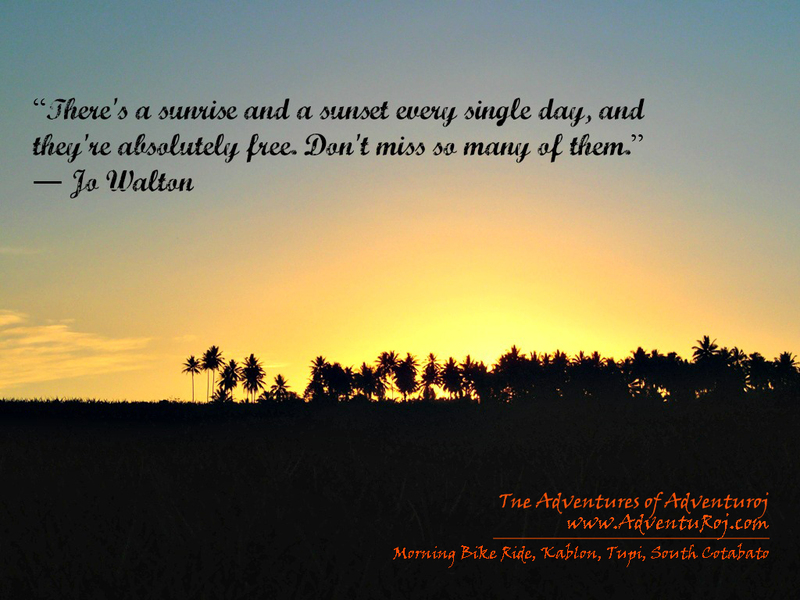 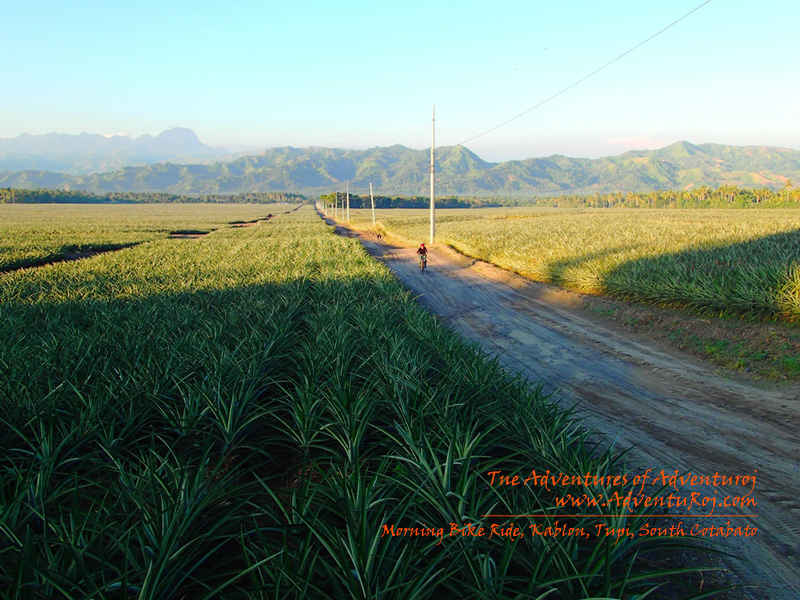 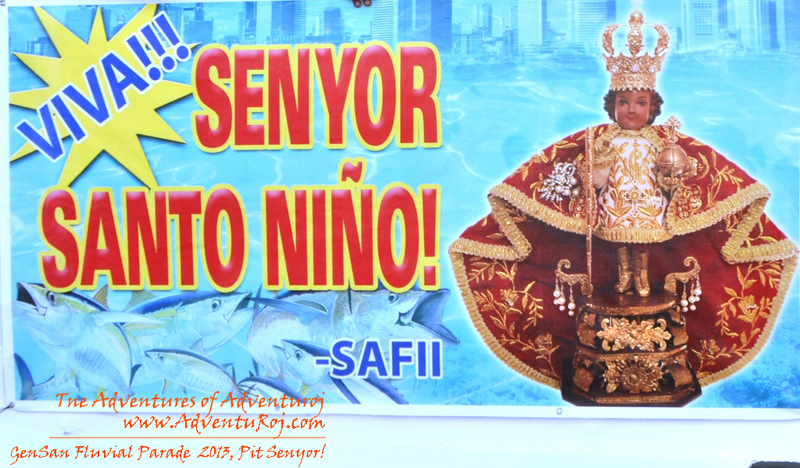 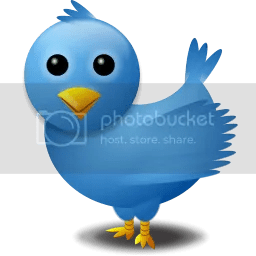 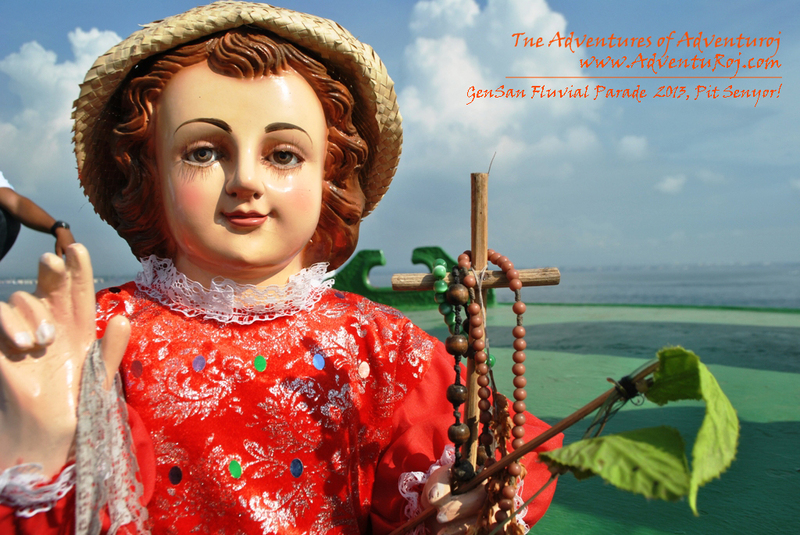 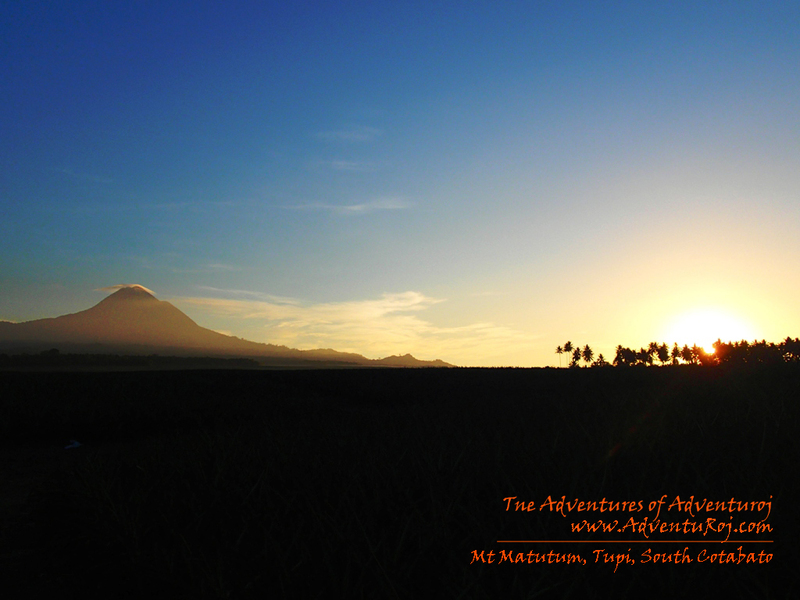 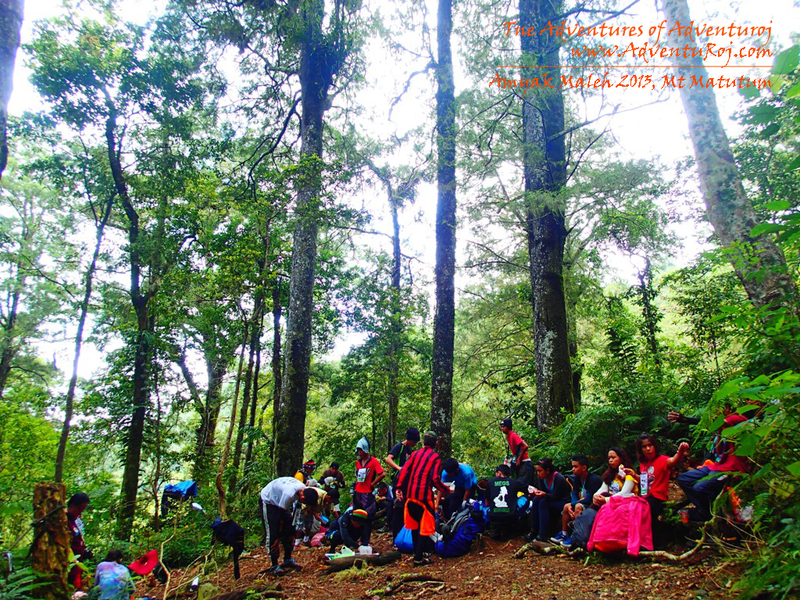 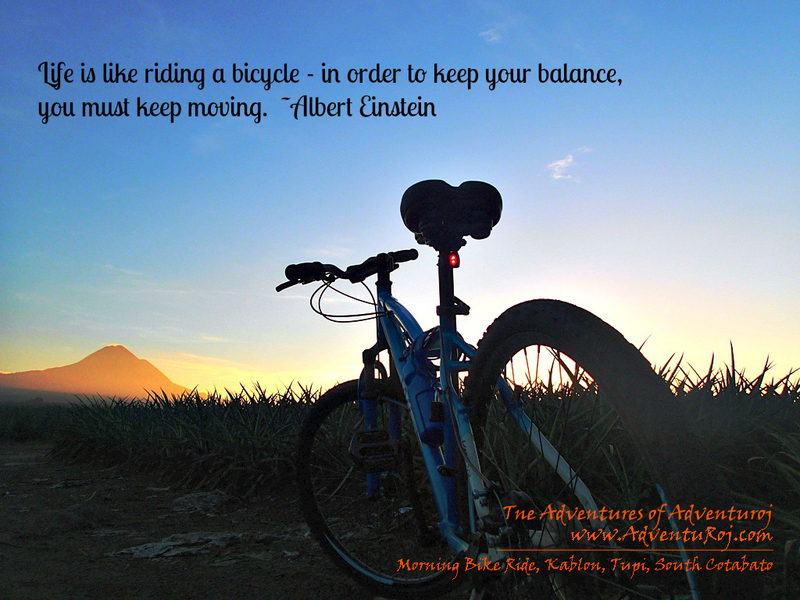 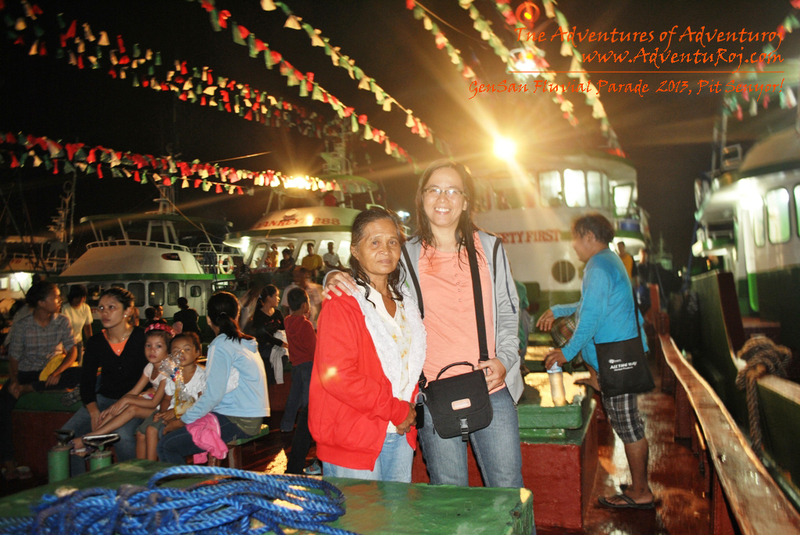 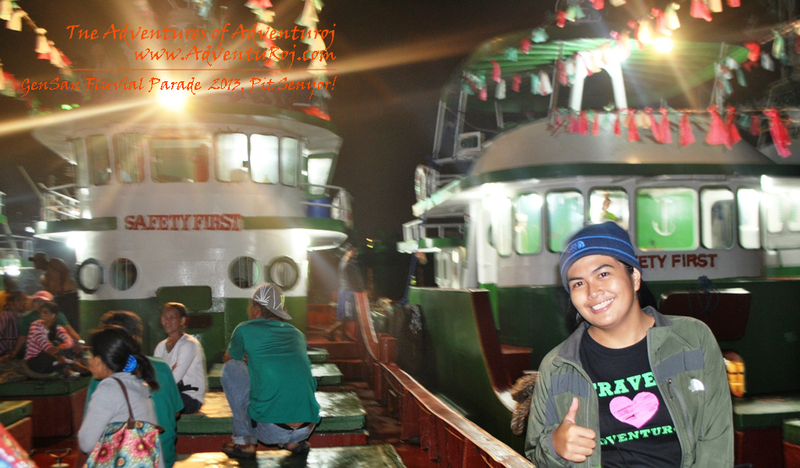 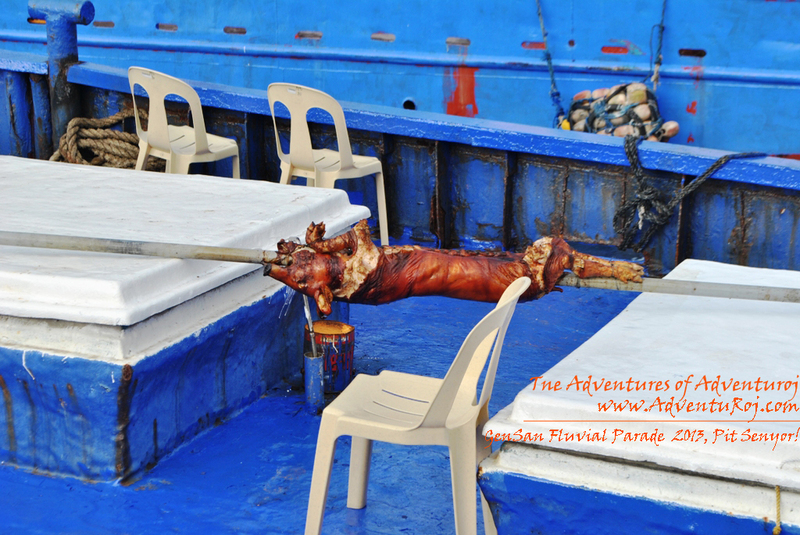 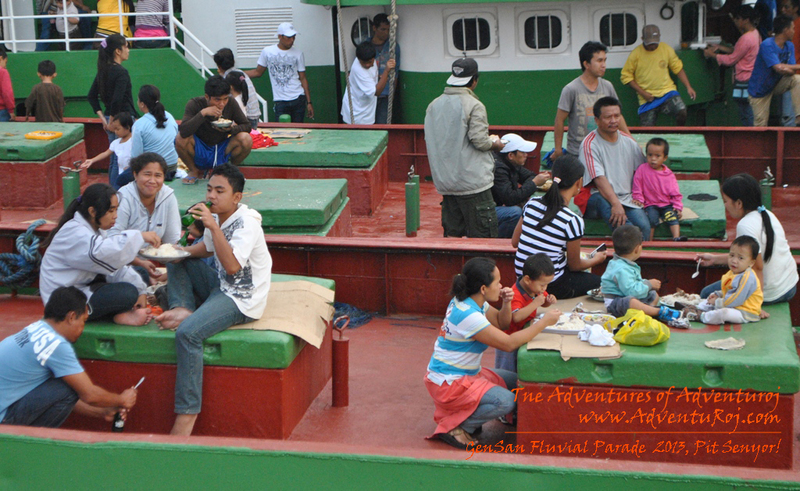 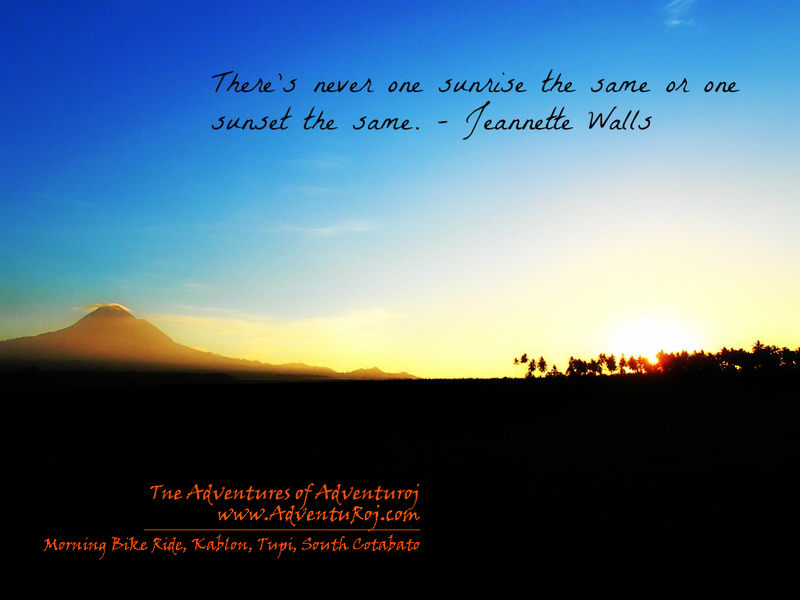 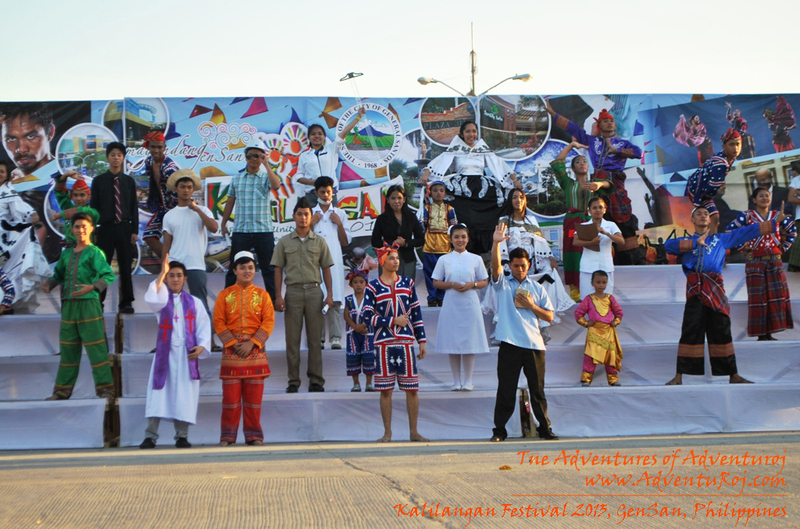 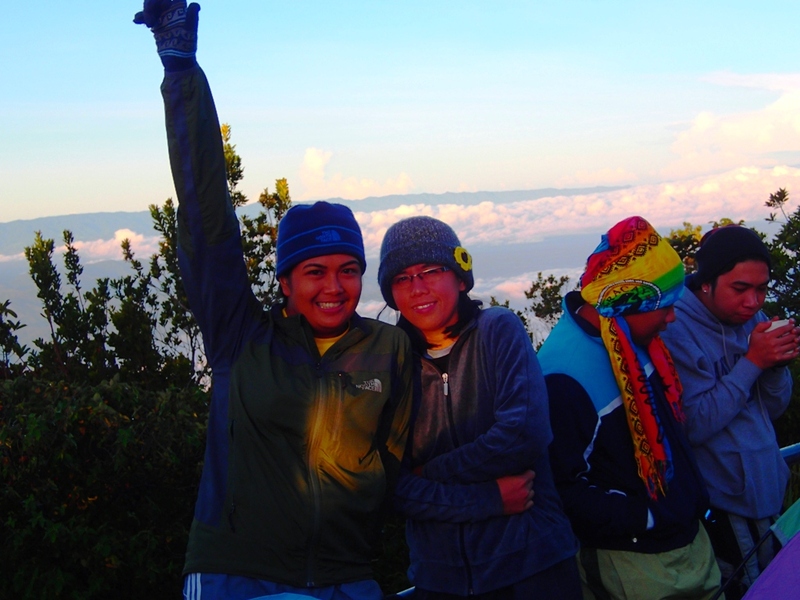 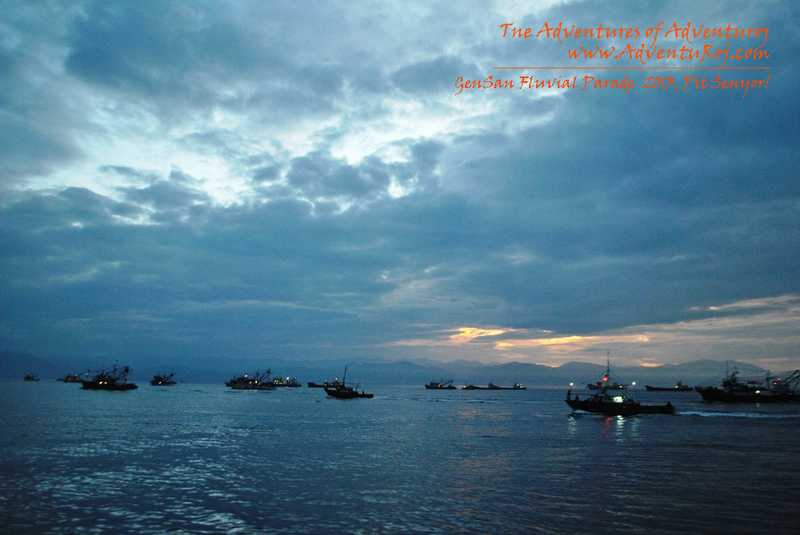 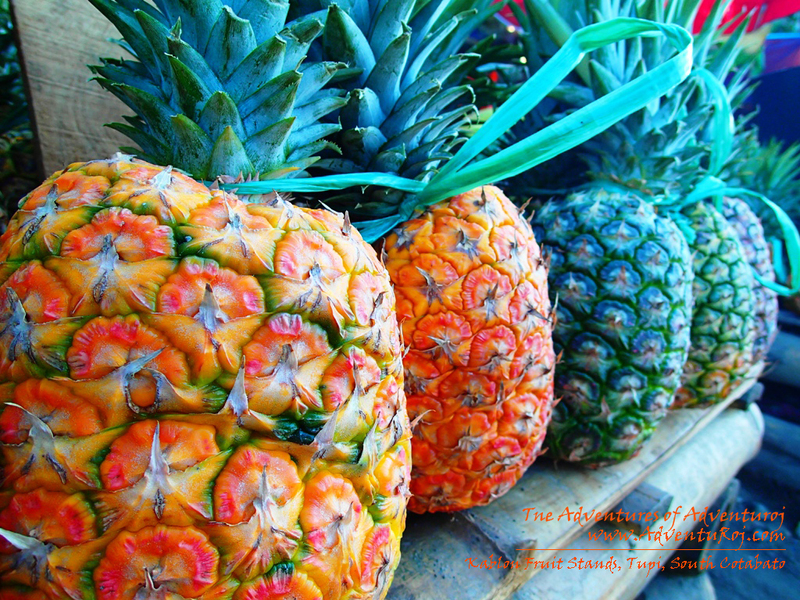 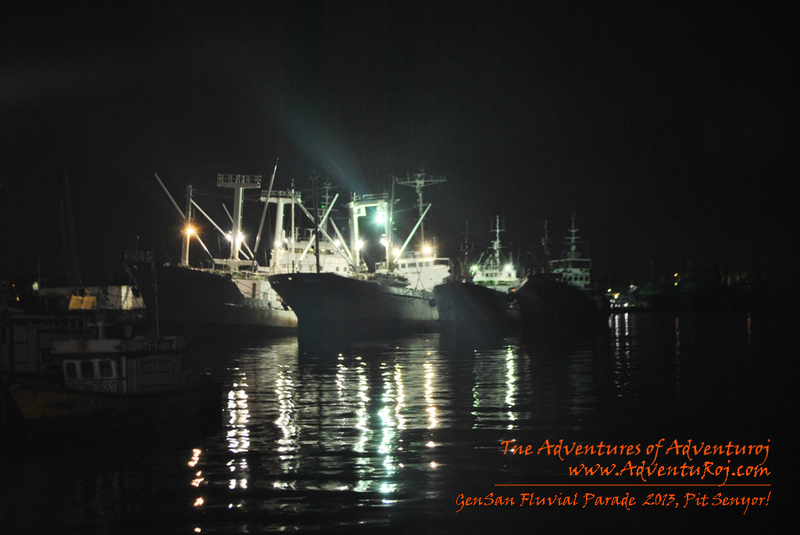 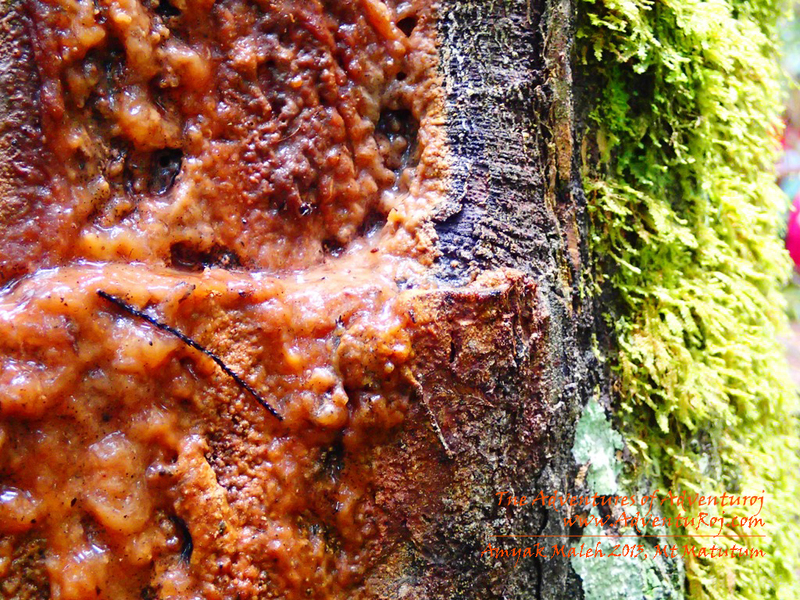 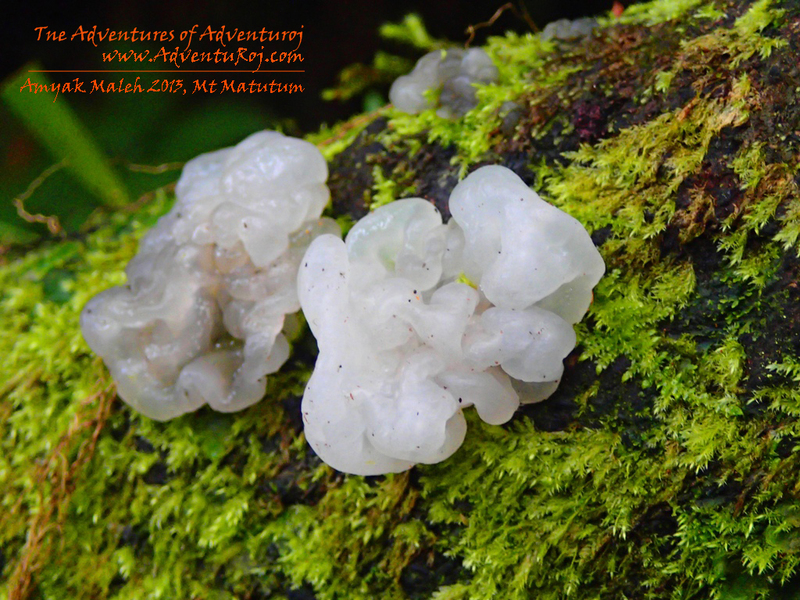 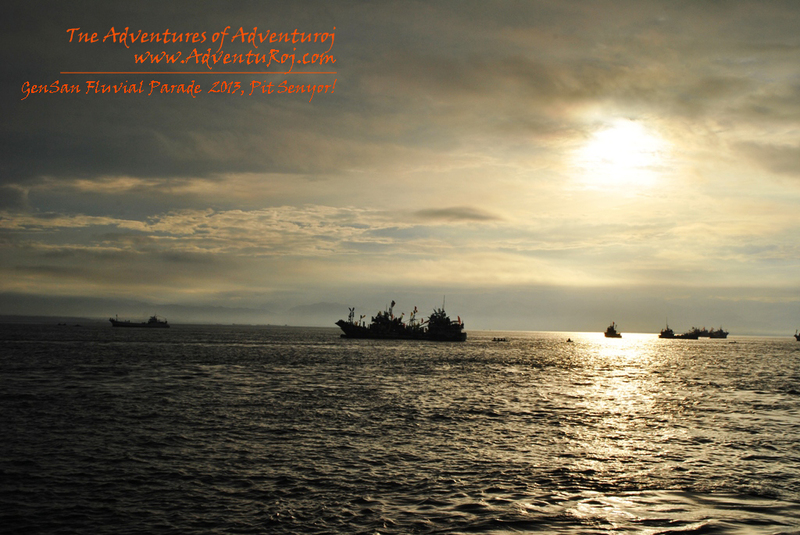 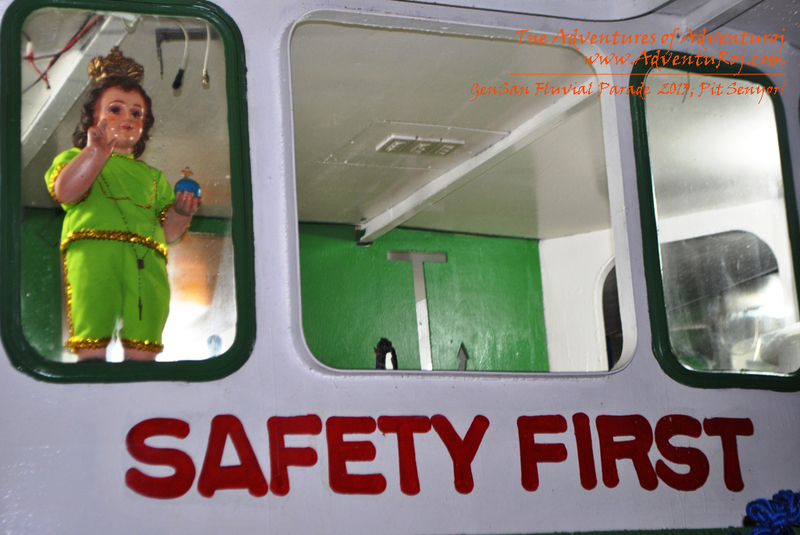 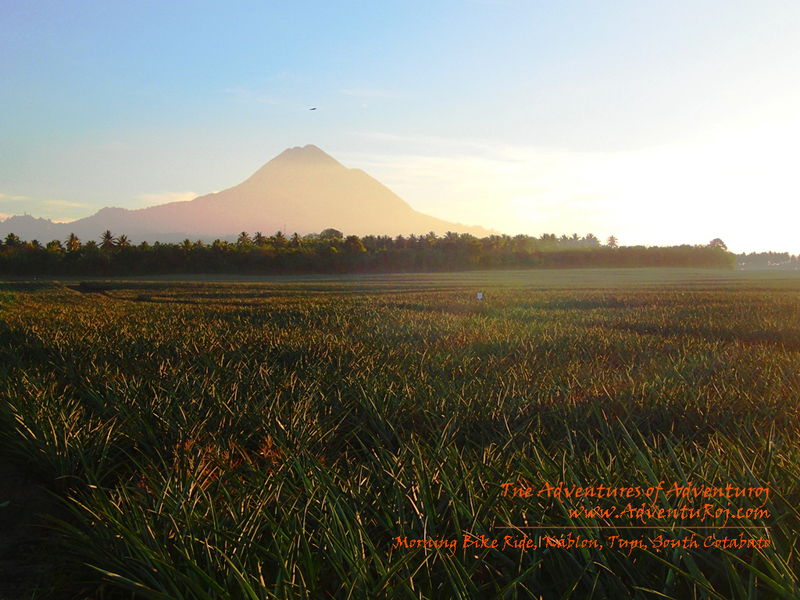 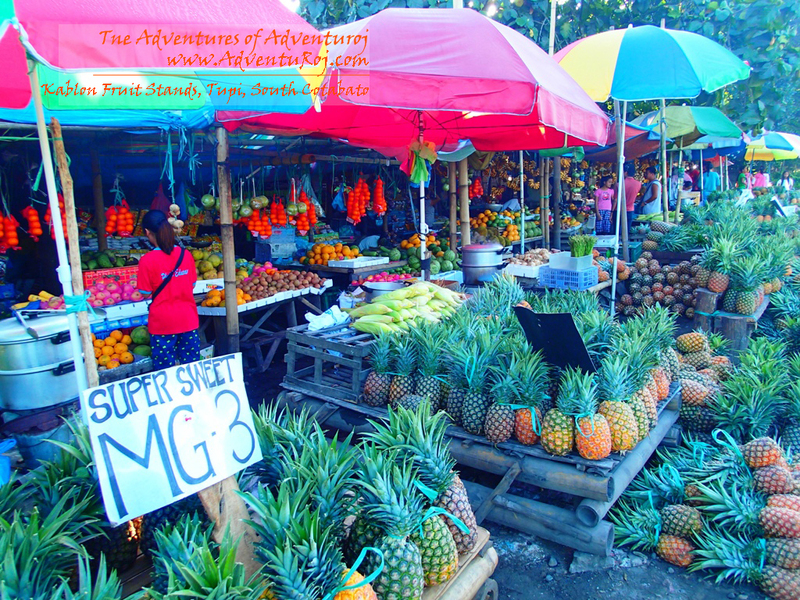 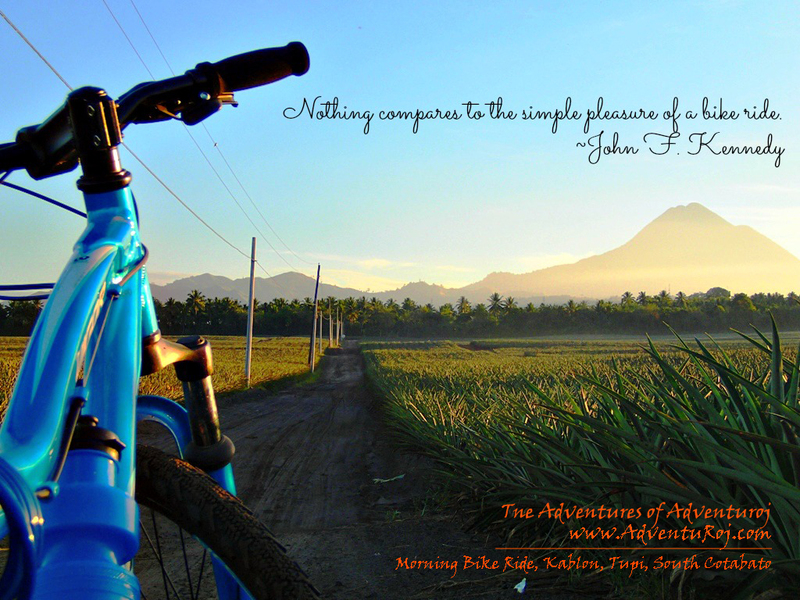 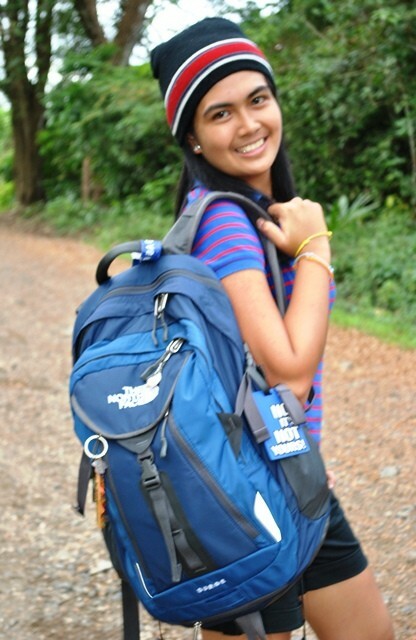 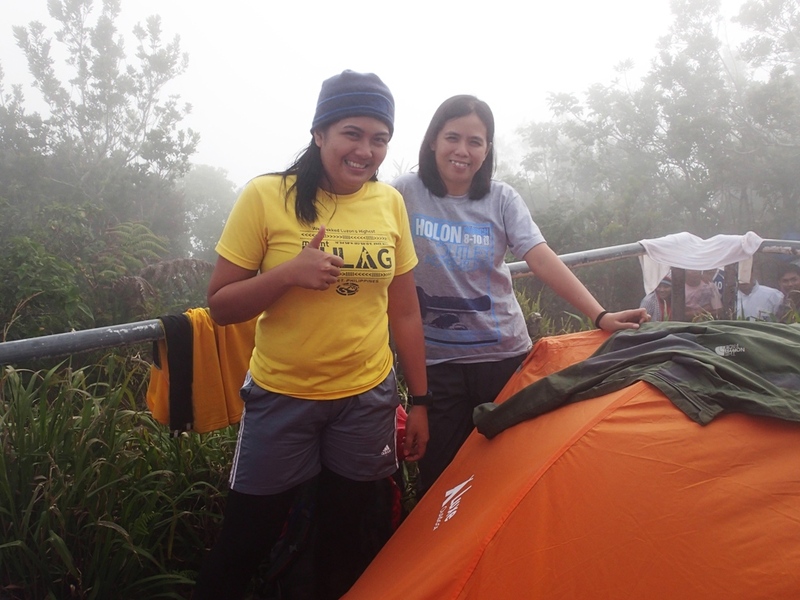 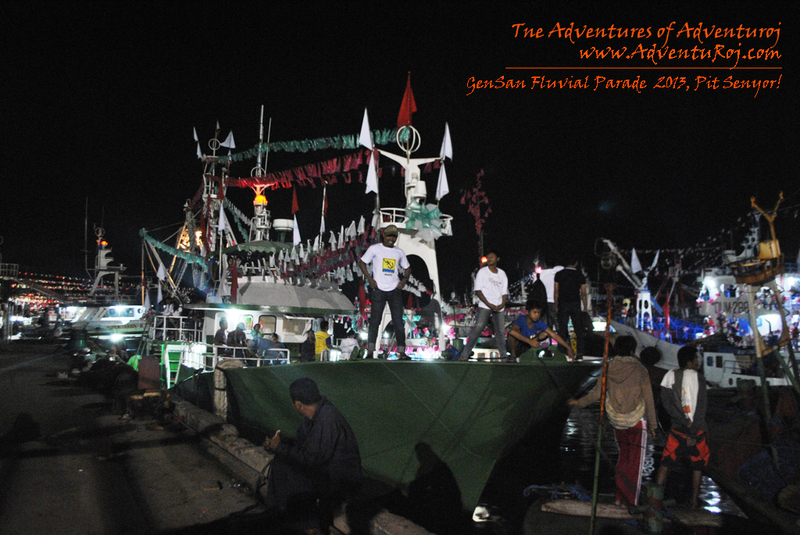 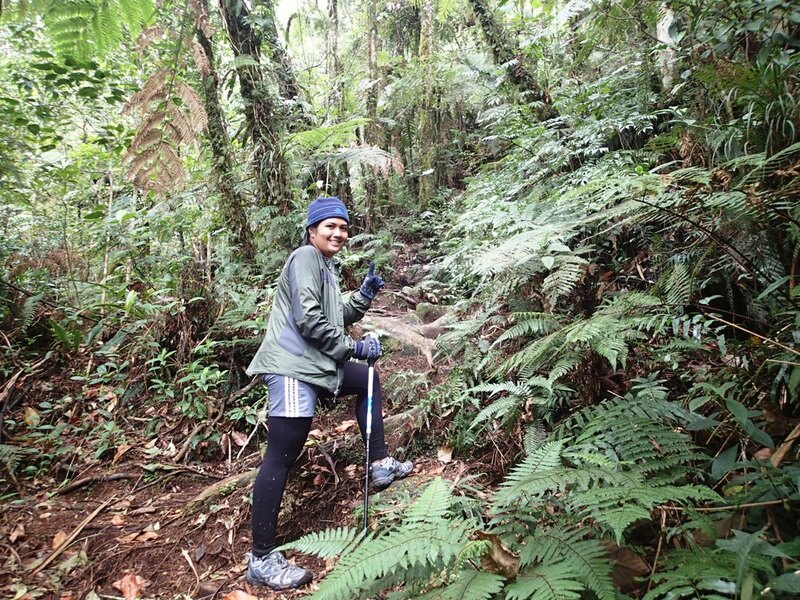 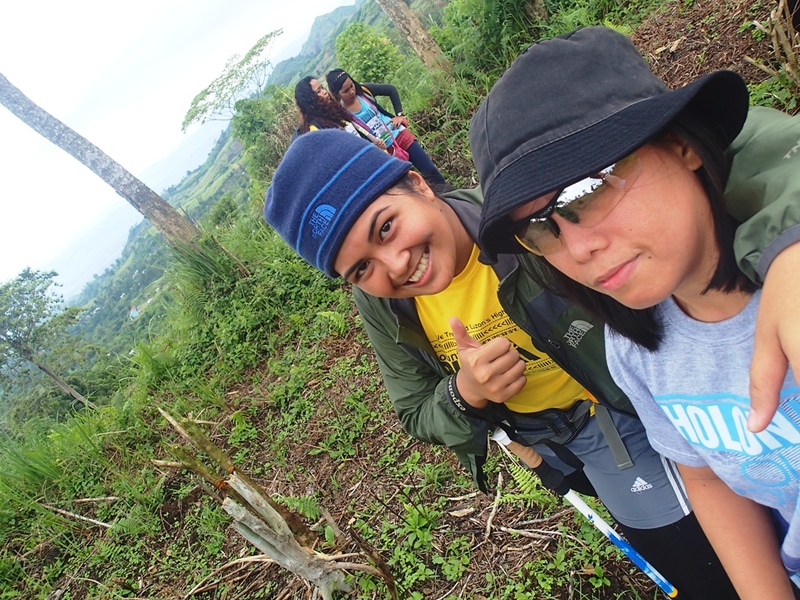 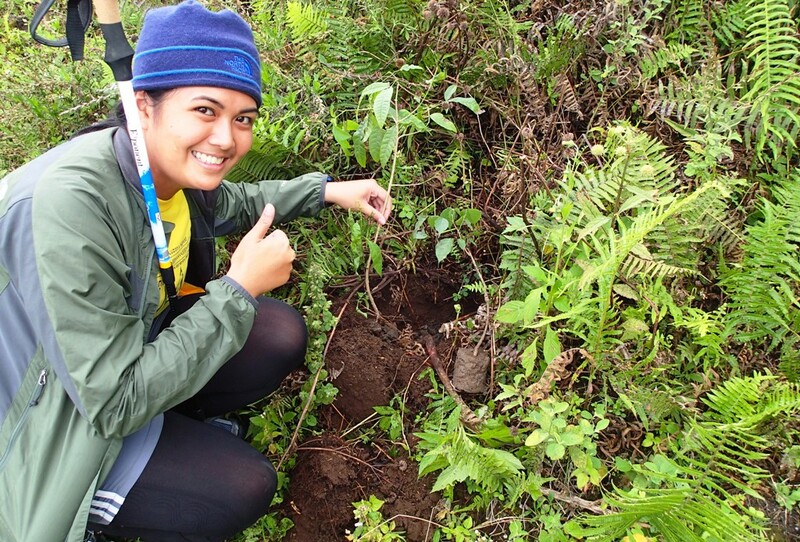 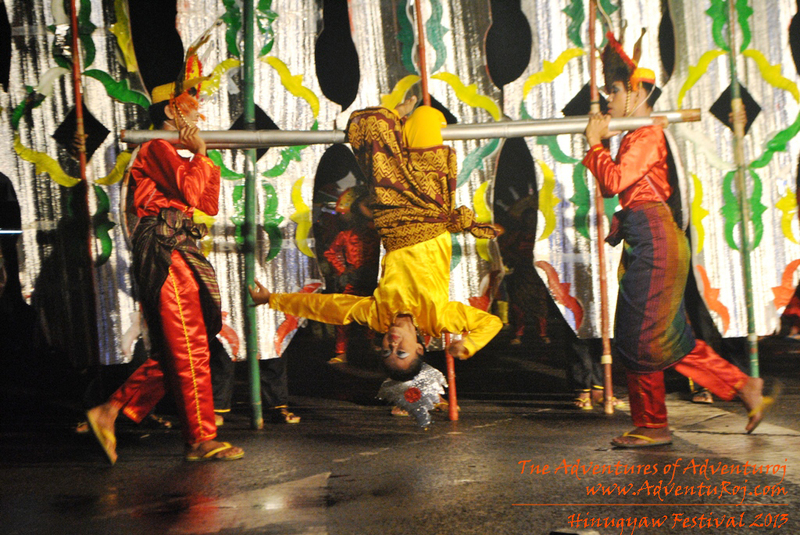 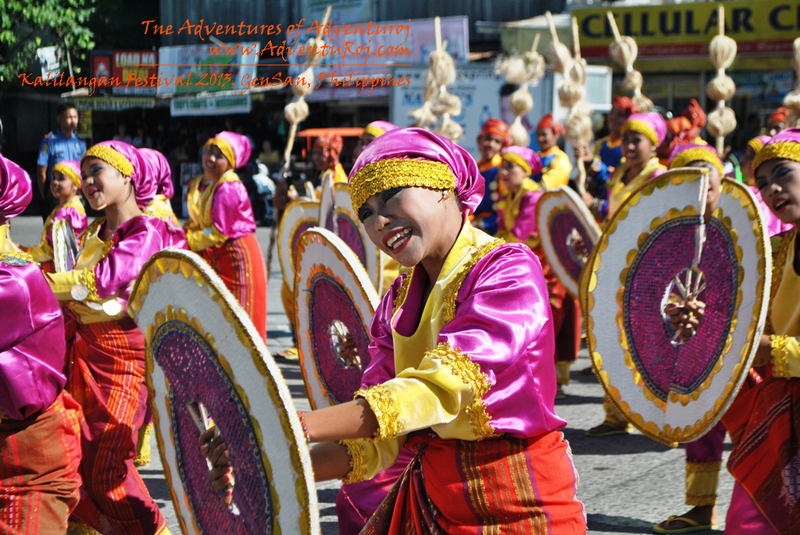 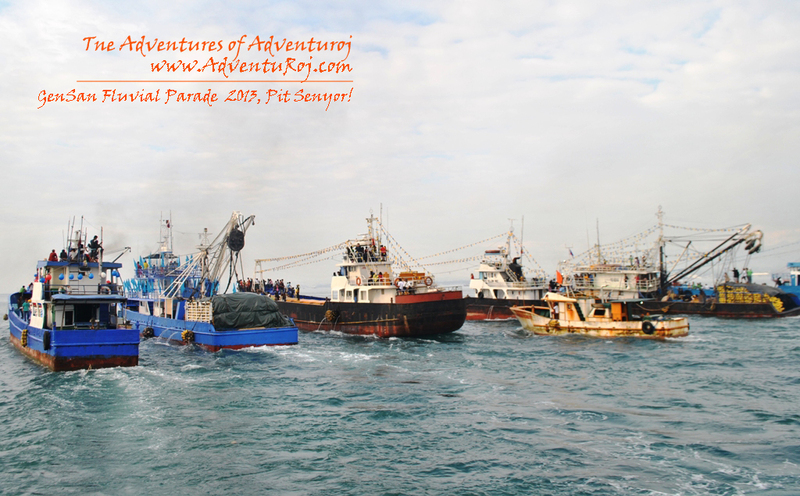 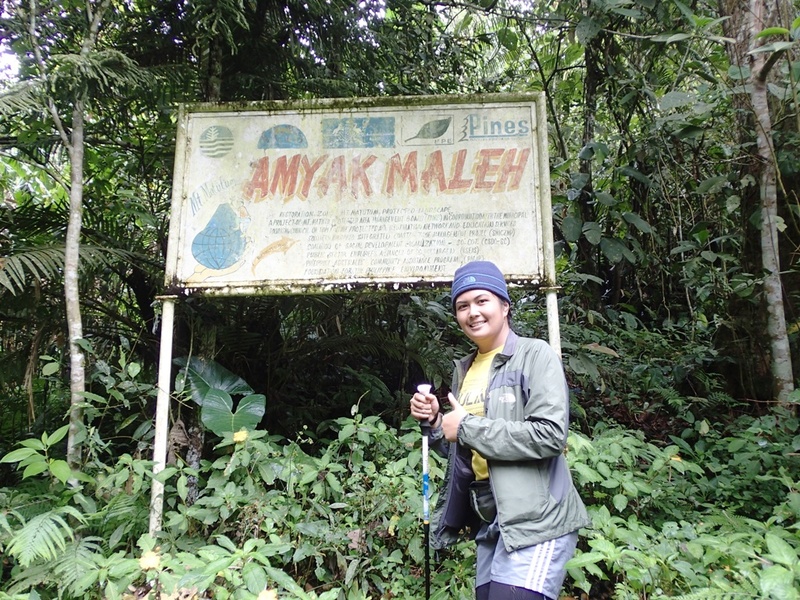 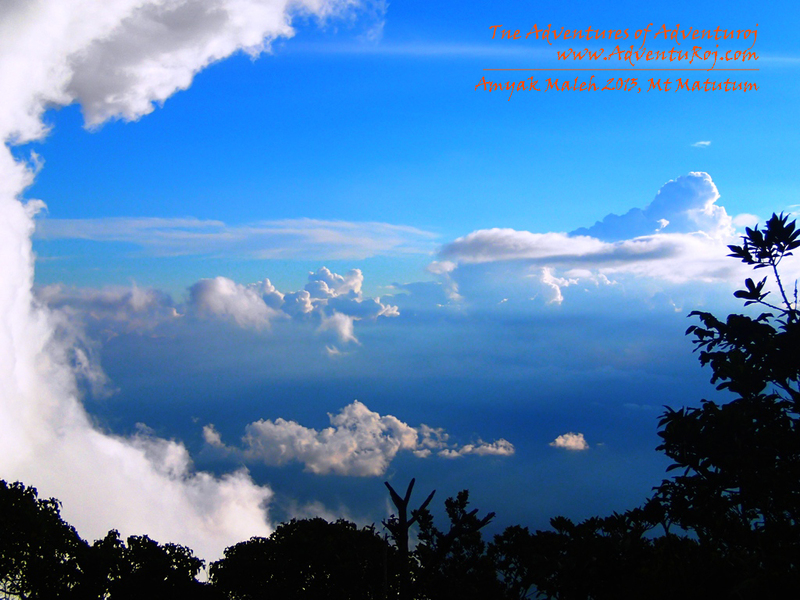 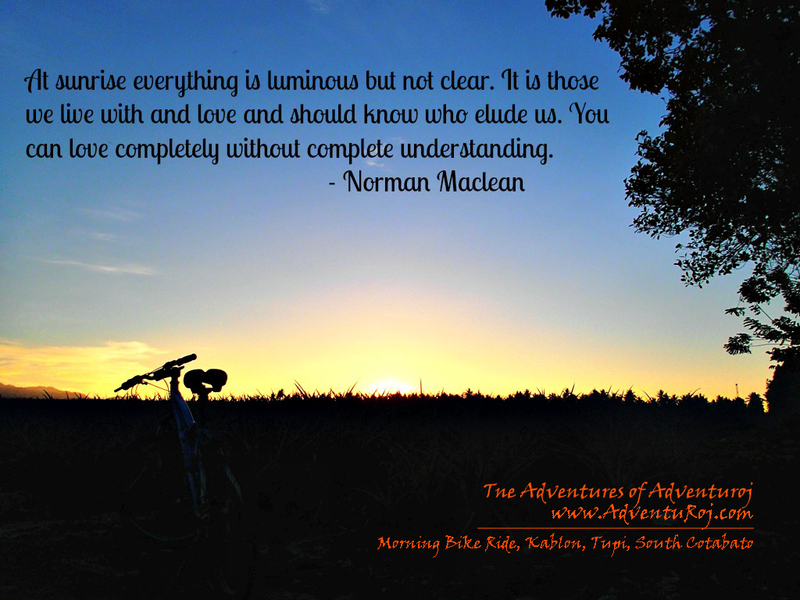 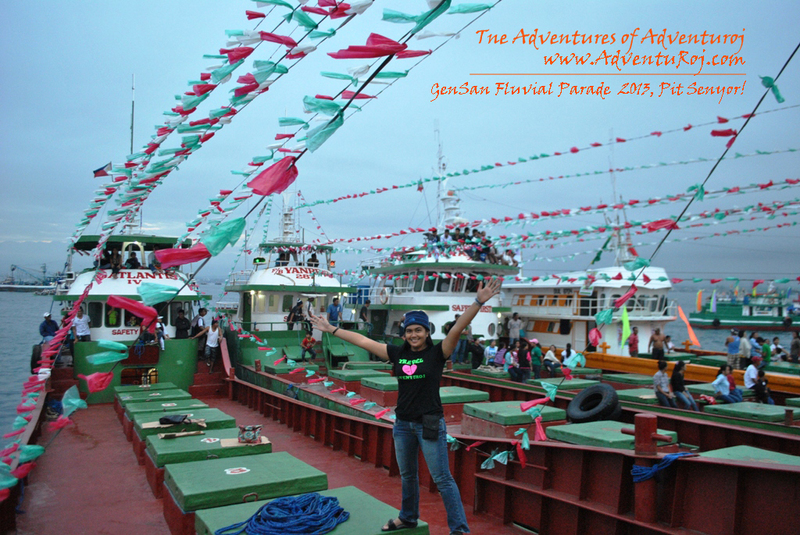 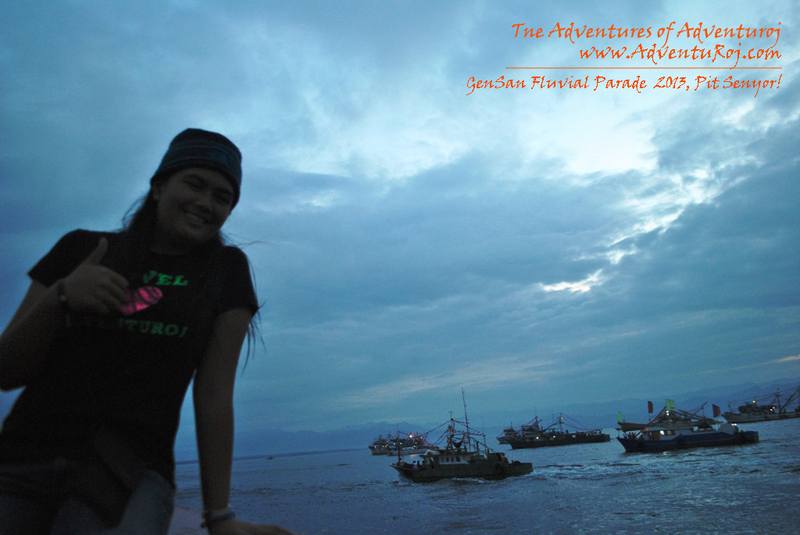 South Cotabato | The Adventures of AdventuRoj! 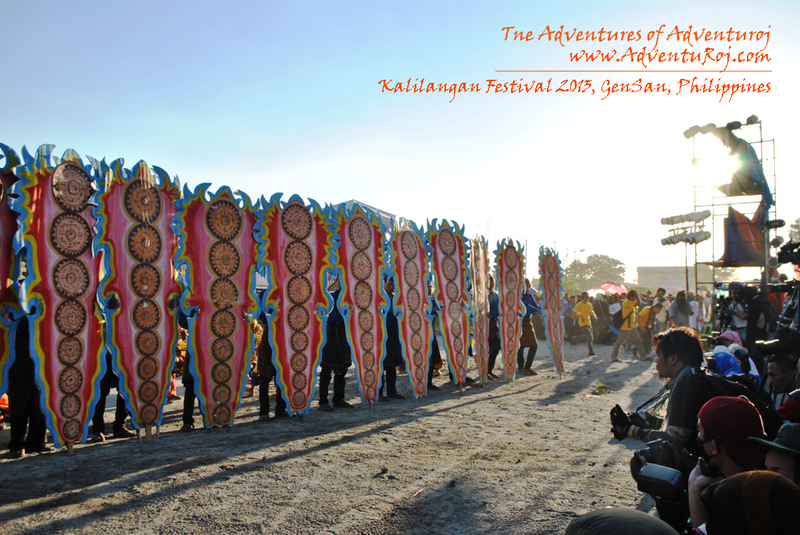 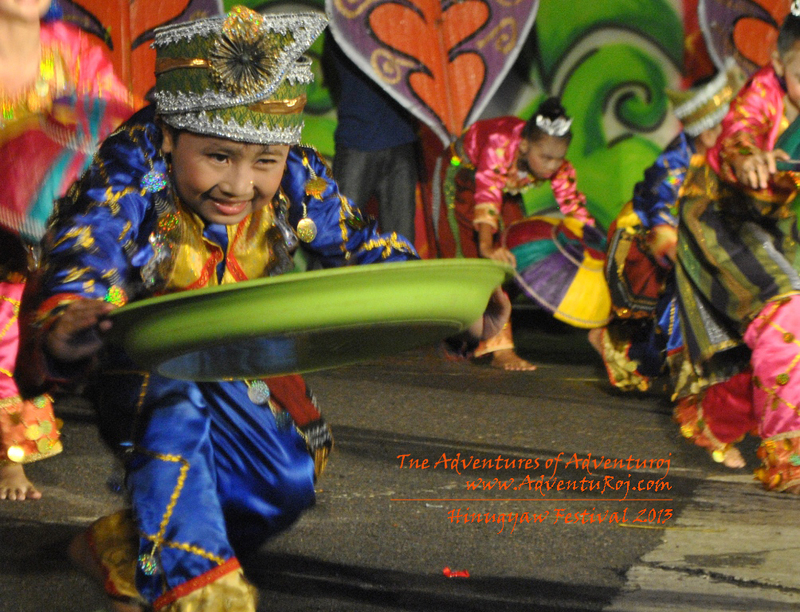 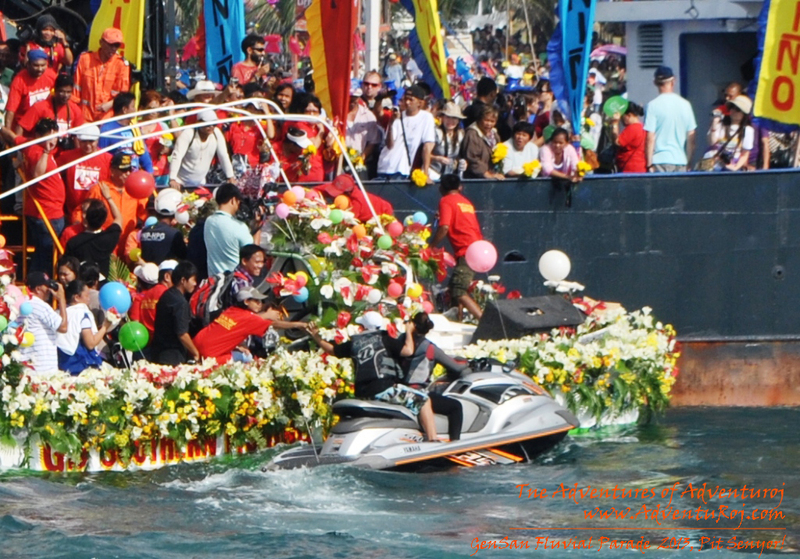 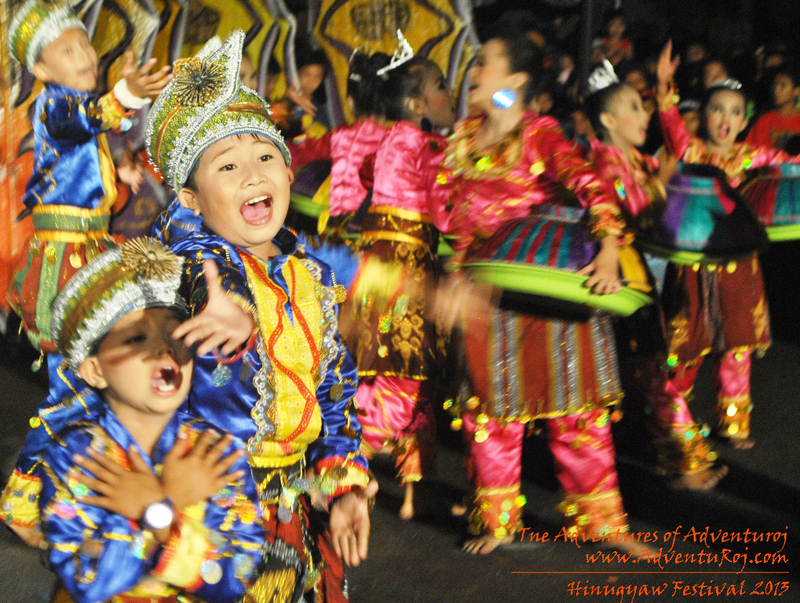 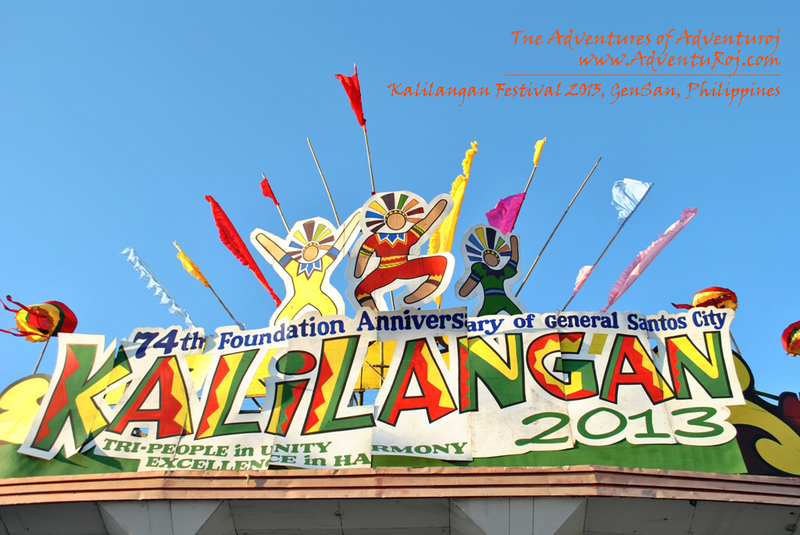 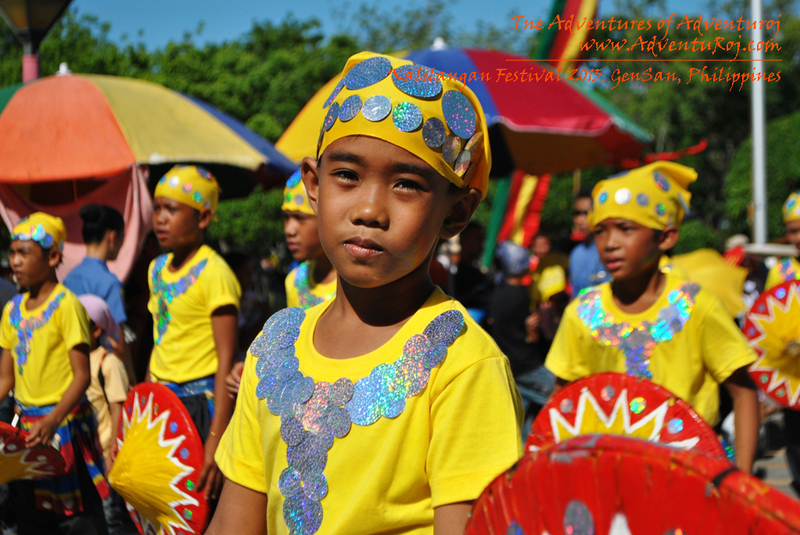 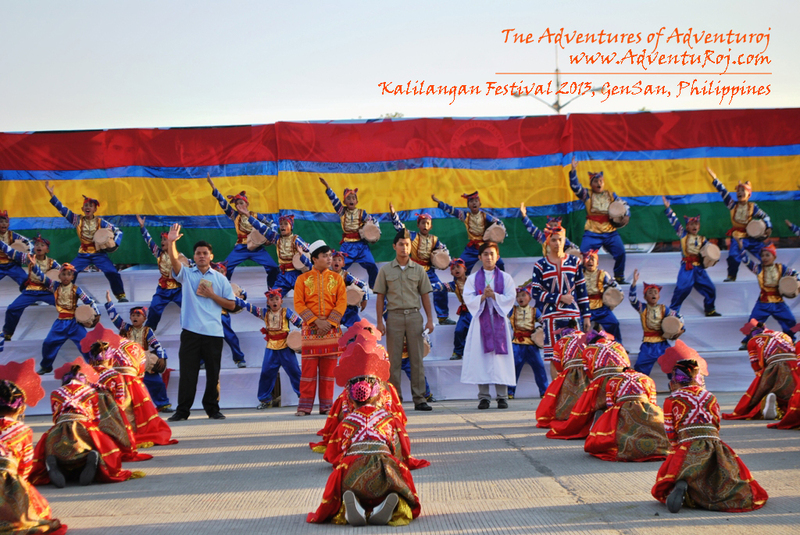 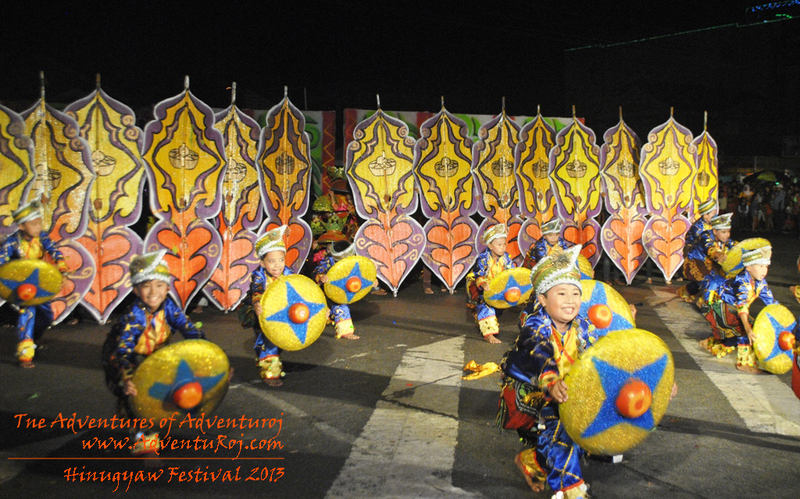 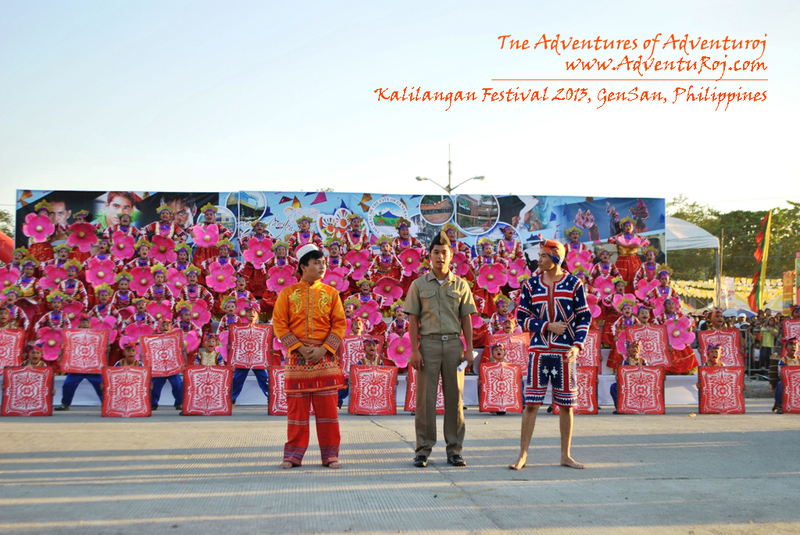 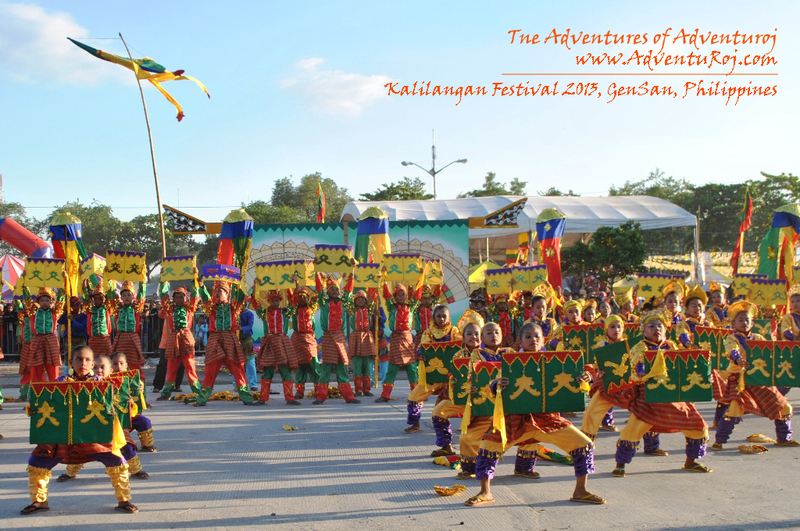 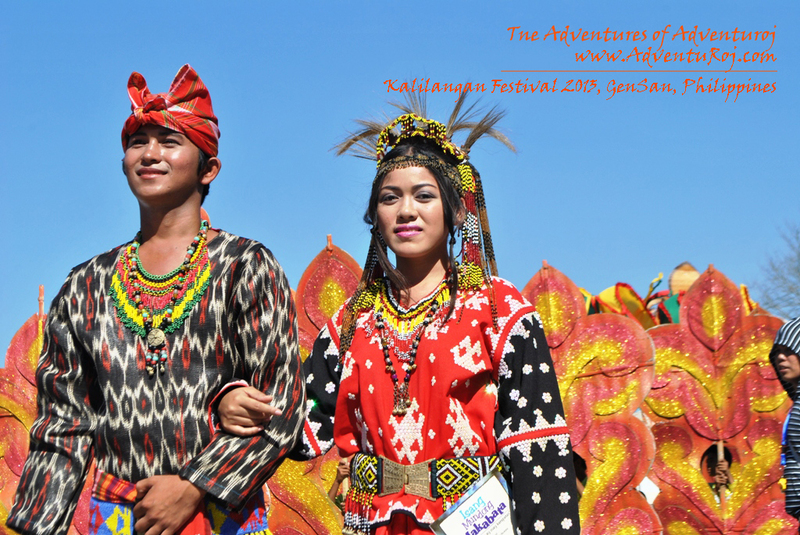 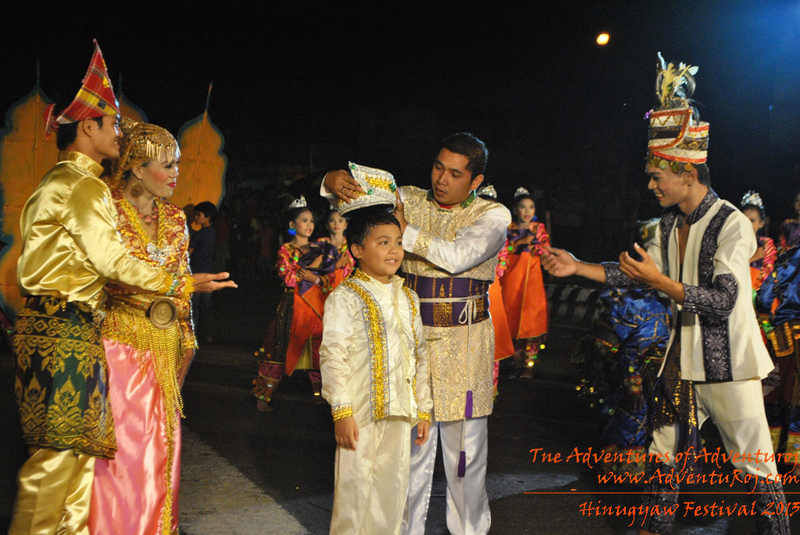 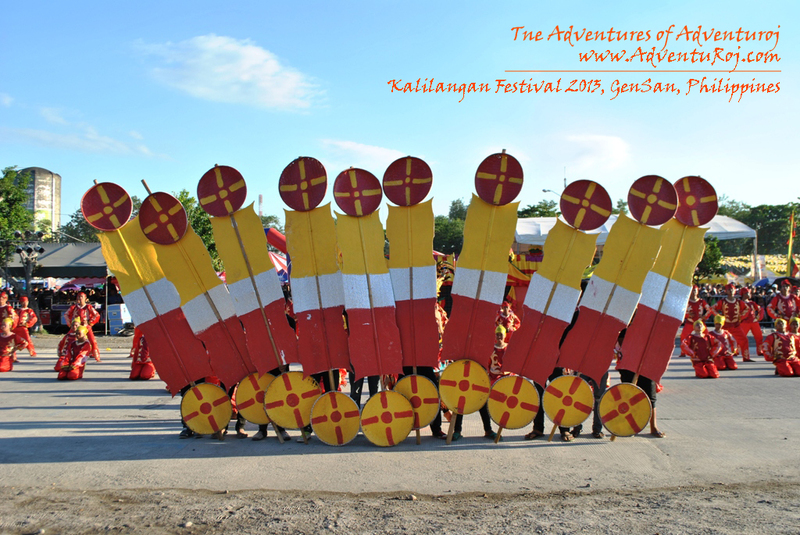 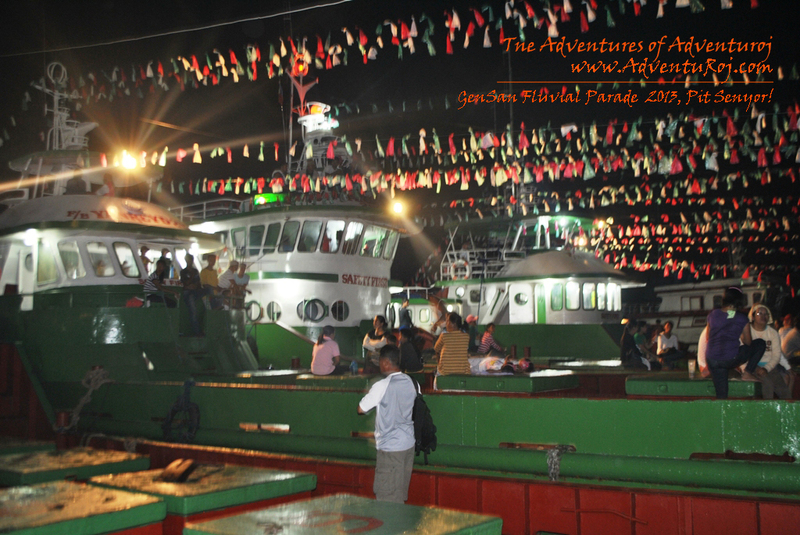 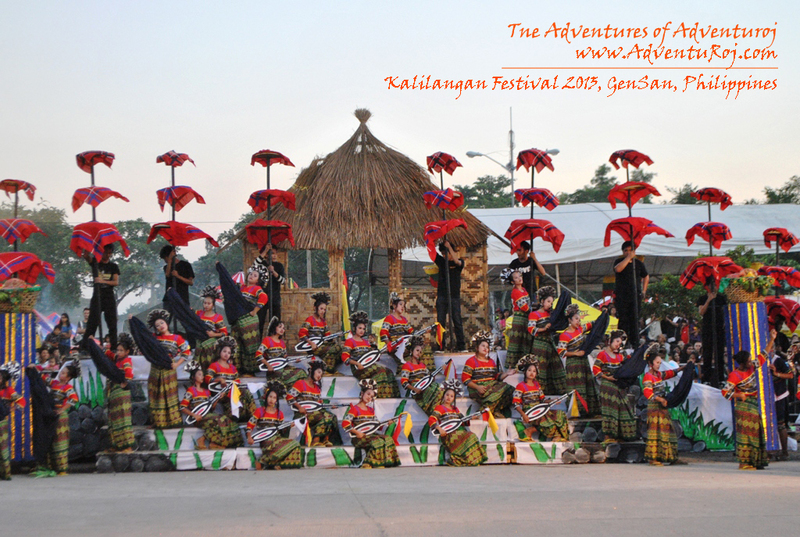 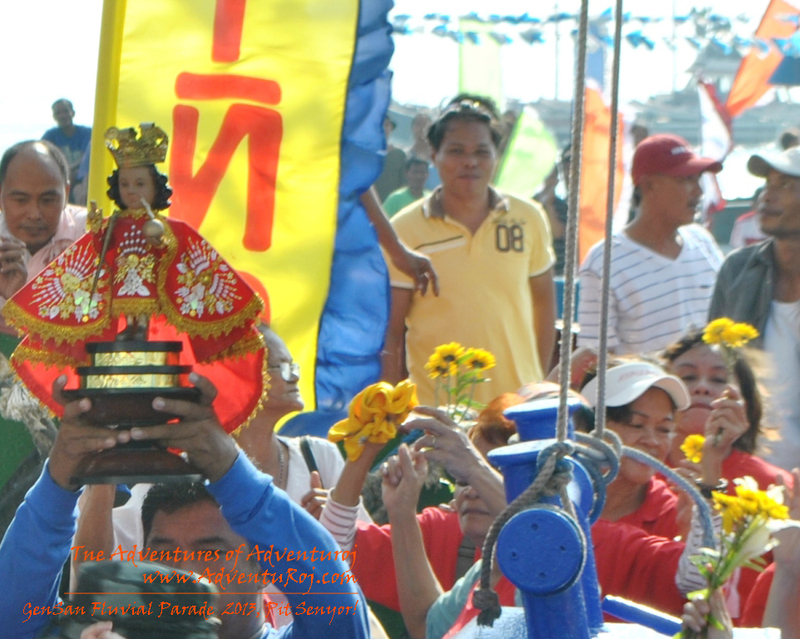 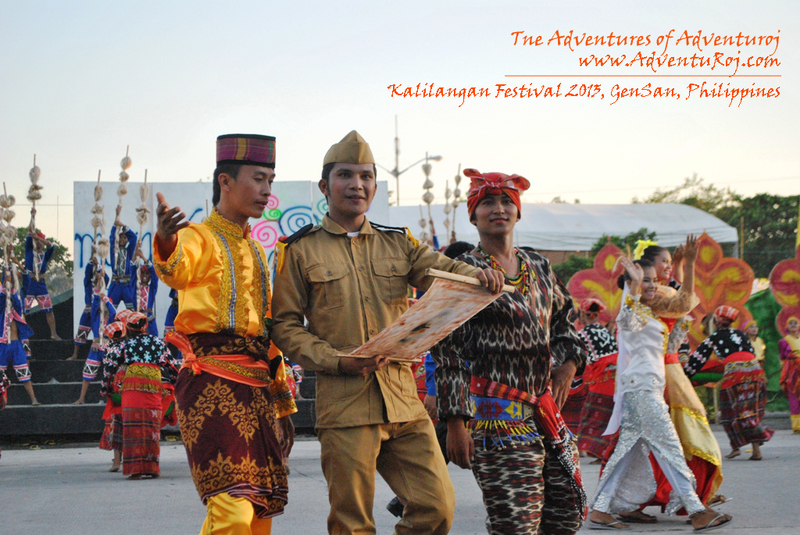 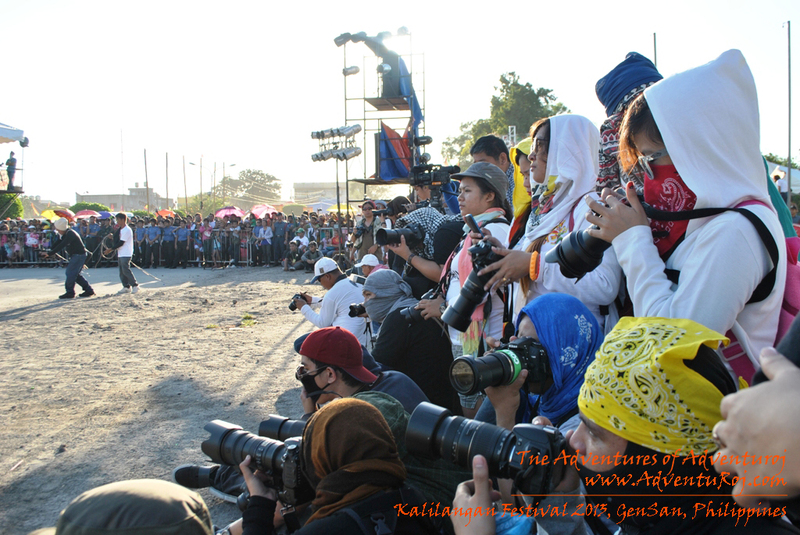 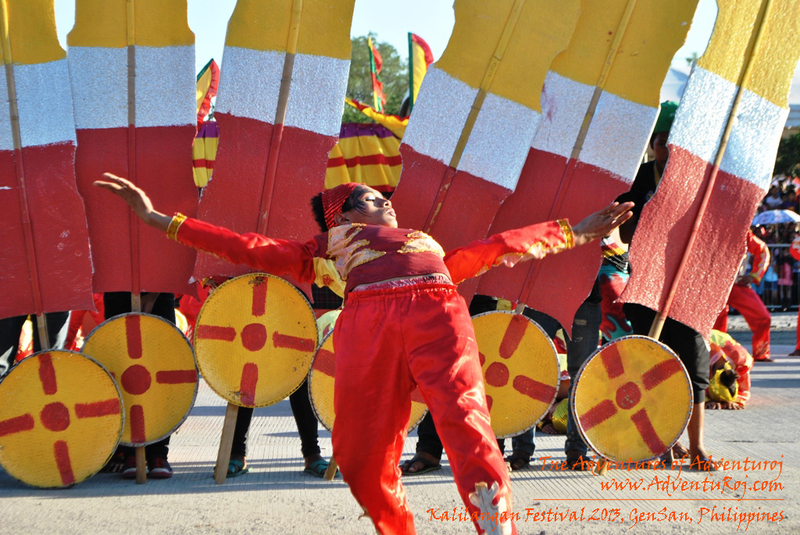 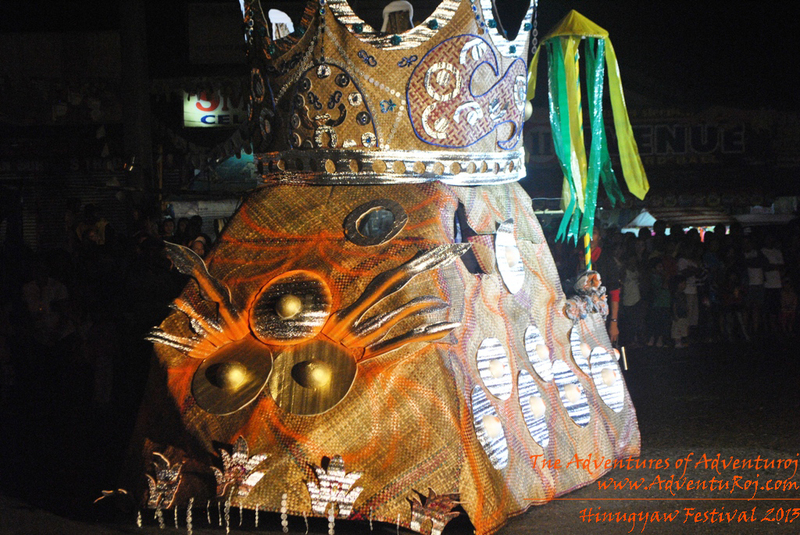 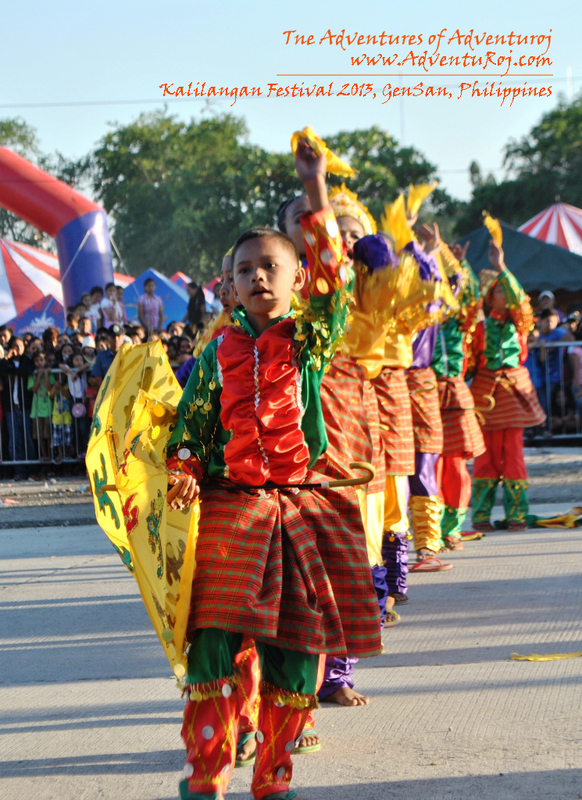 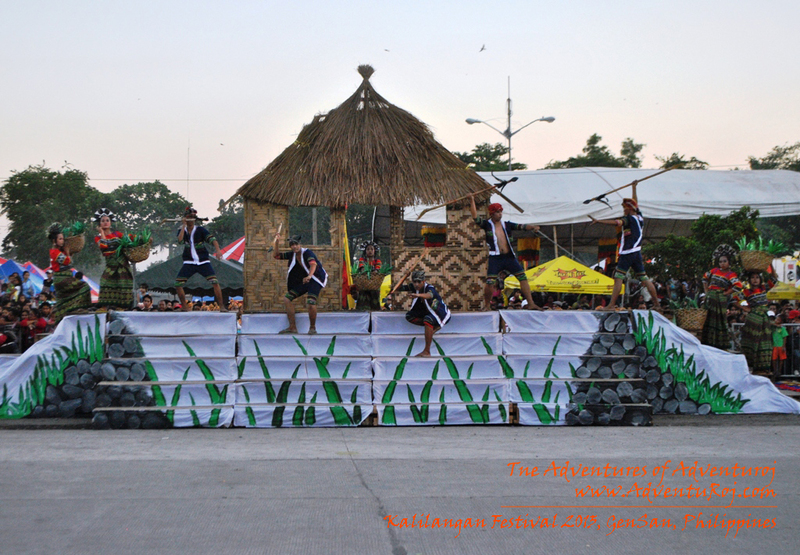 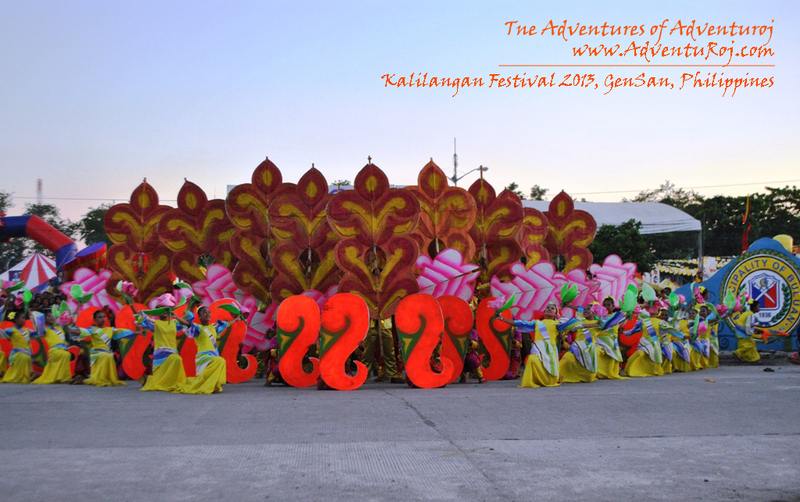 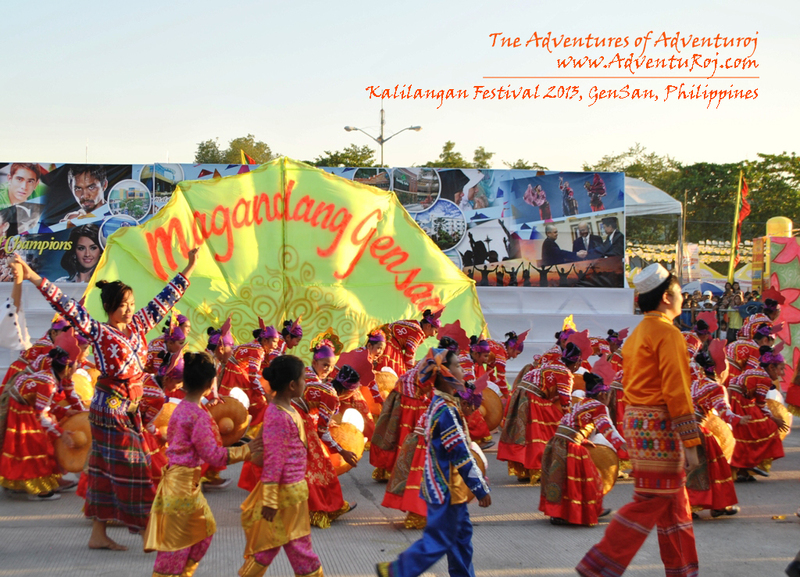 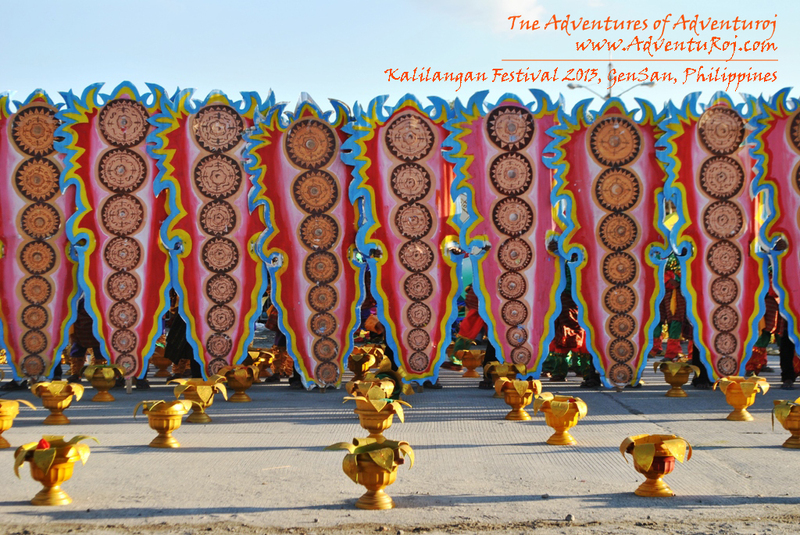 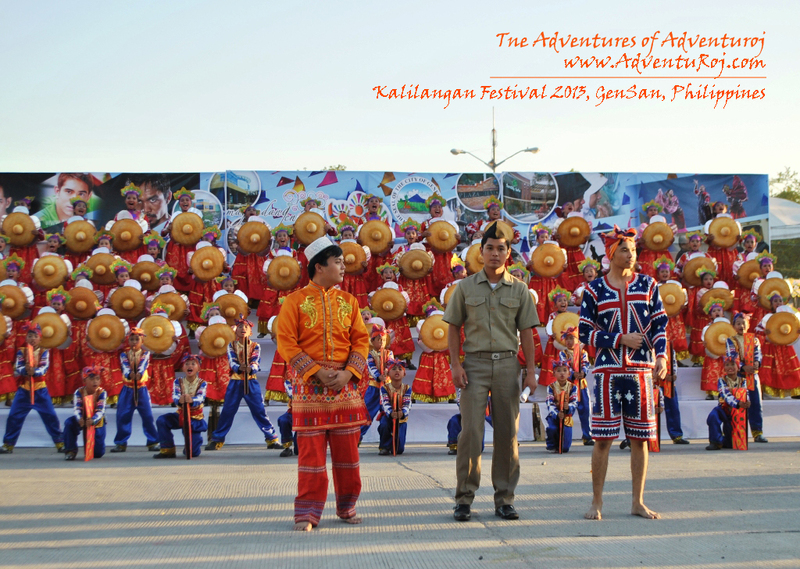 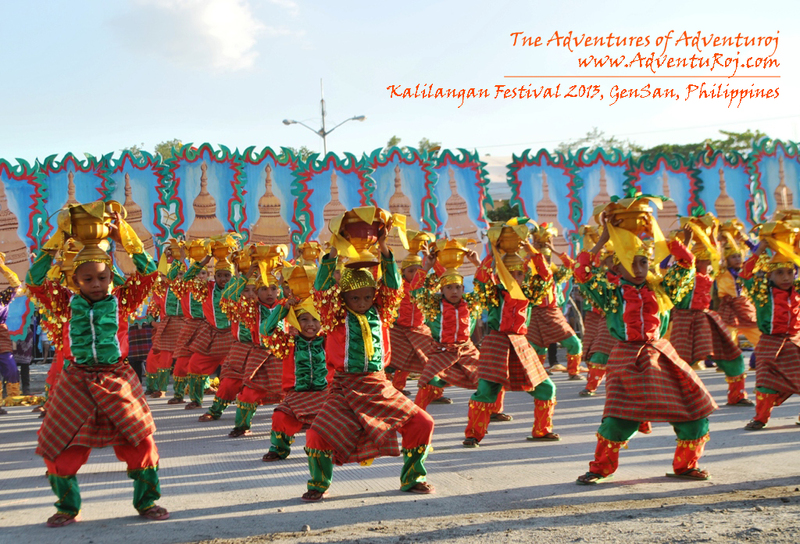 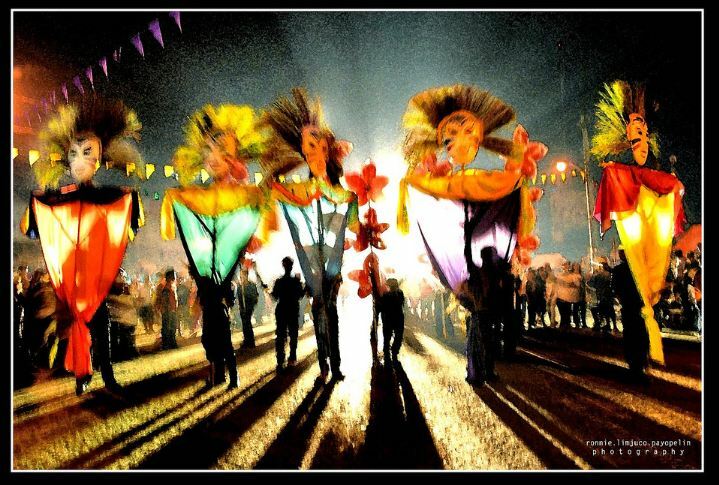 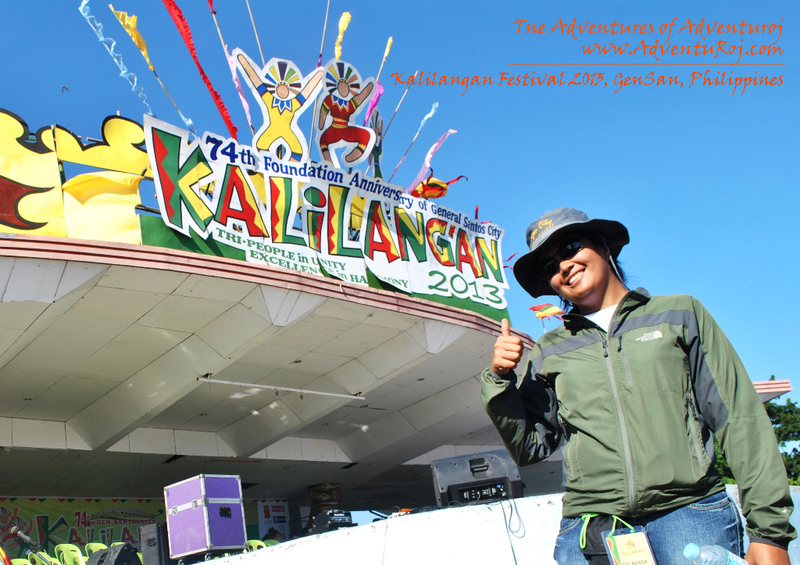 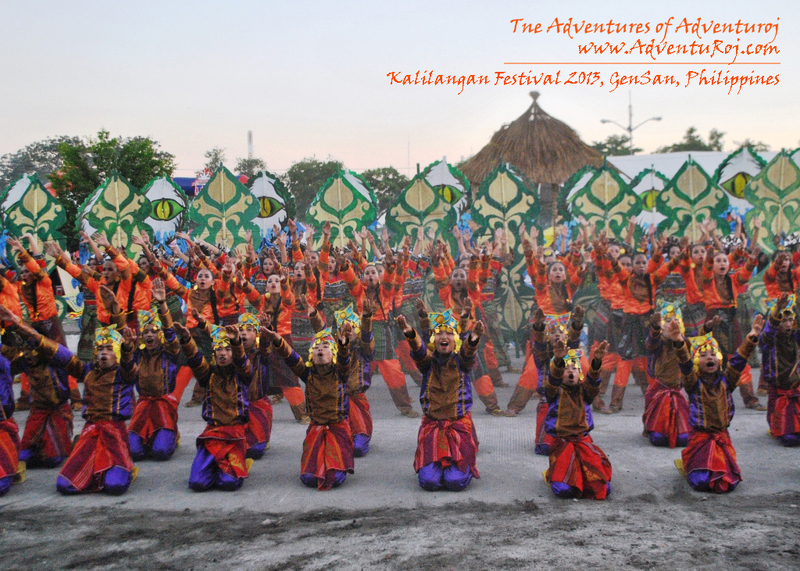 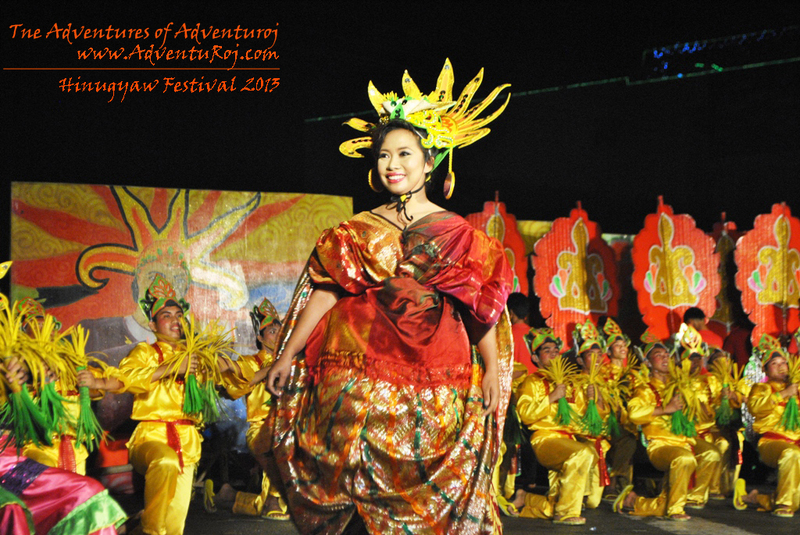 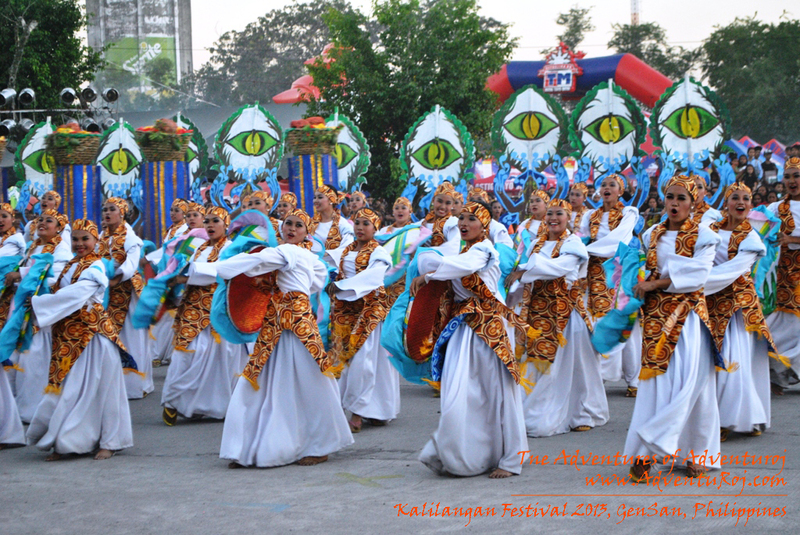 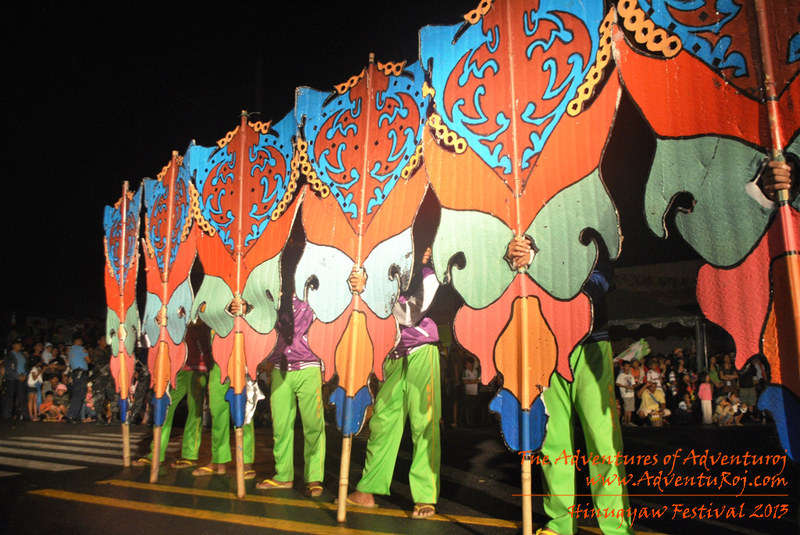 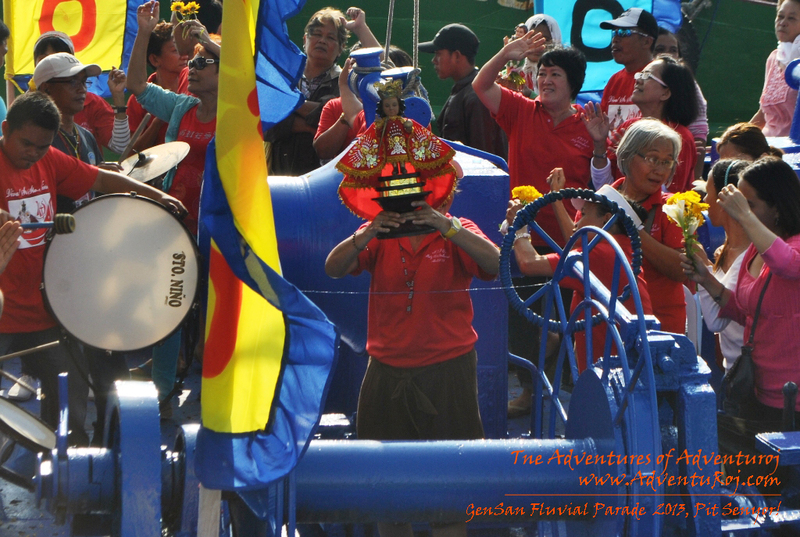 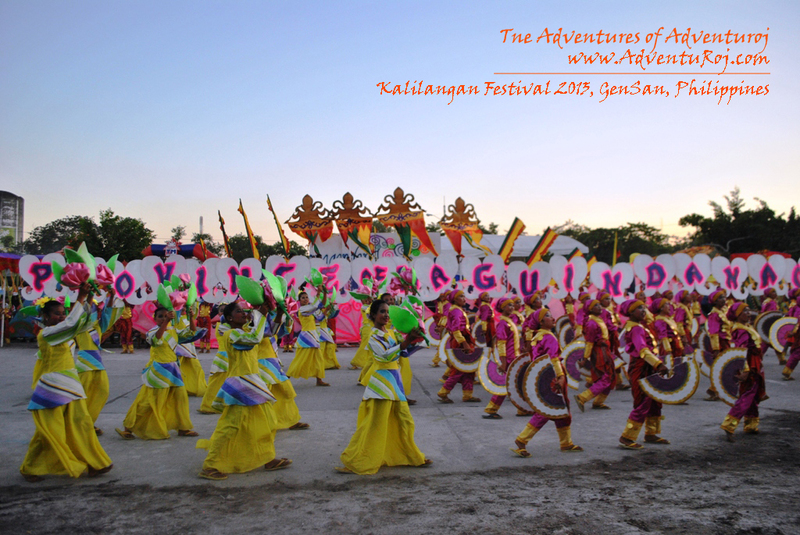 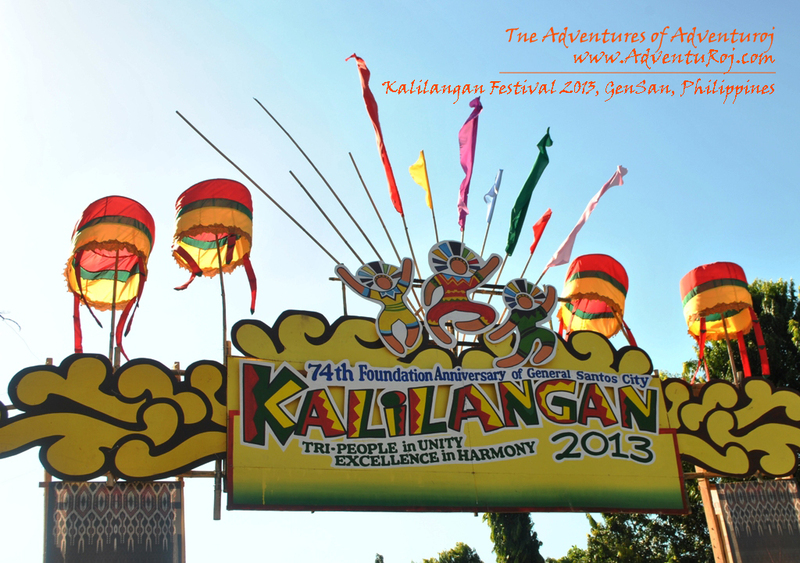 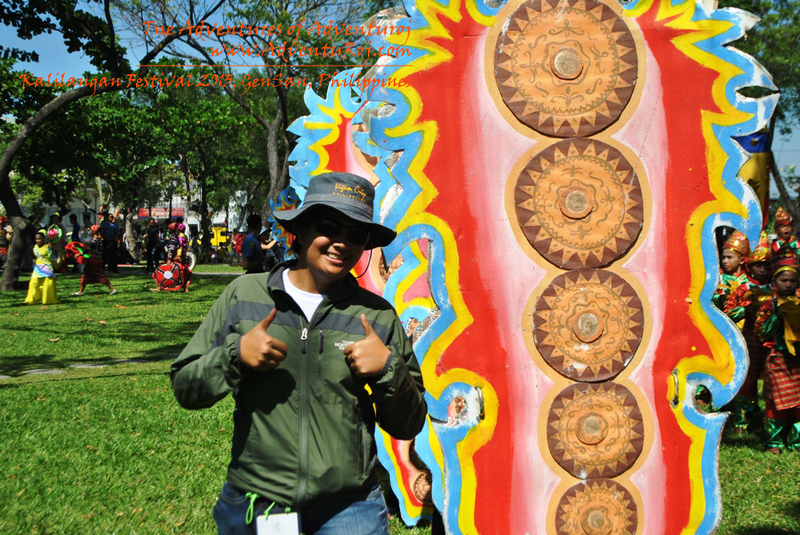 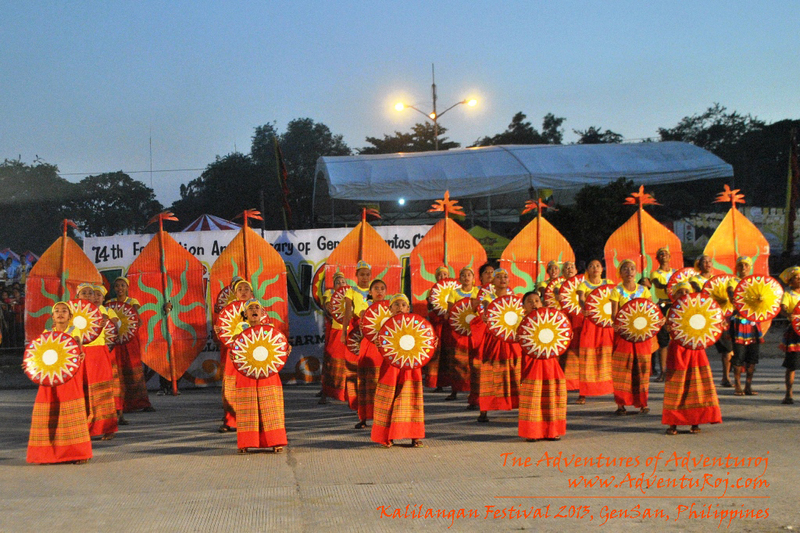 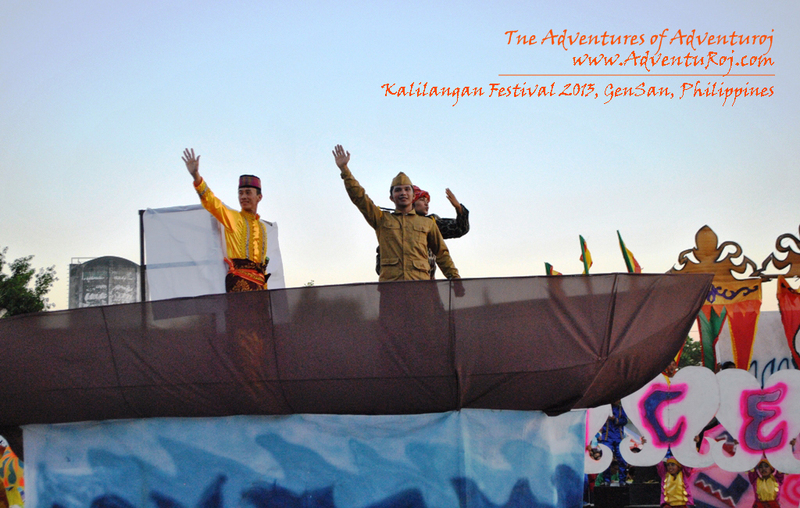 The season of festivals in the Philippines isn’t over yet as the City of Generals celebrate Kalilangan Festival 2013! 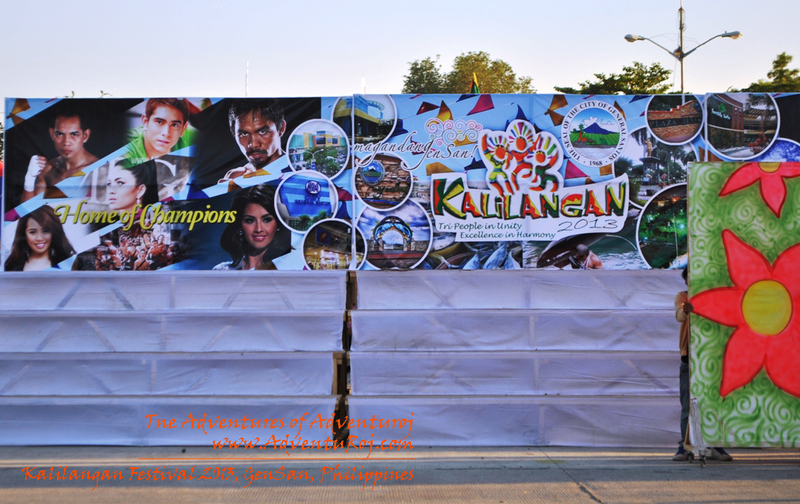 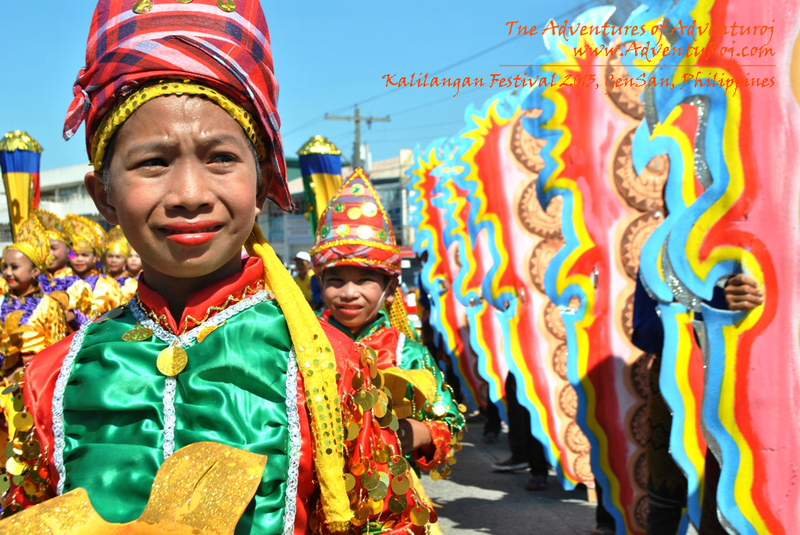 Kalilangan is the city’s carrier event for its Foundation Anniversary celebration showcasing the city’s history, artistry, cultural heritage and tourism potentials. 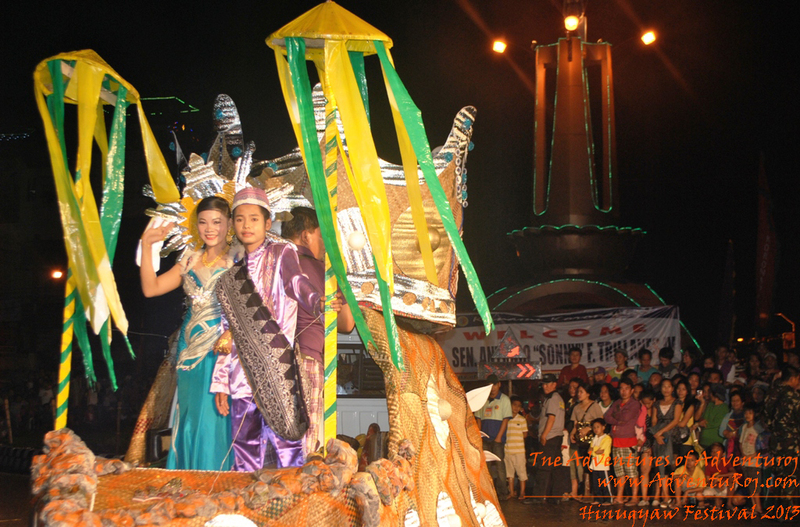 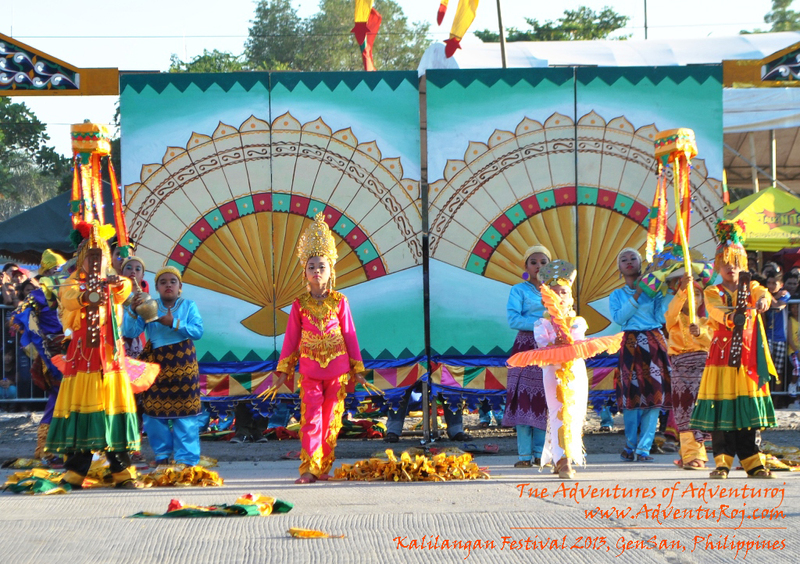 In October last year, General Santos City’s Kalilangan Festival was declared Best Tourism Event in Culture and Arts Category. 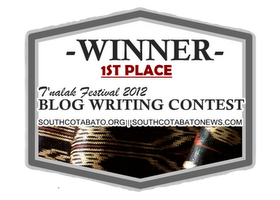 This was the second time the event bagged the same award following the preceding year. 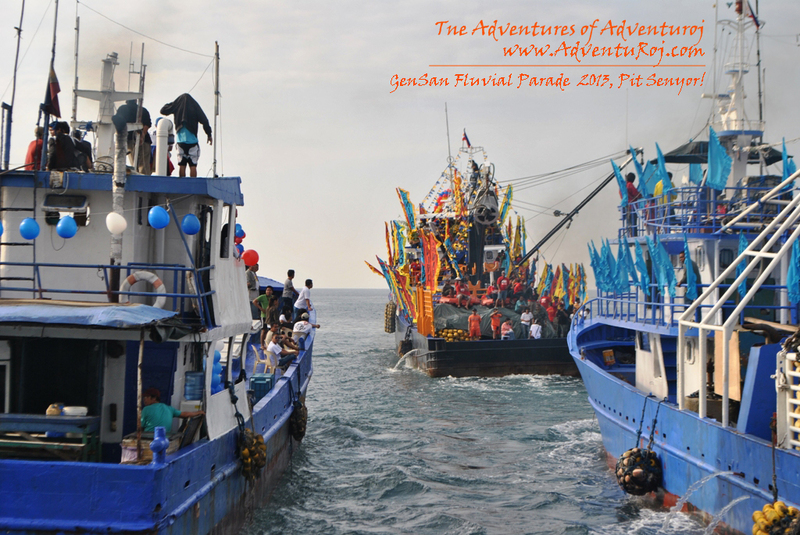 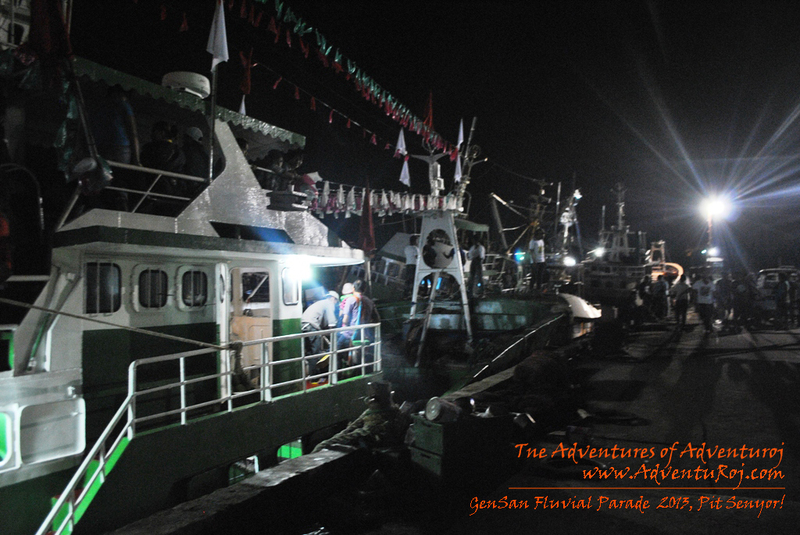 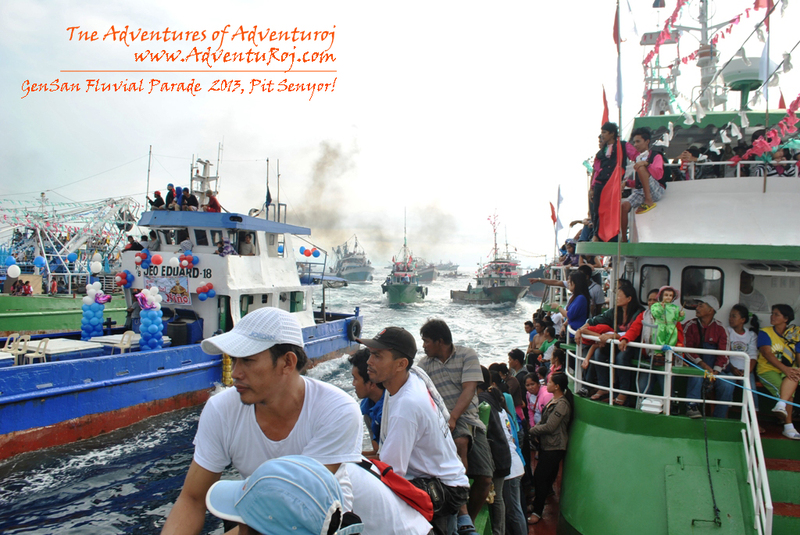 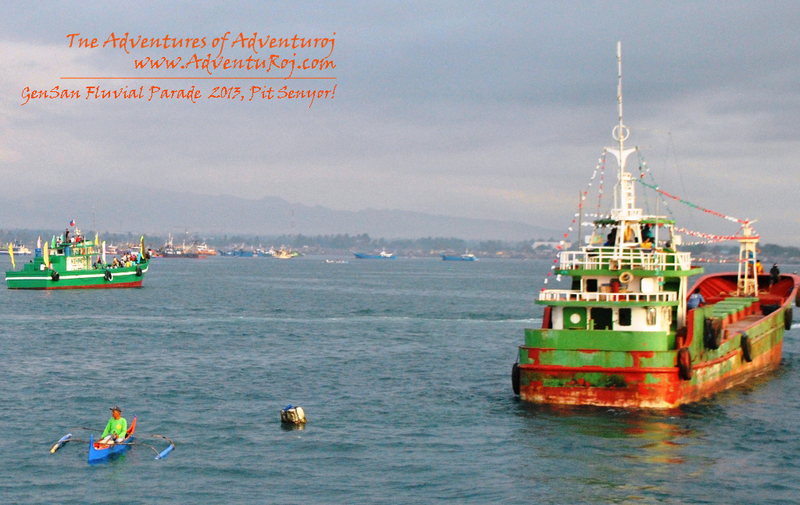 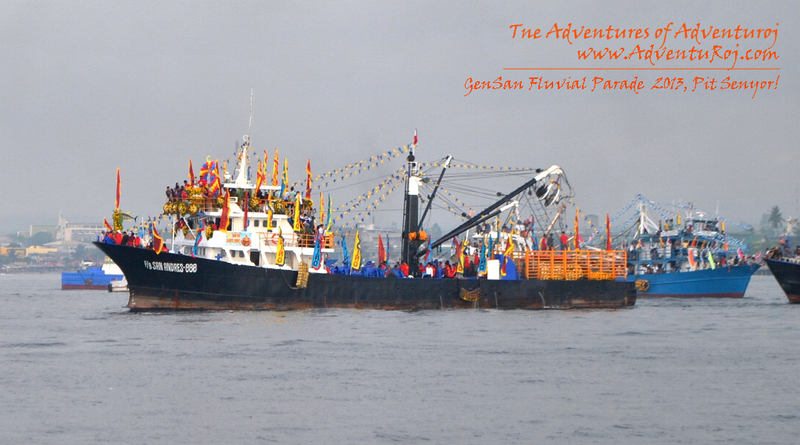 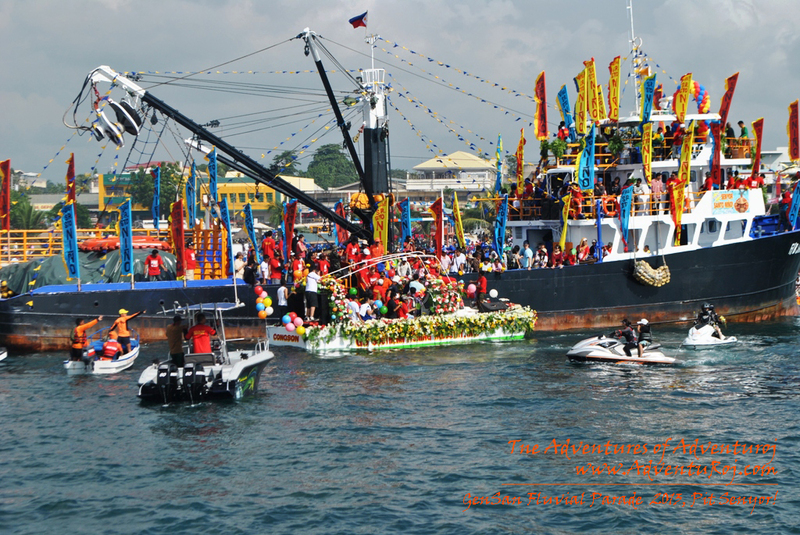 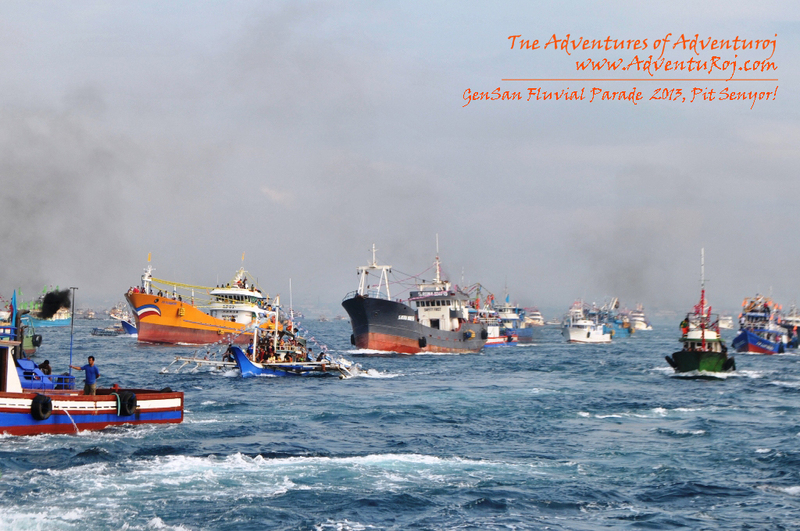 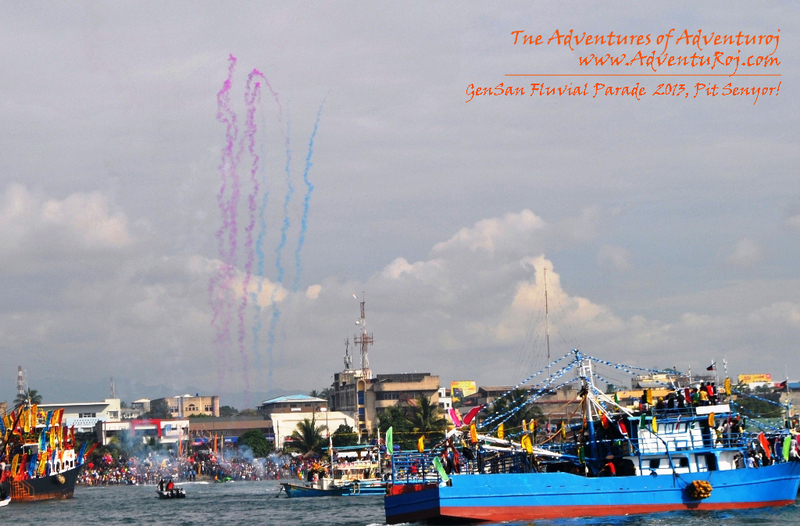 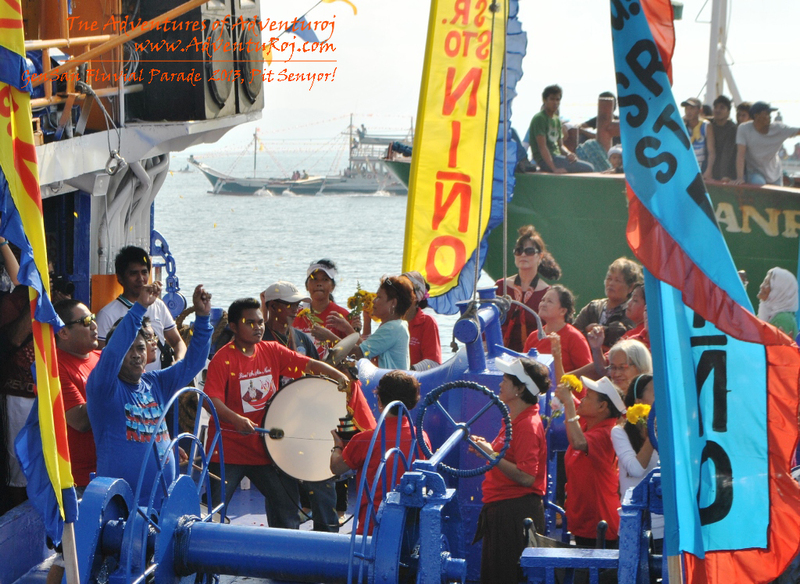 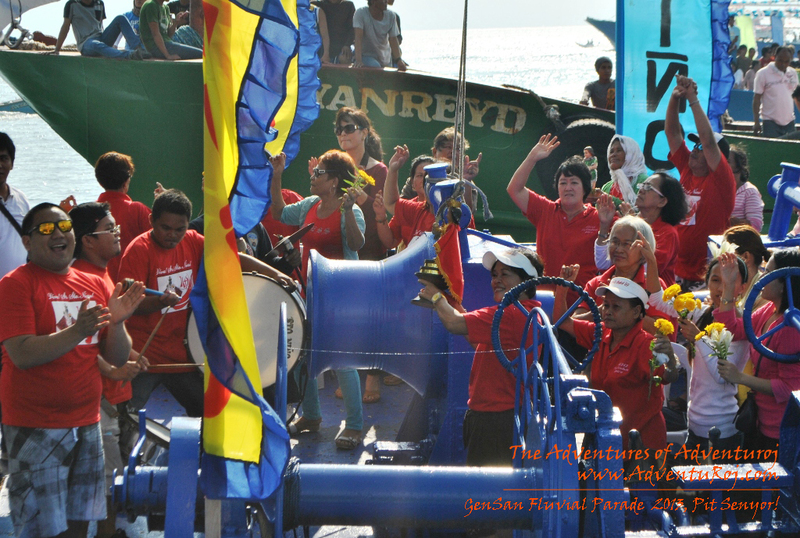 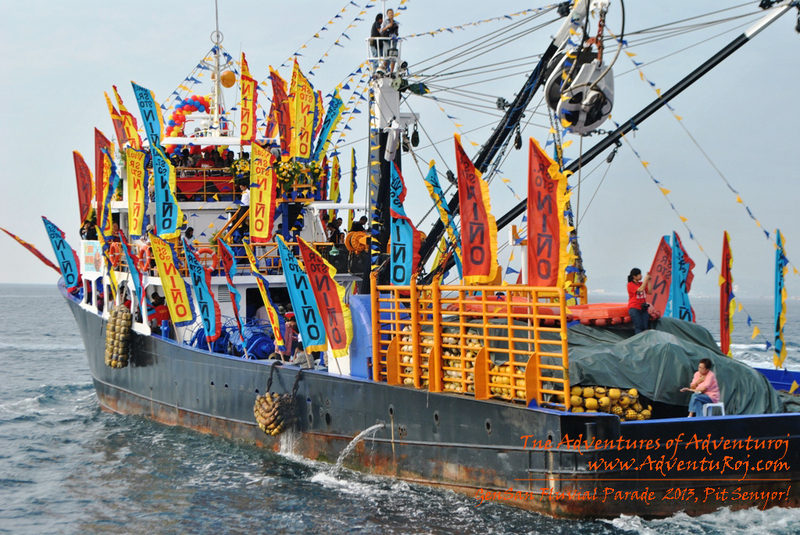 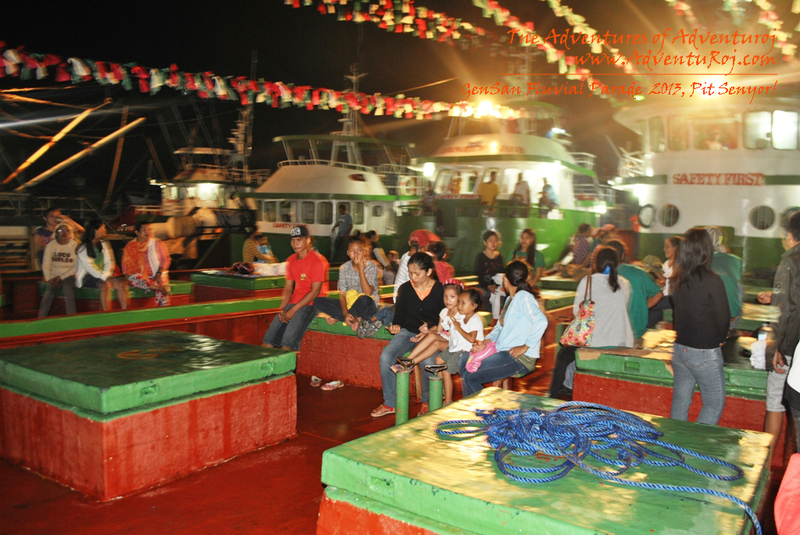 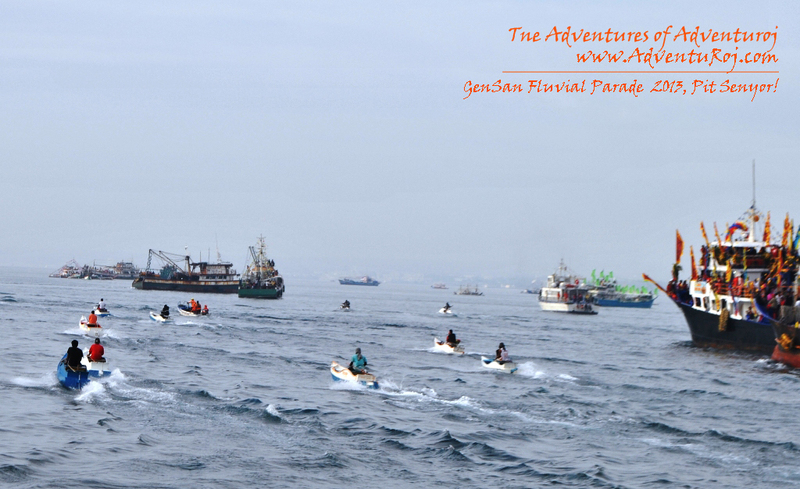 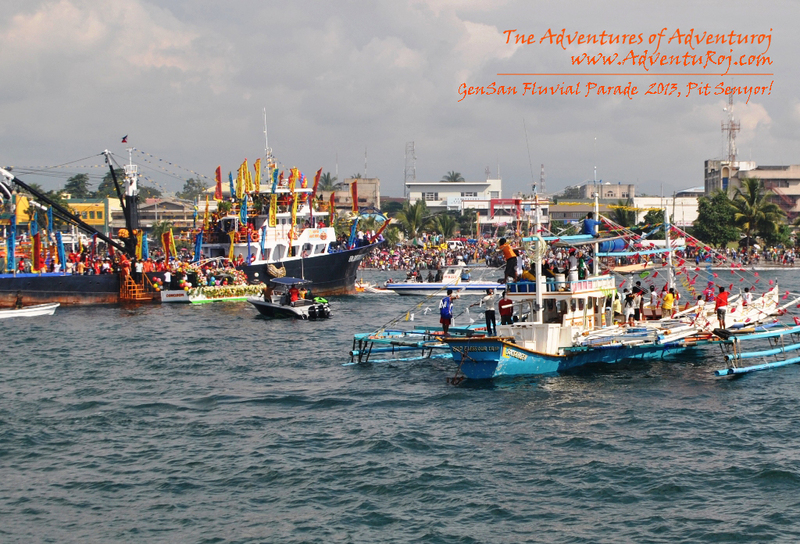 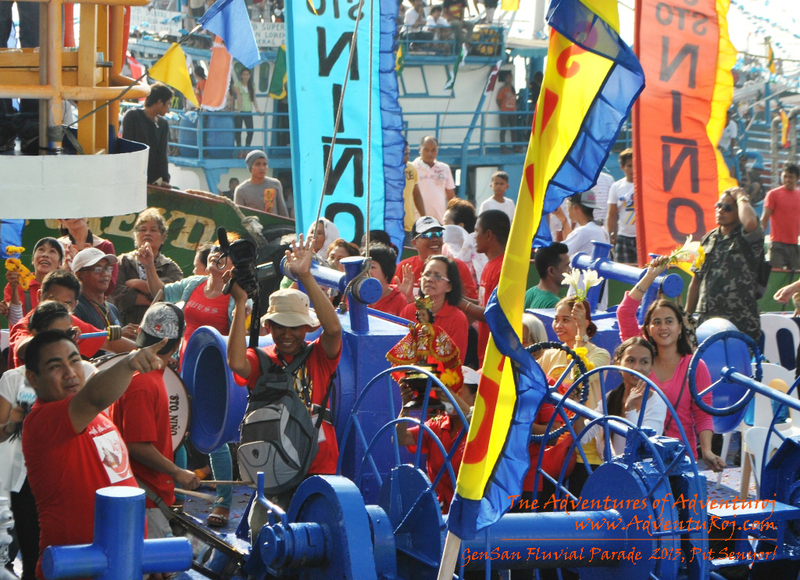 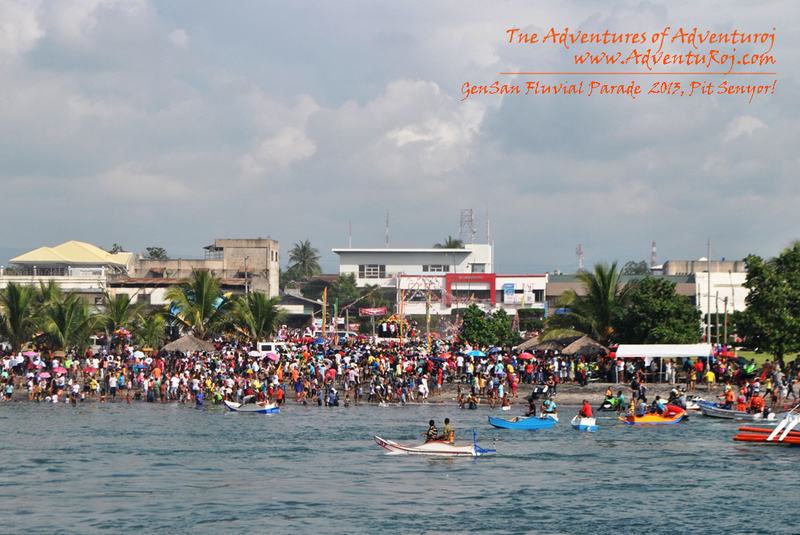 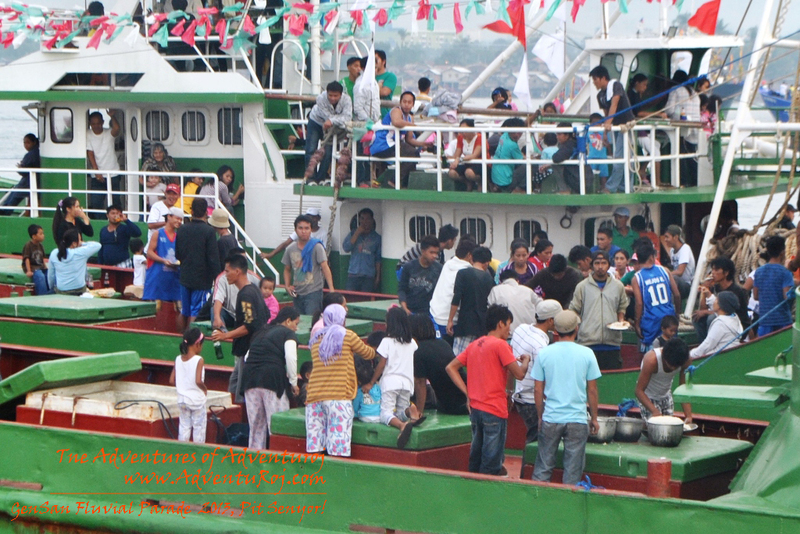 No wonder thousands of tourists flock to watch this most anticipated festivity in the tuna capital of the Philippines – General Santos City. 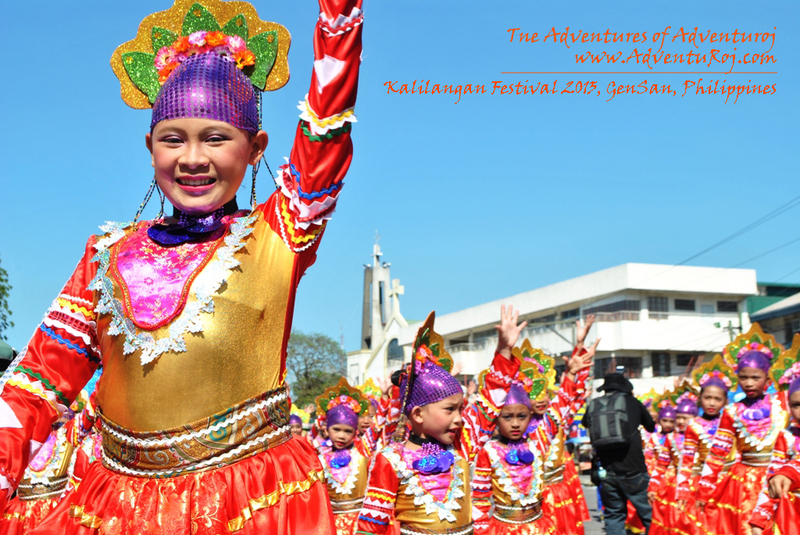 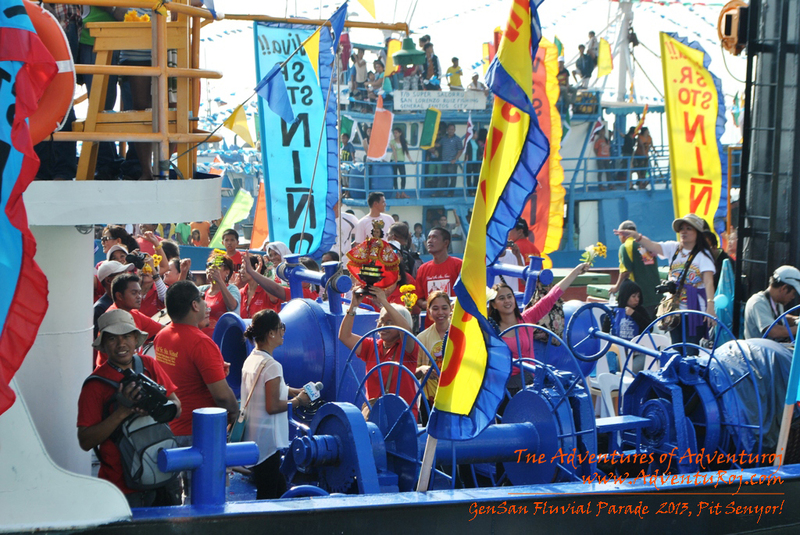 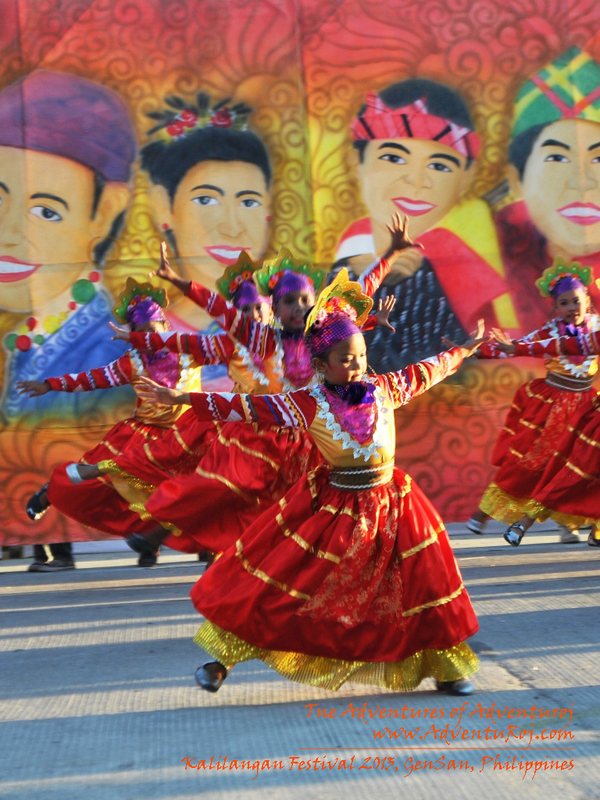 The main streets of Heneral Santos are once again flooded with people, colors and festive dancers on the afternoon of February 27, 2013. 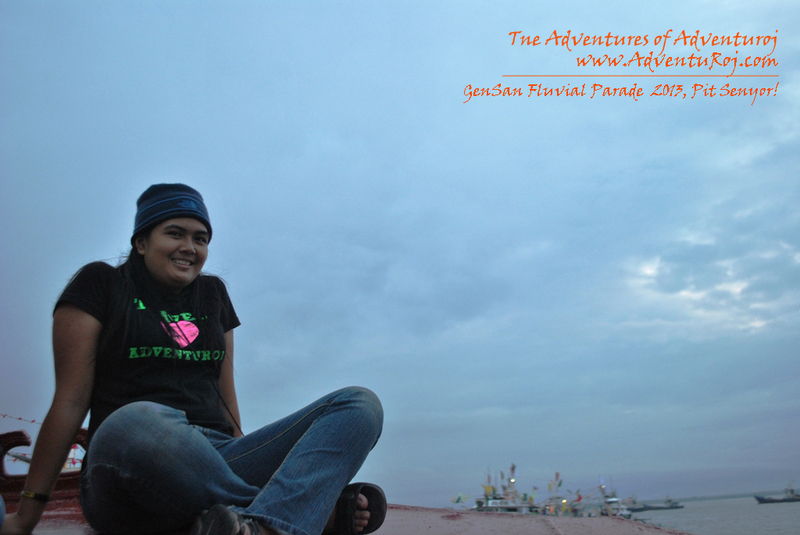 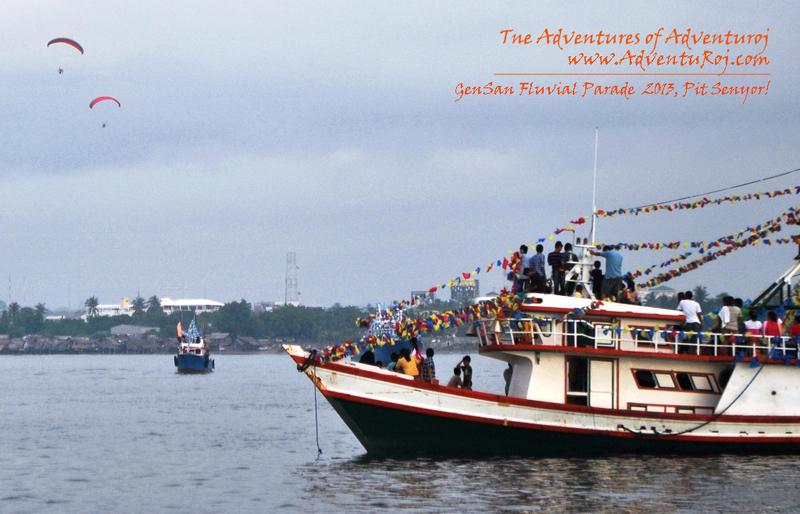 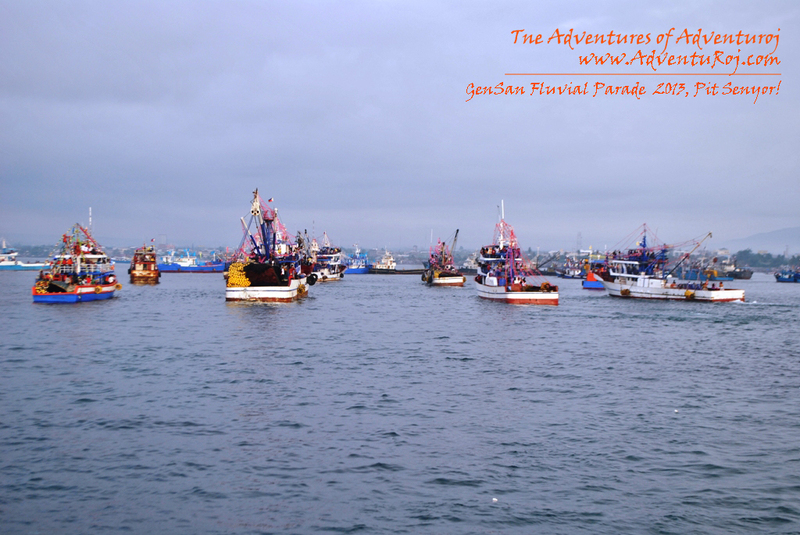 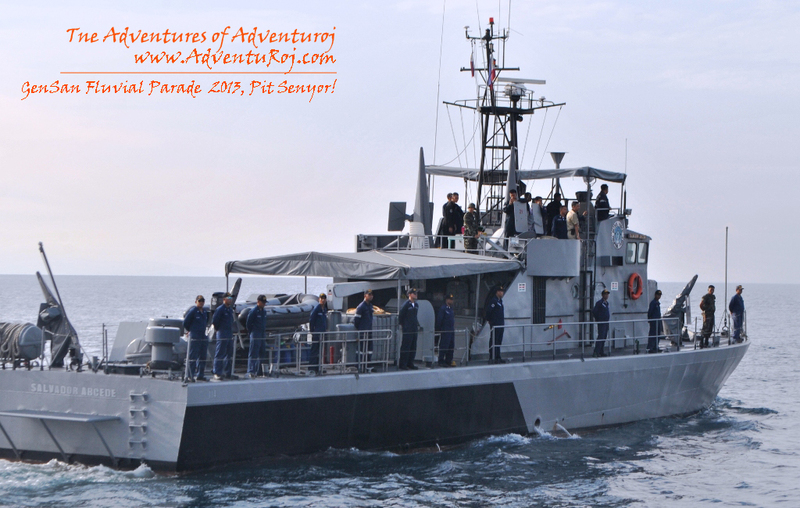 Adventuroj along with my buddies joined in the merriment with our SLRs on hand in capturing memories of this once in a lifetime event. 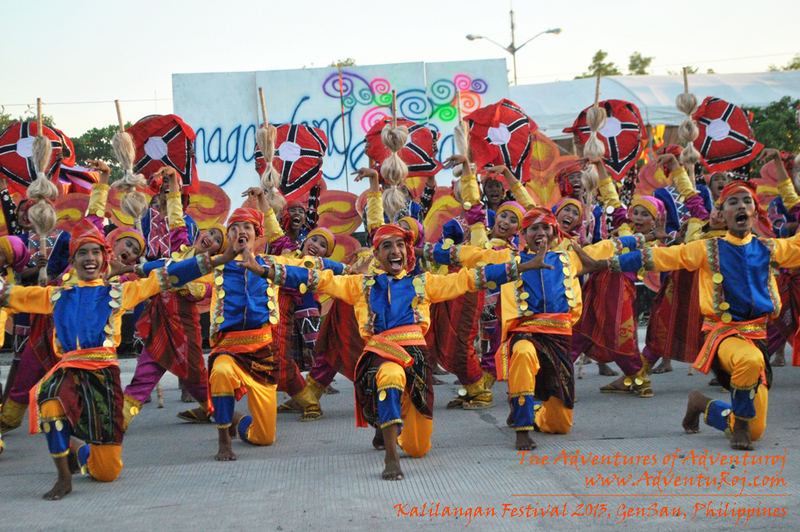 Kalilangan is derived from the rootword “Kalilang” which typically means celebration or commemoration in the Maguindanaon dialect. 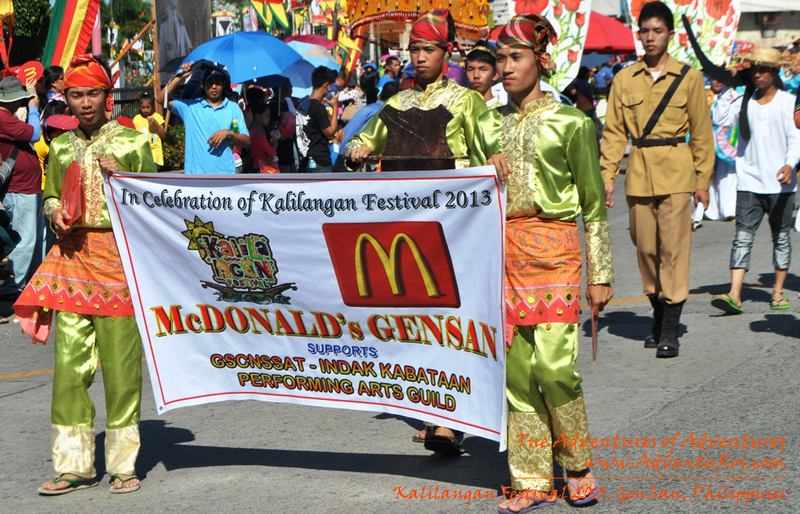 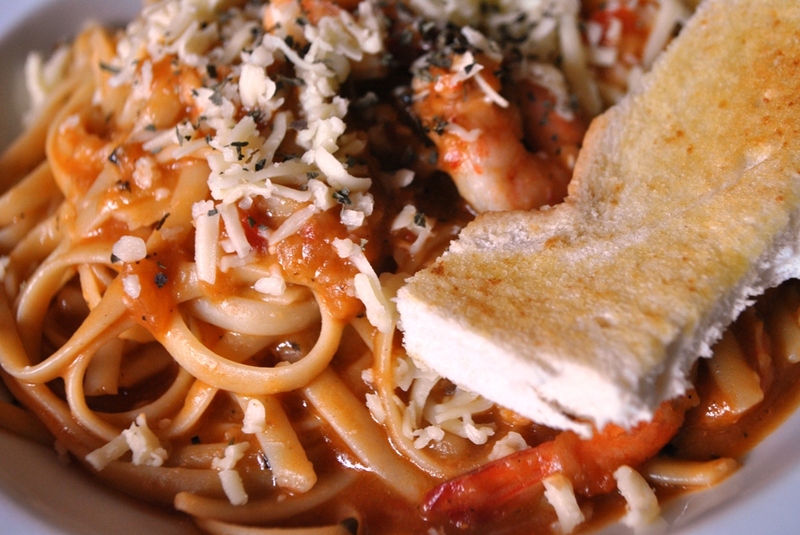 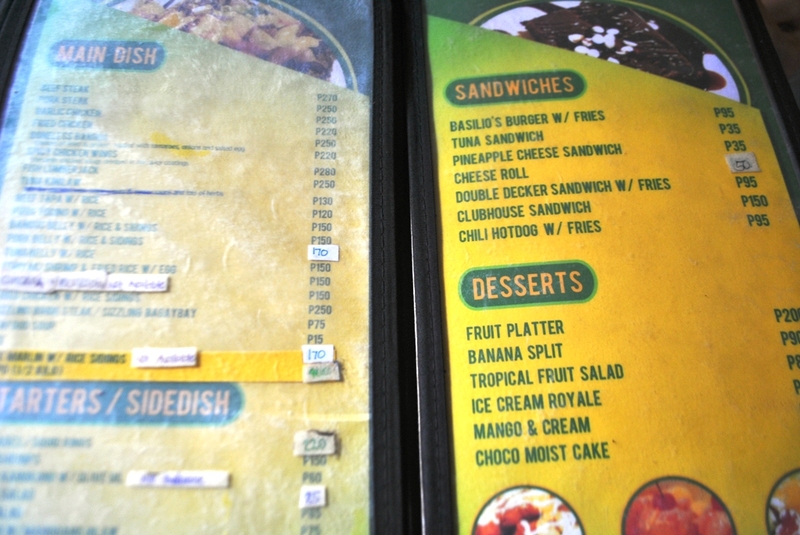 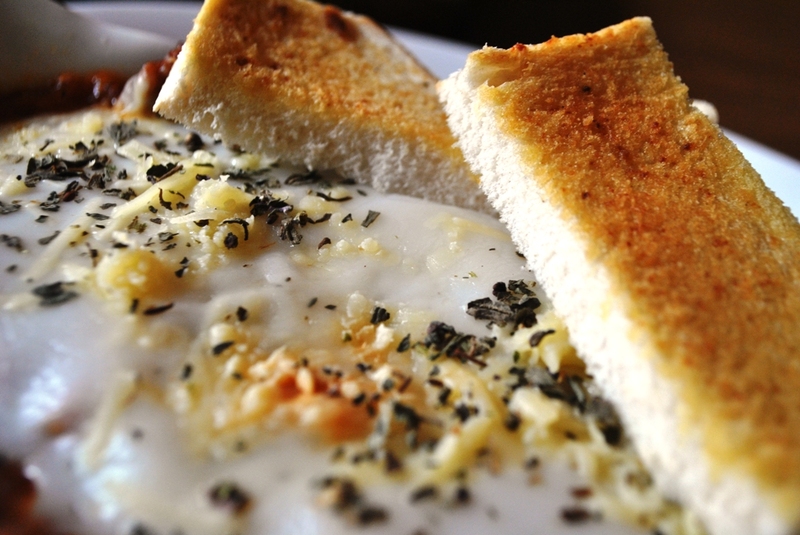 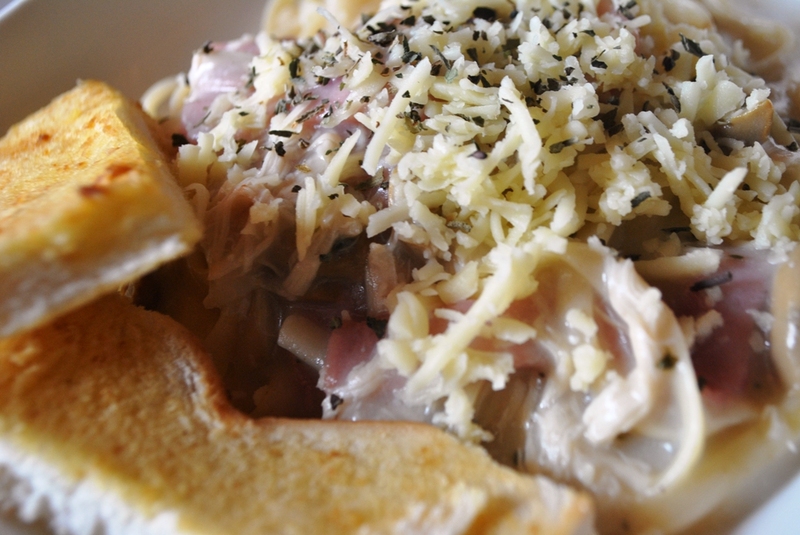 Kalilangan means festival, feastivity or jubilee. 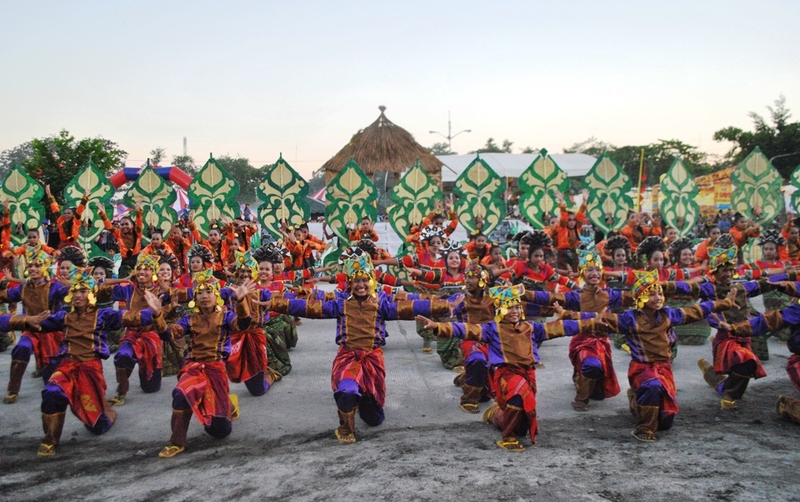 It is a social gathering marked by exchanging of amenities among traditional leaders, elders, allies and subordinates in varying tones. 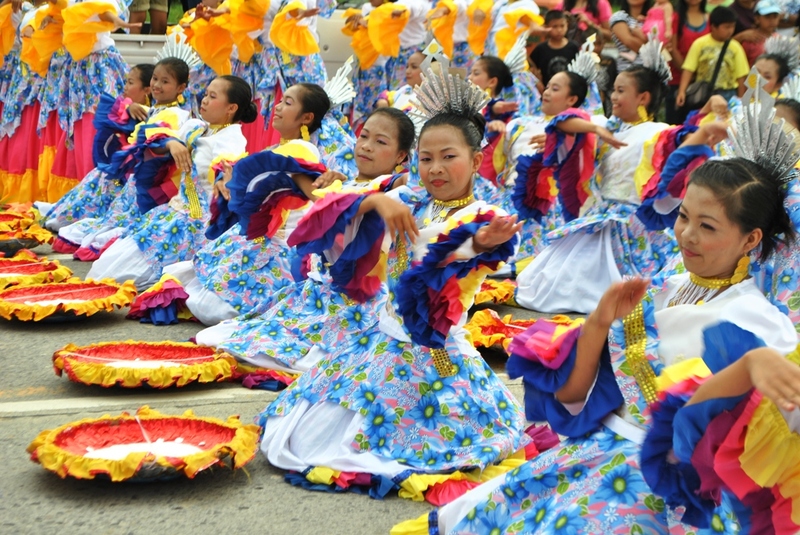 It is also a pageantry of unique and colorful ethnic rites, rituals and traditions like marriage celebrations, religious ceremonies, anniversaries, funerals, enthronement of royal dignitaries, thanksgiving and other social forms of social, political and economic activities. 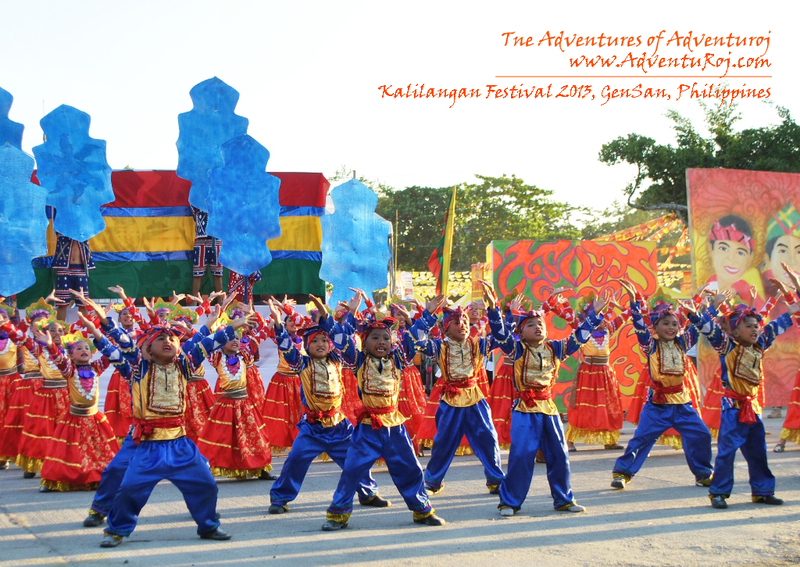 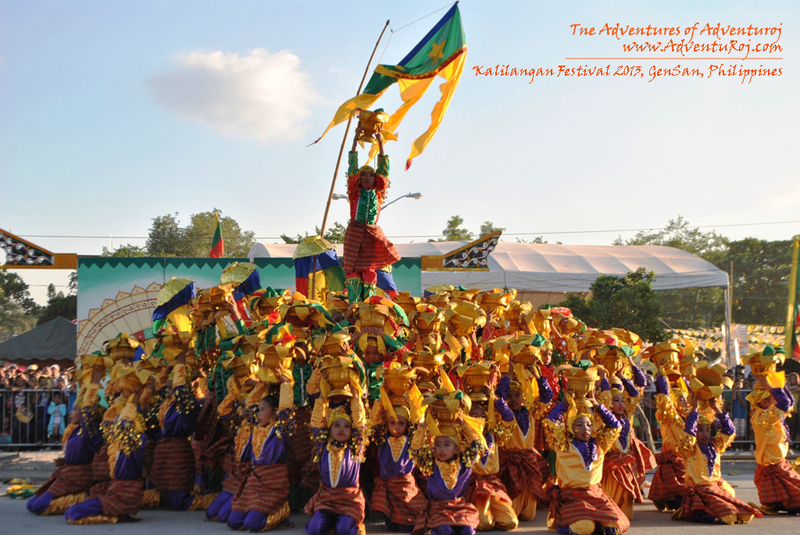 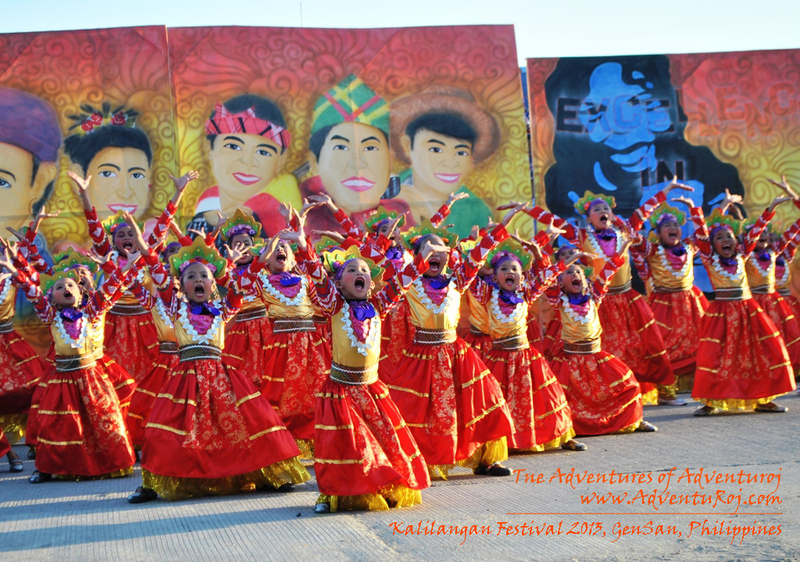 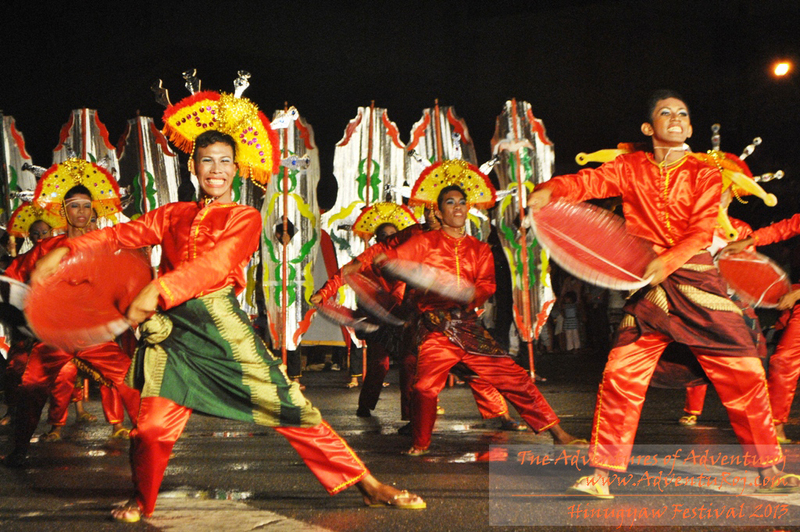 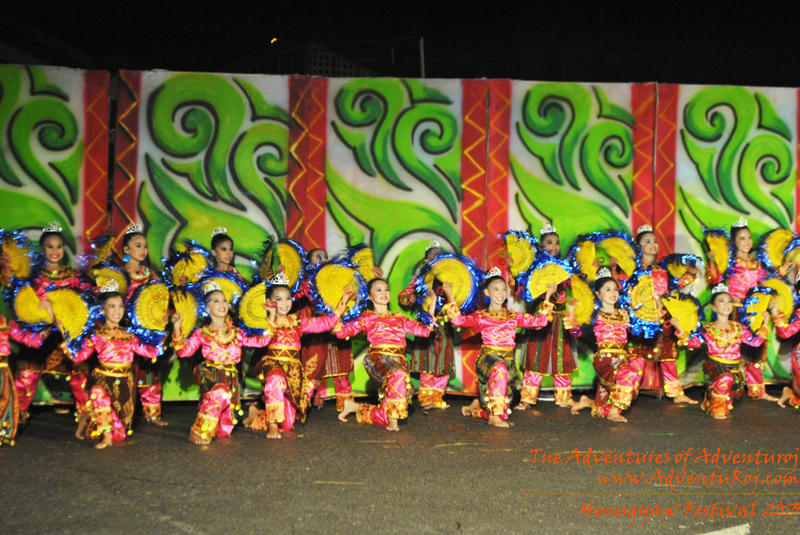 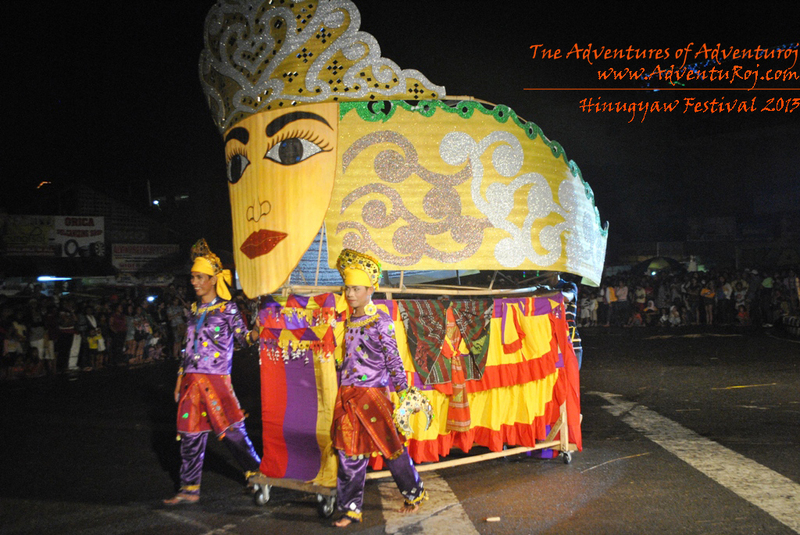 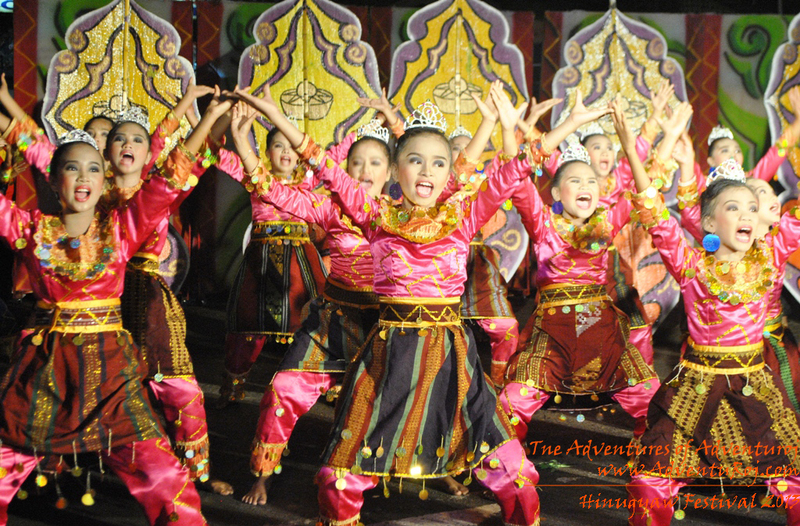 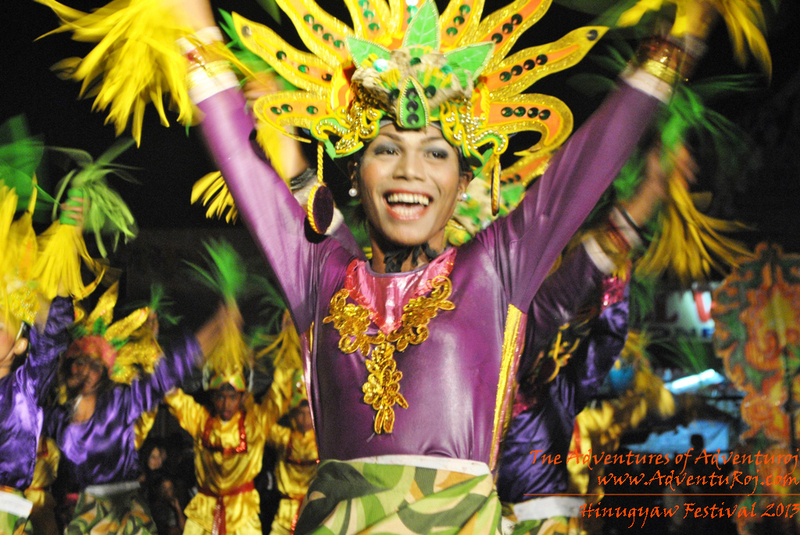 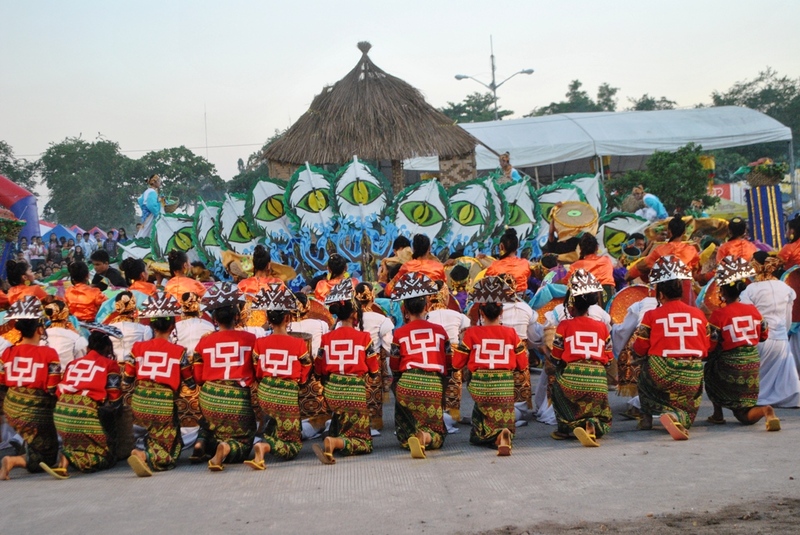 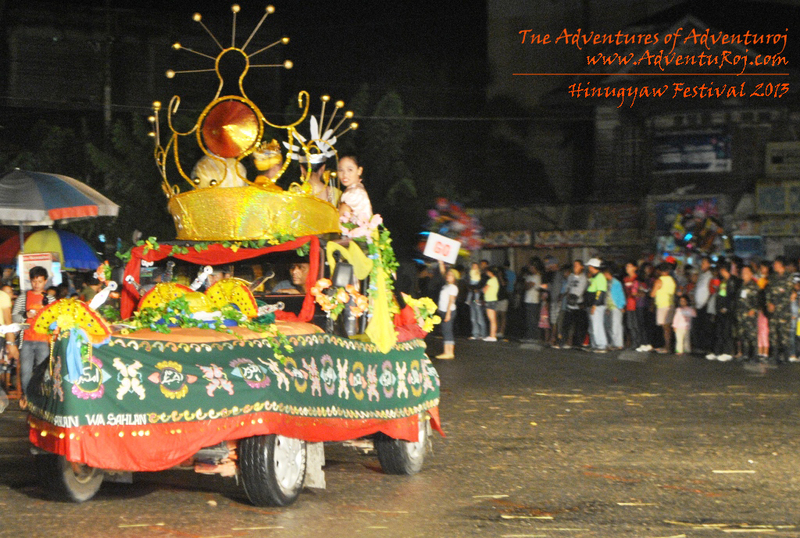 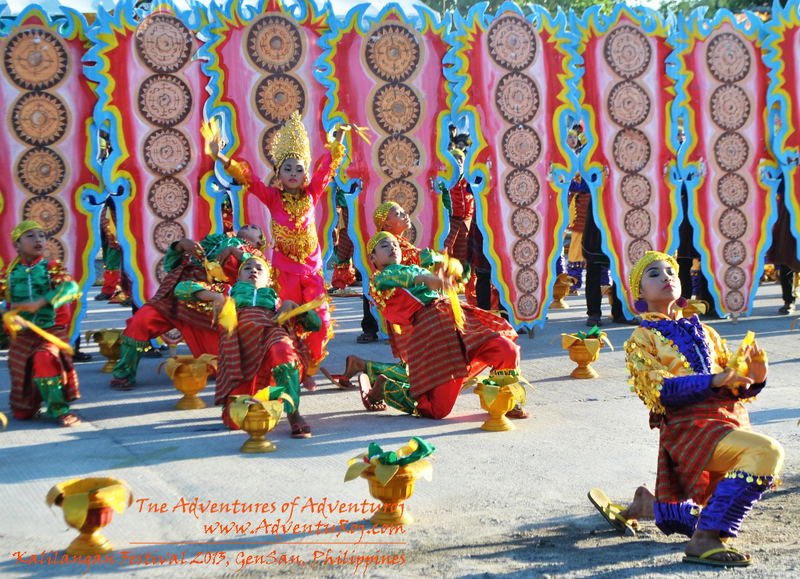 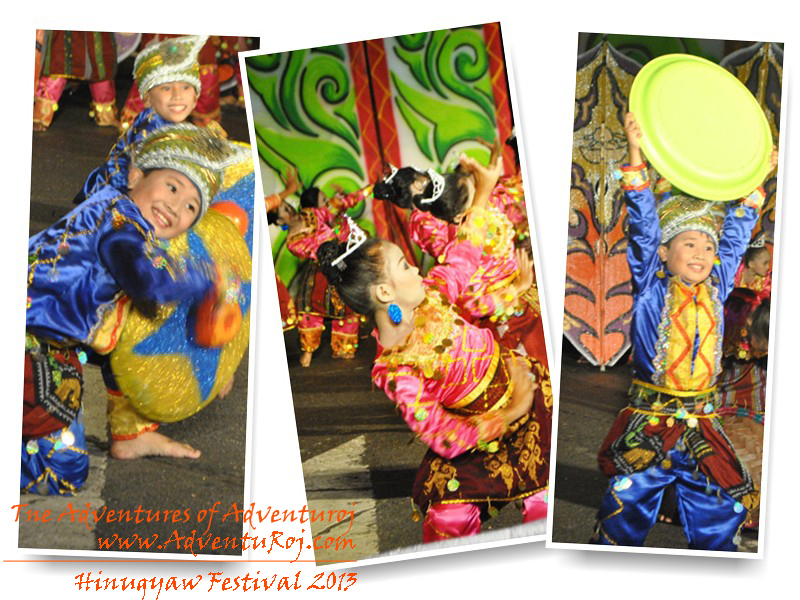 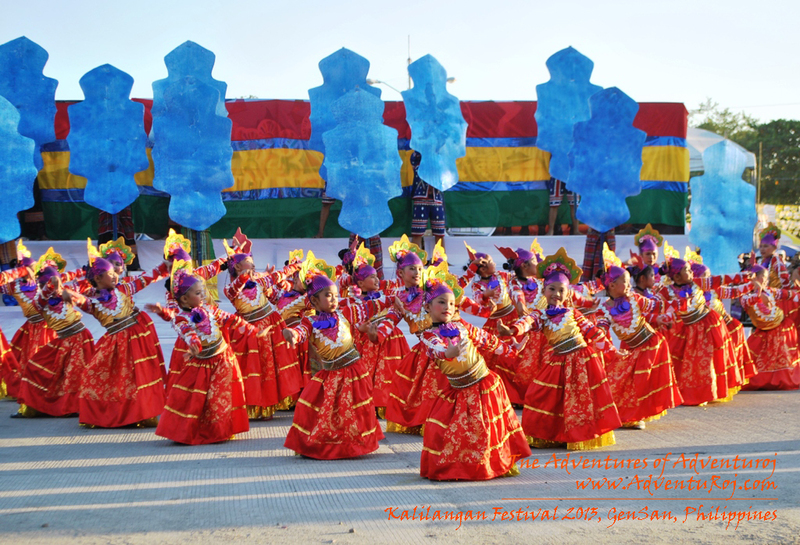 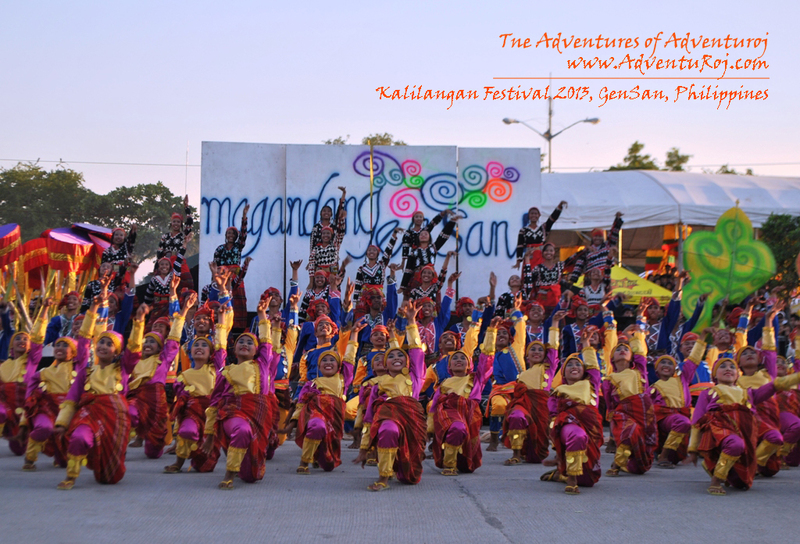 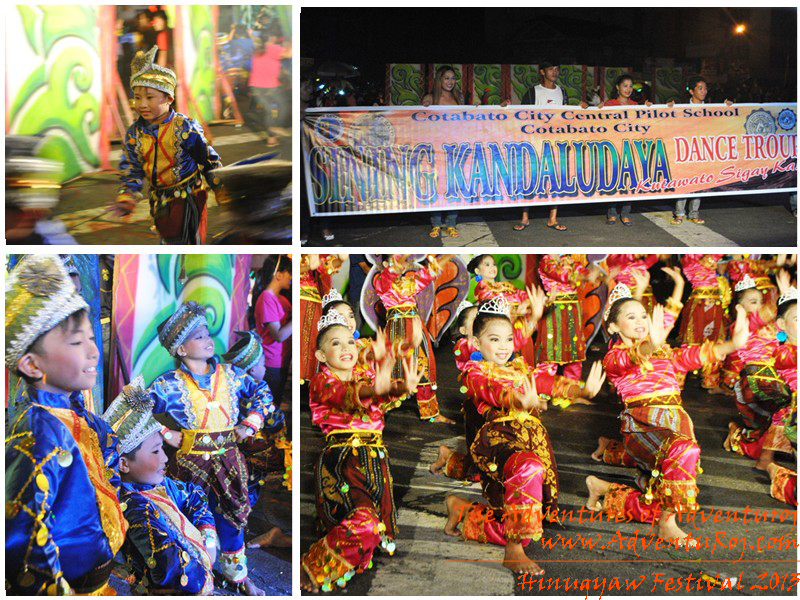 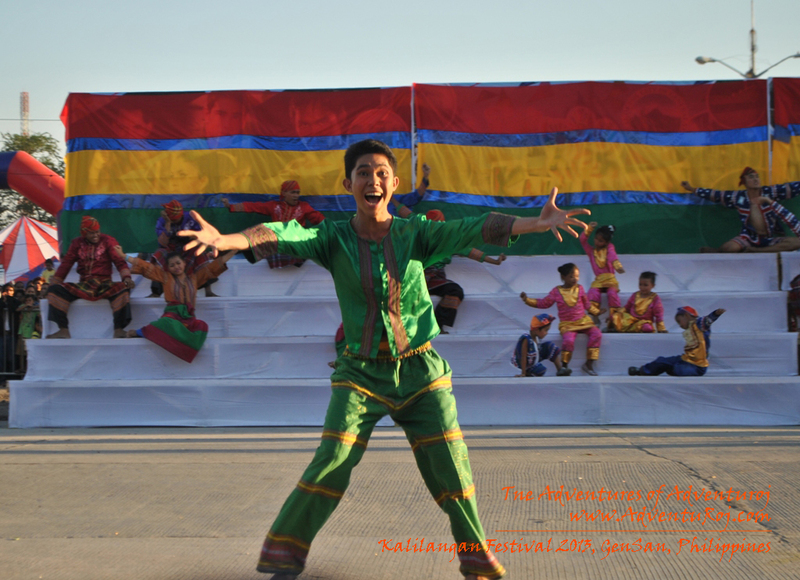 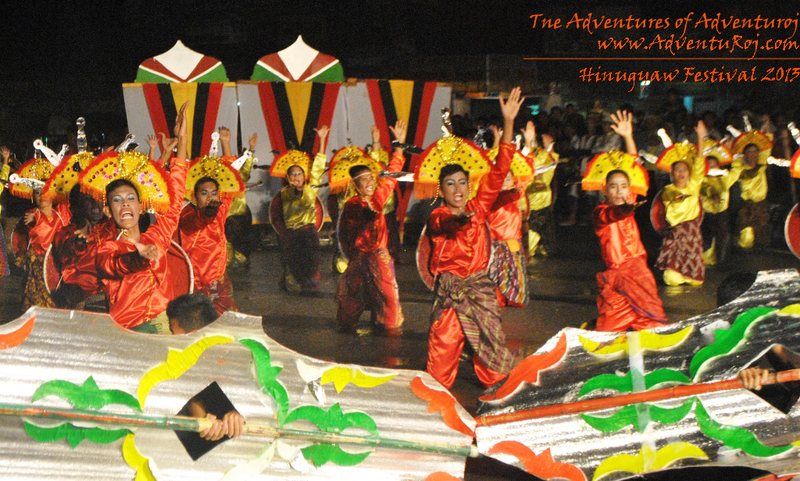 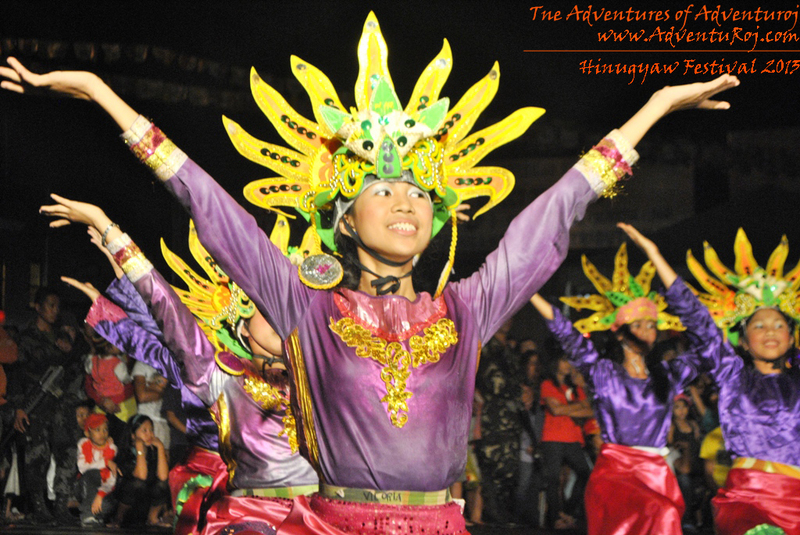 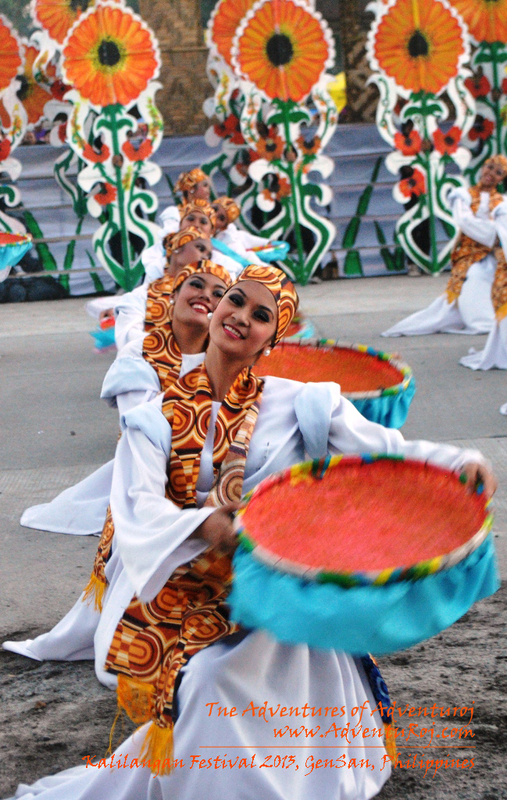 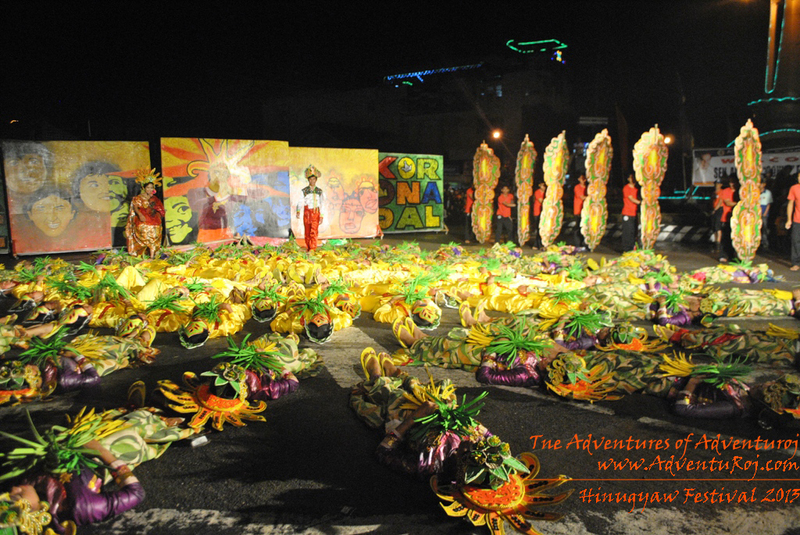 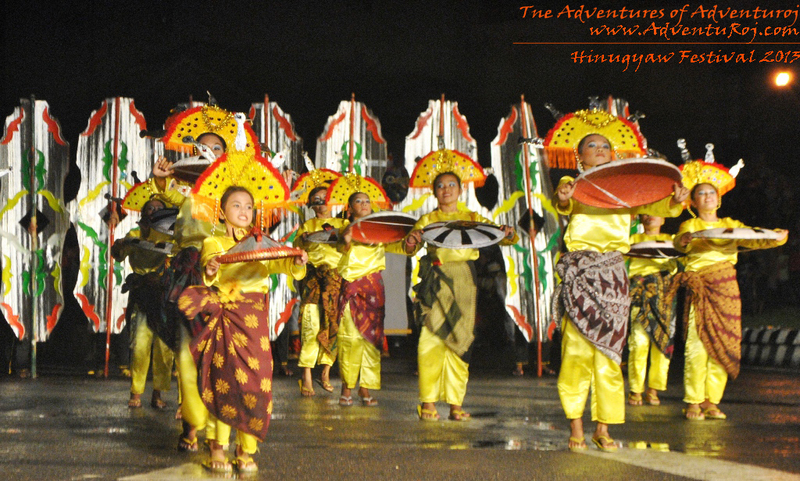 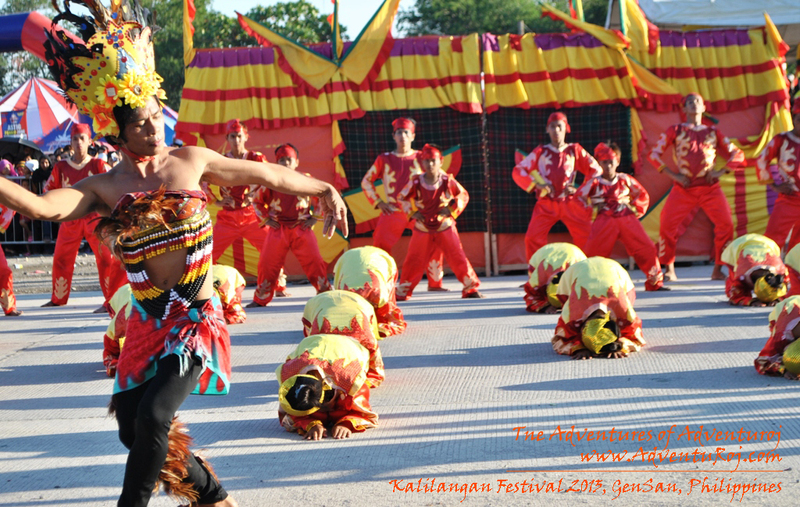 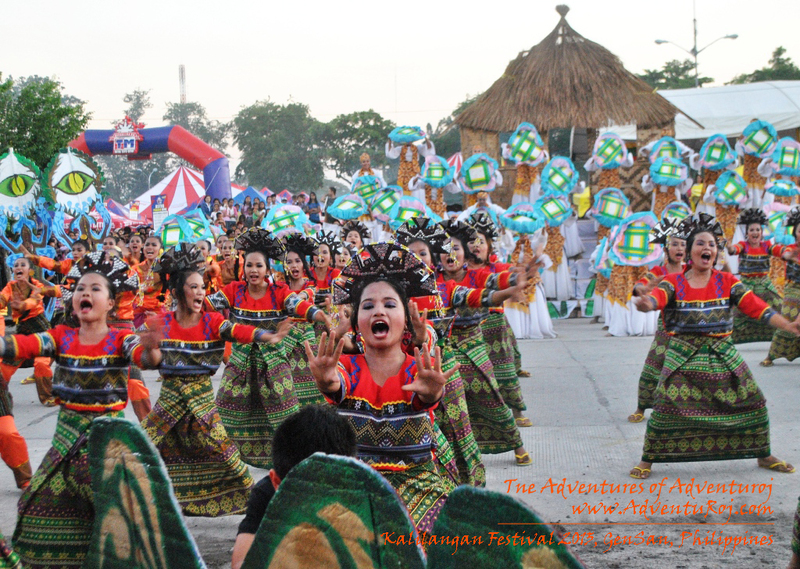 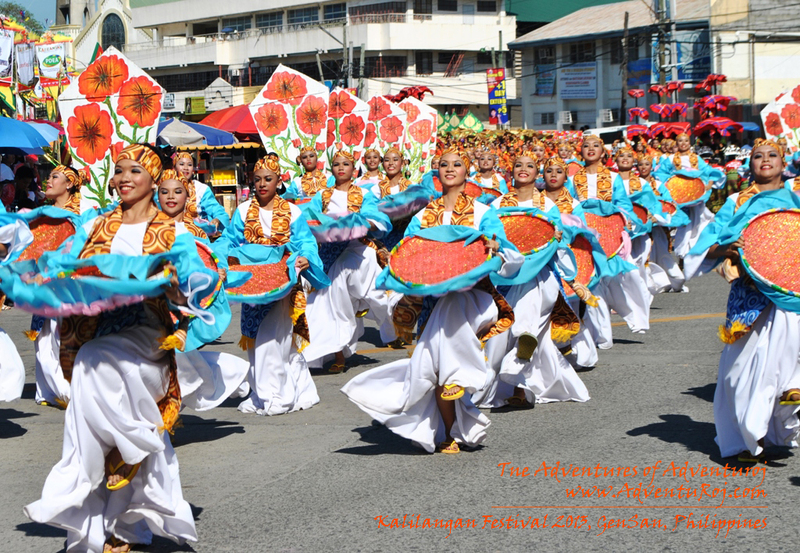 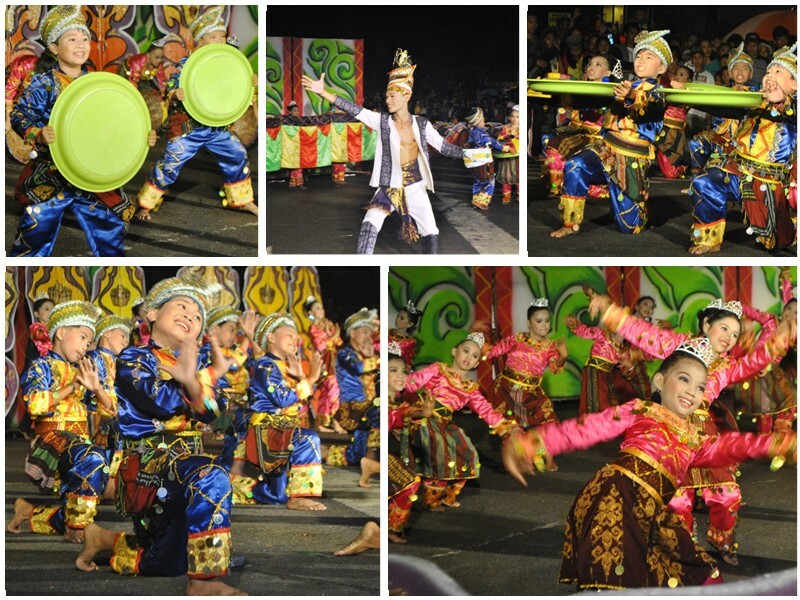 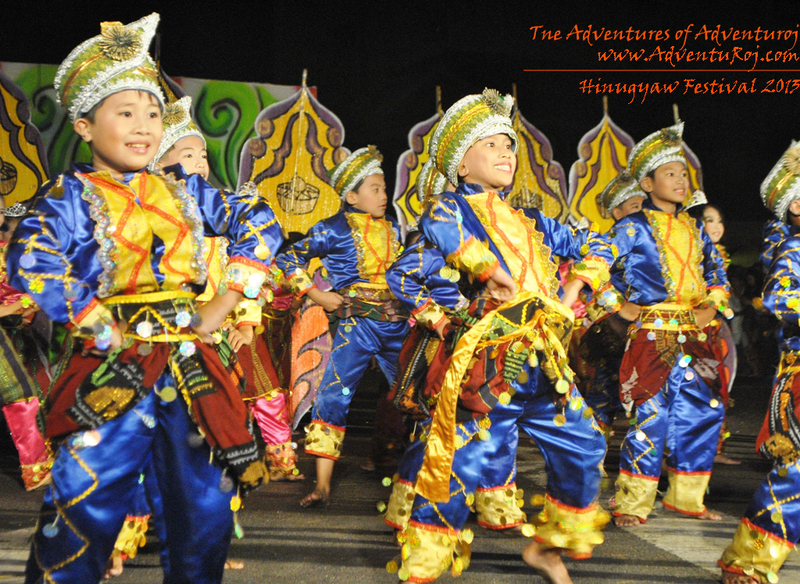 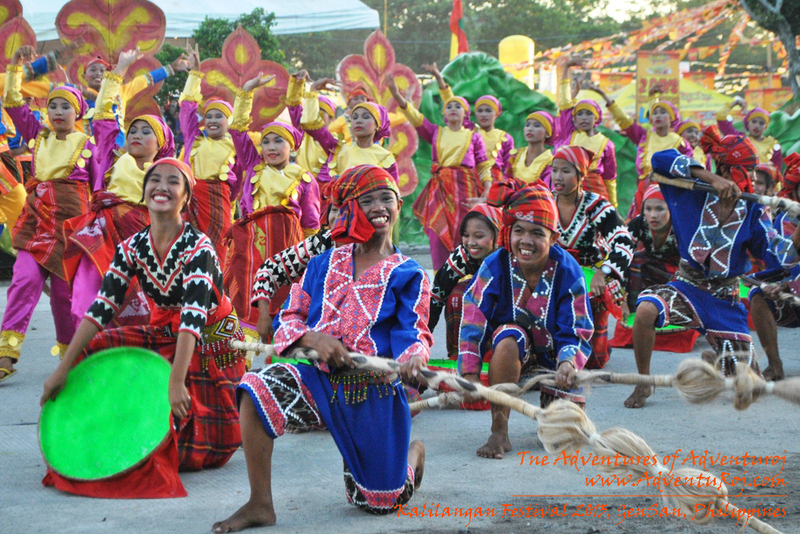 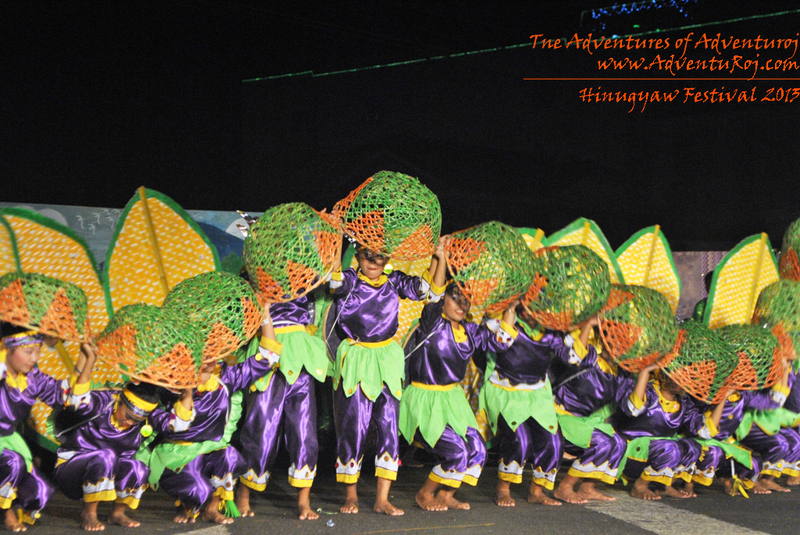 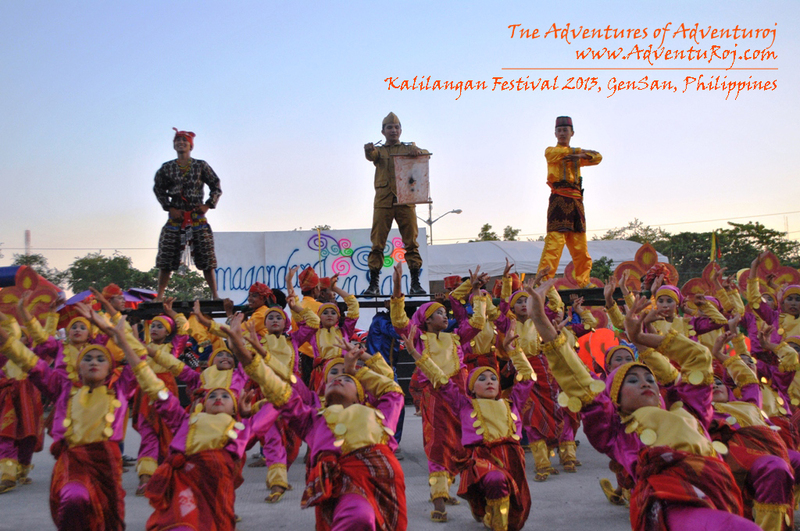 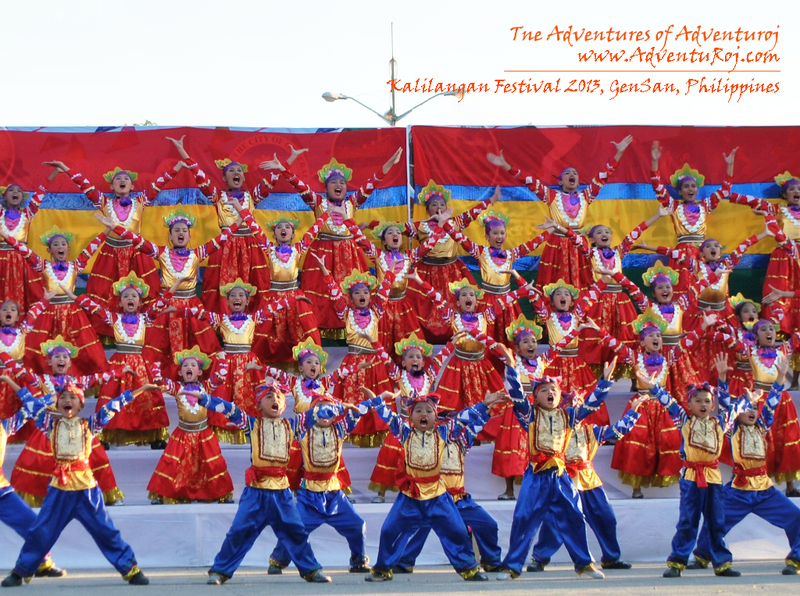 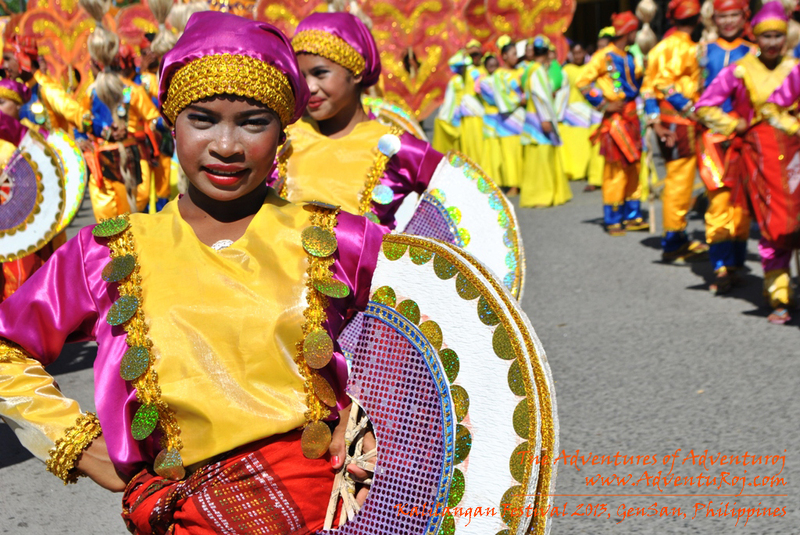 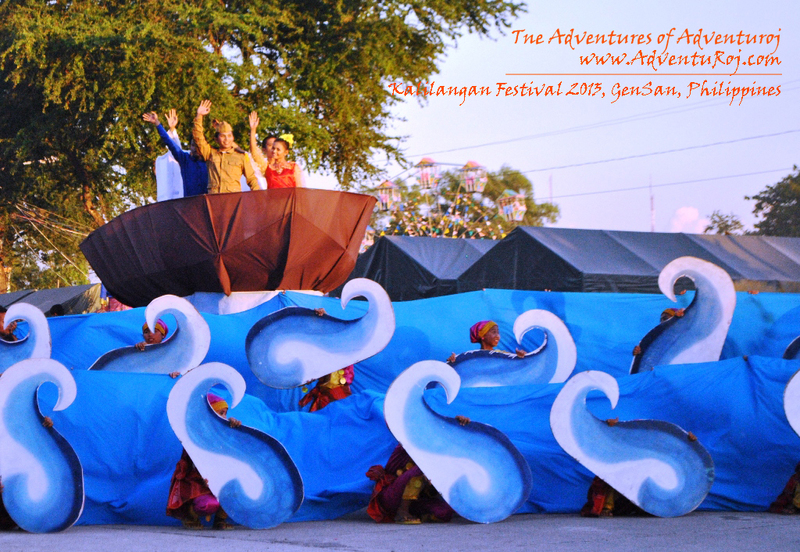 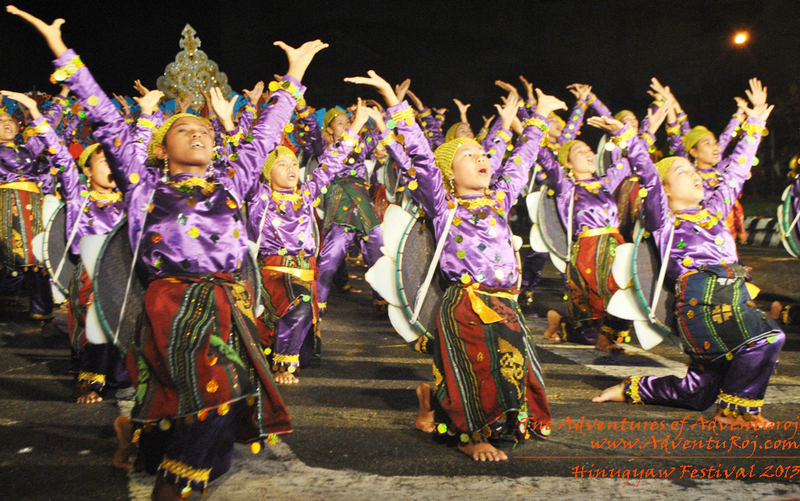 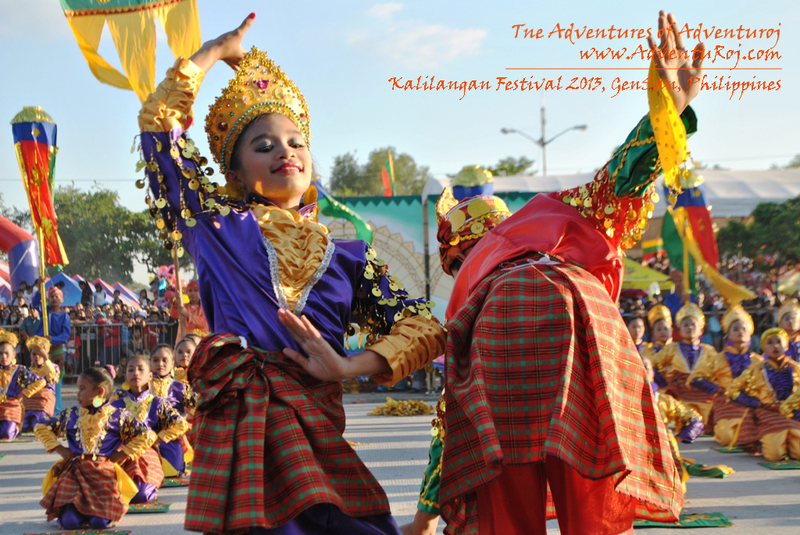 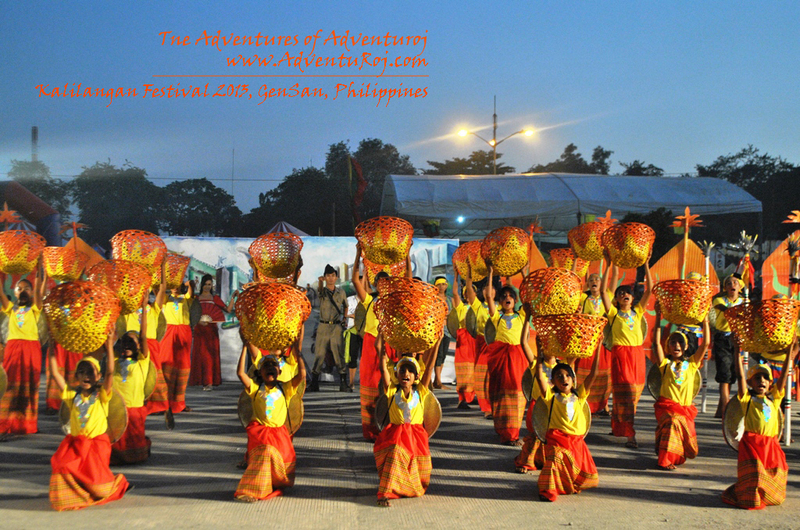 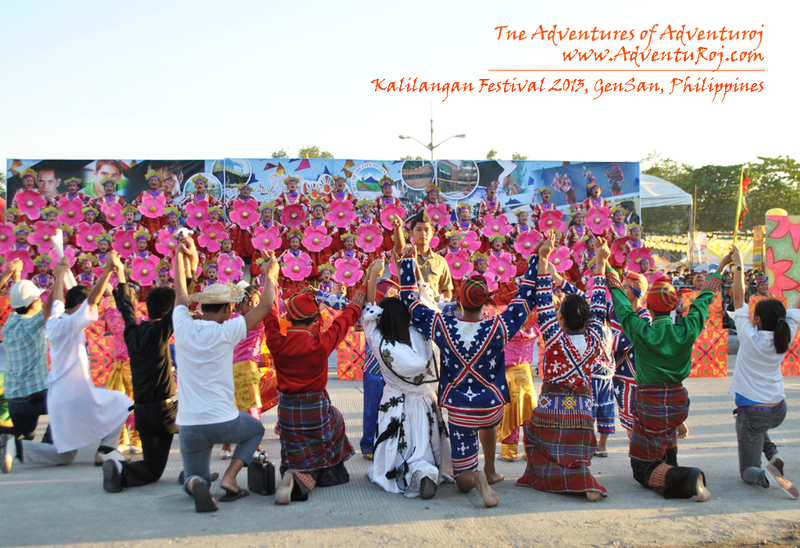 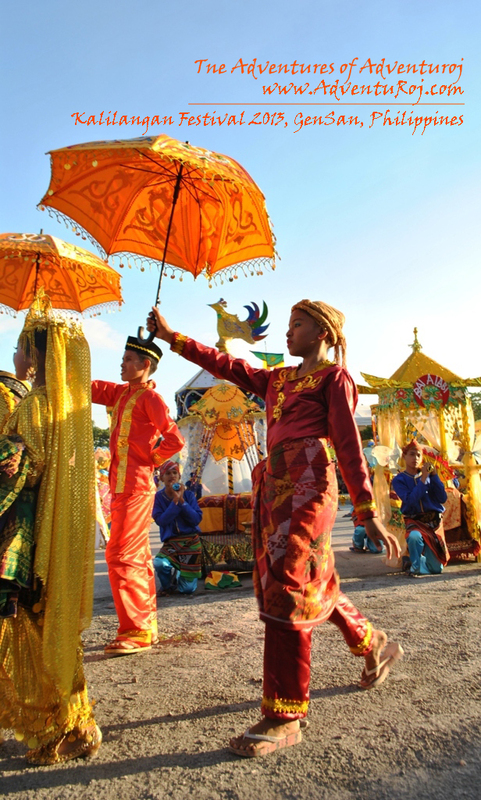 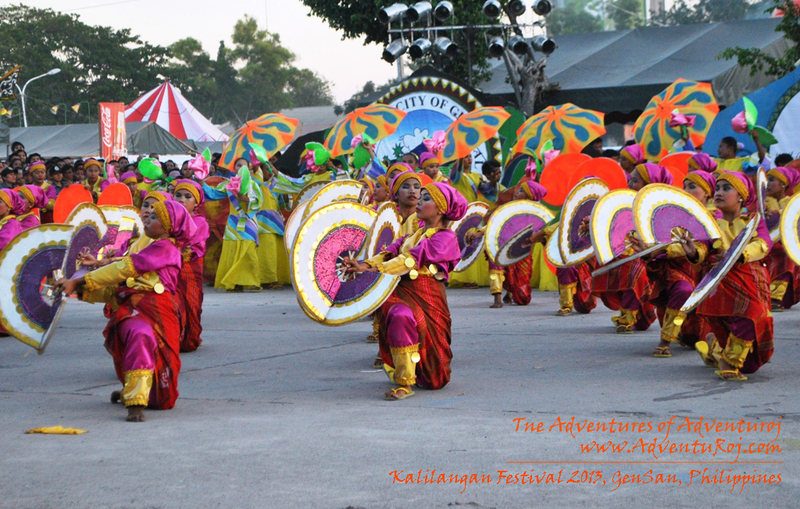 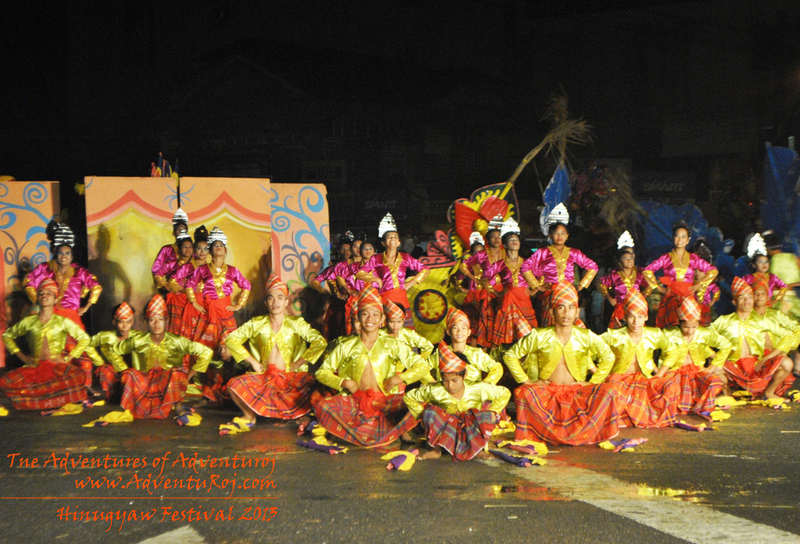 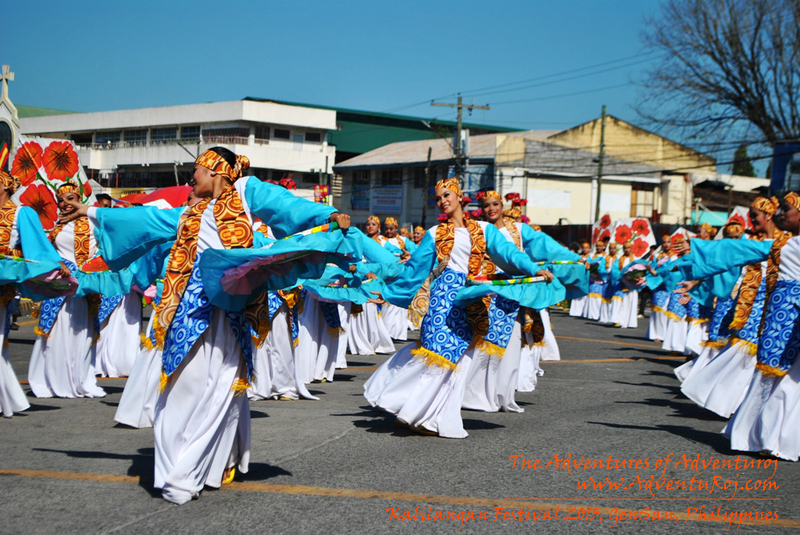 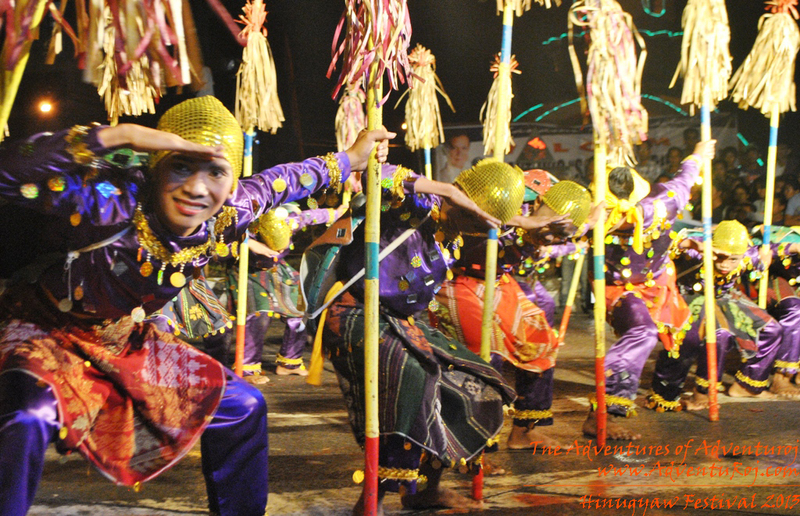 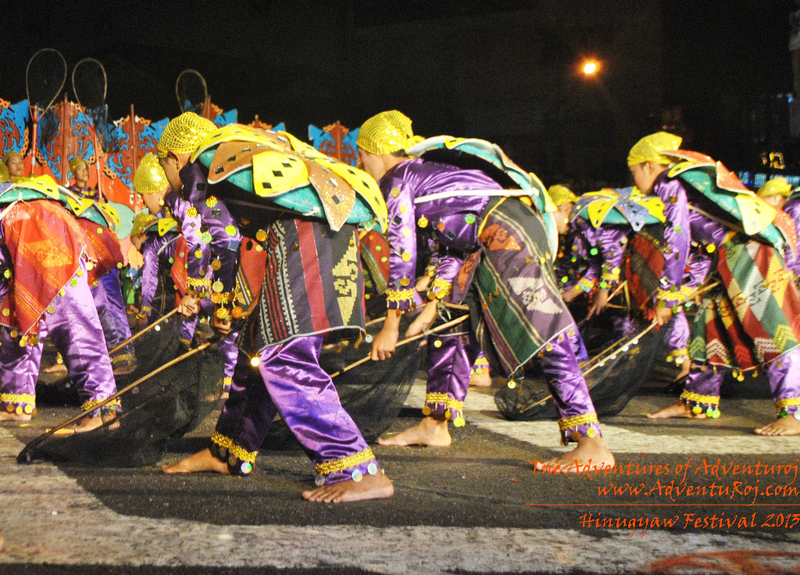 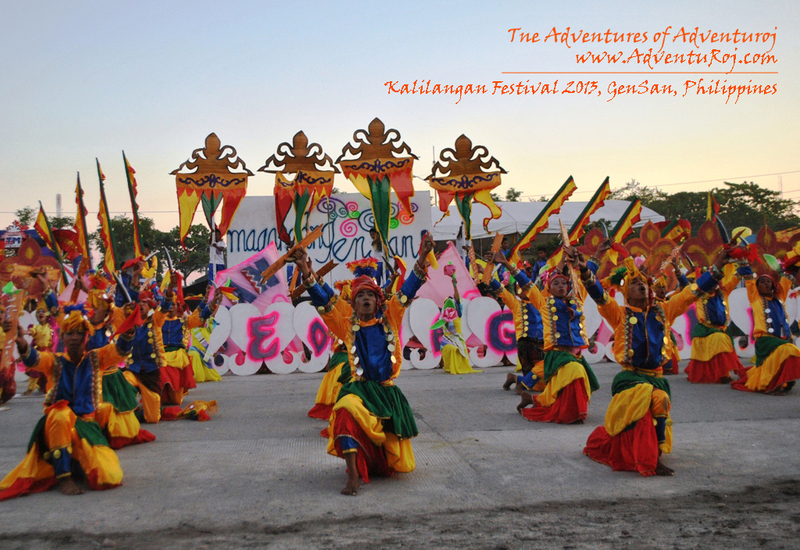 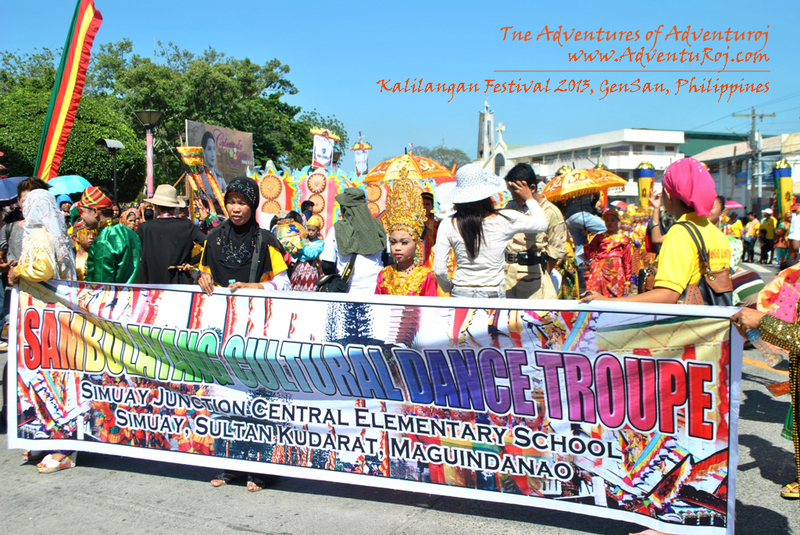 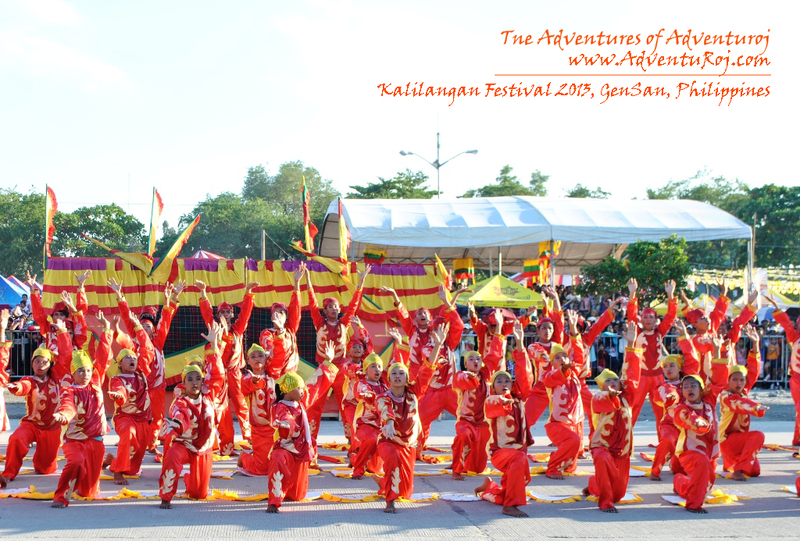 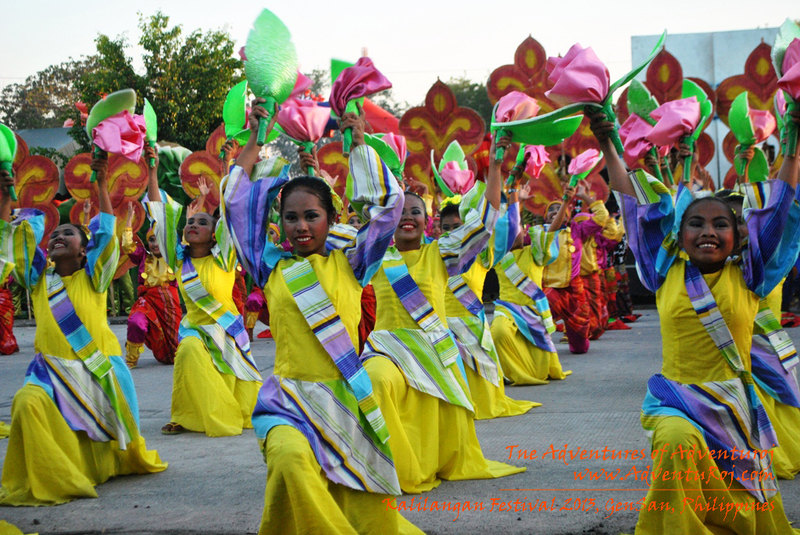 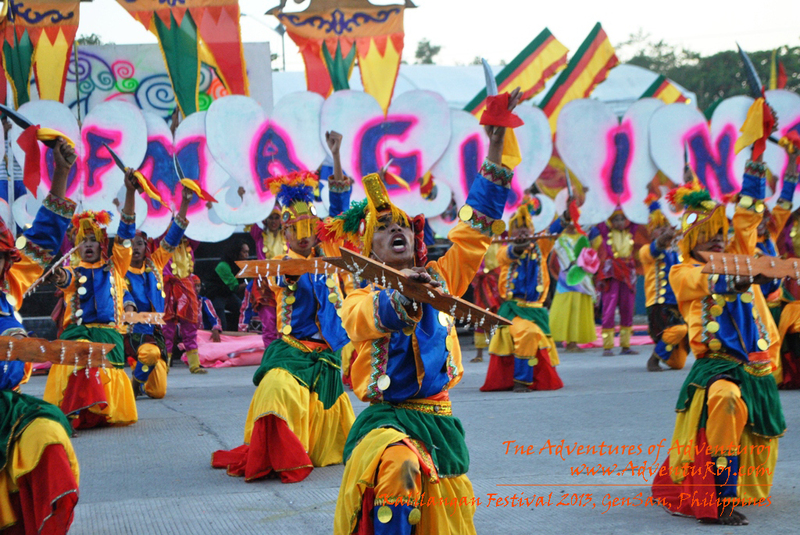 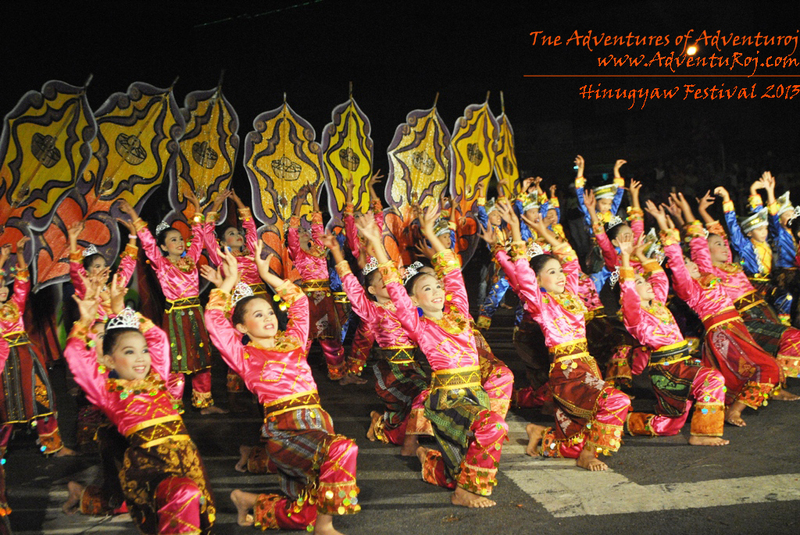 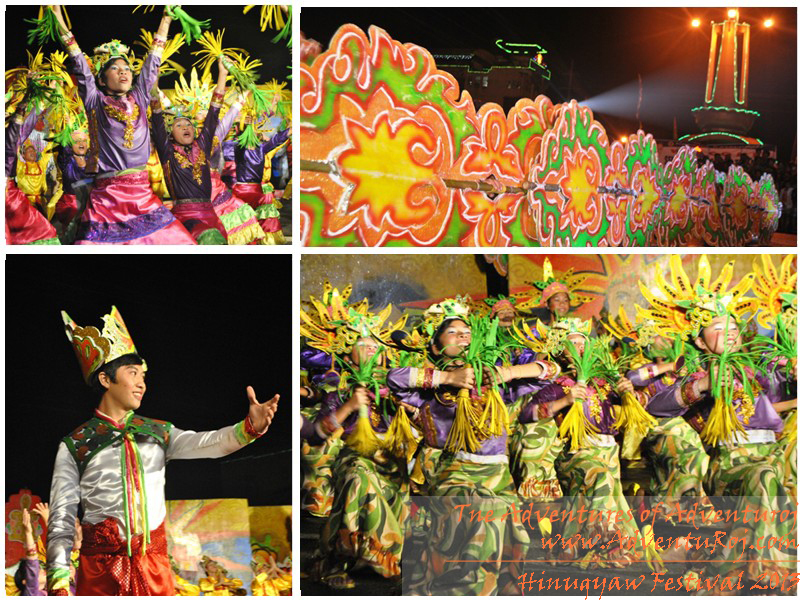 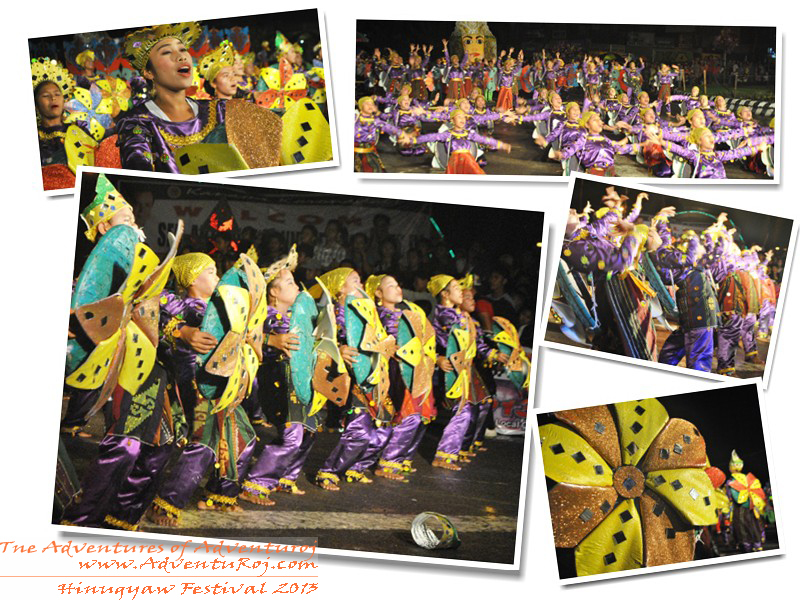 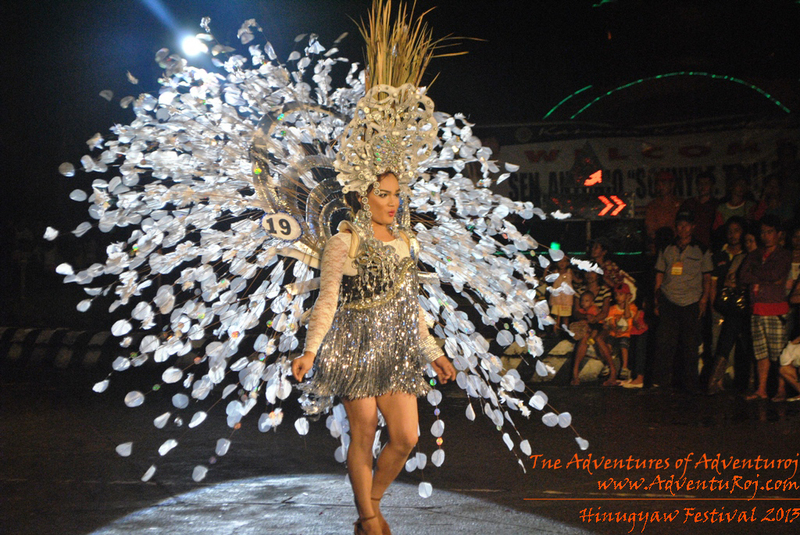 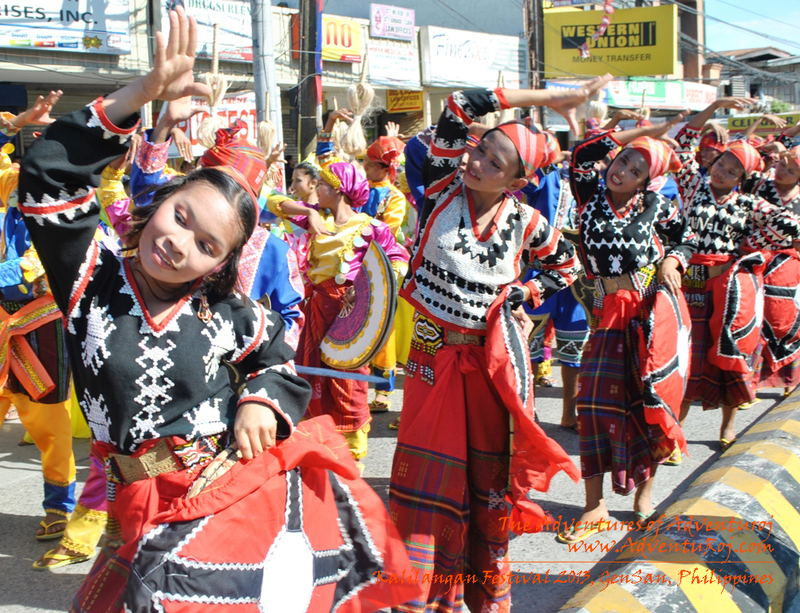 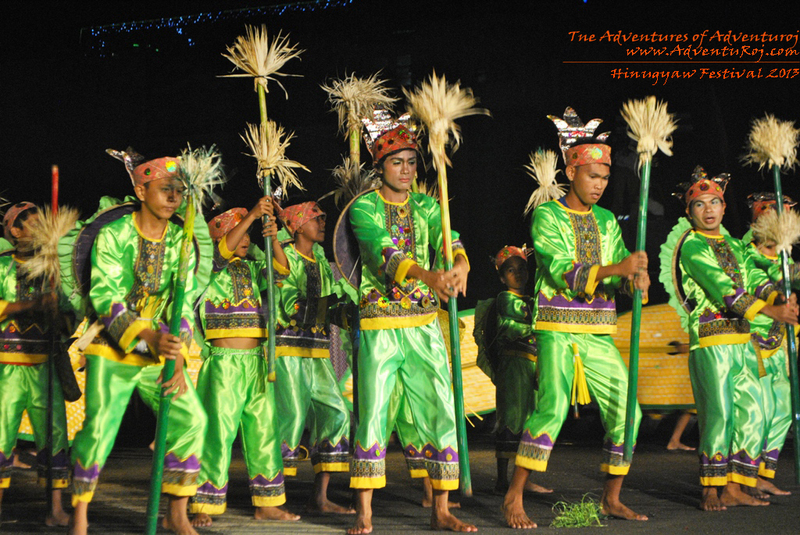 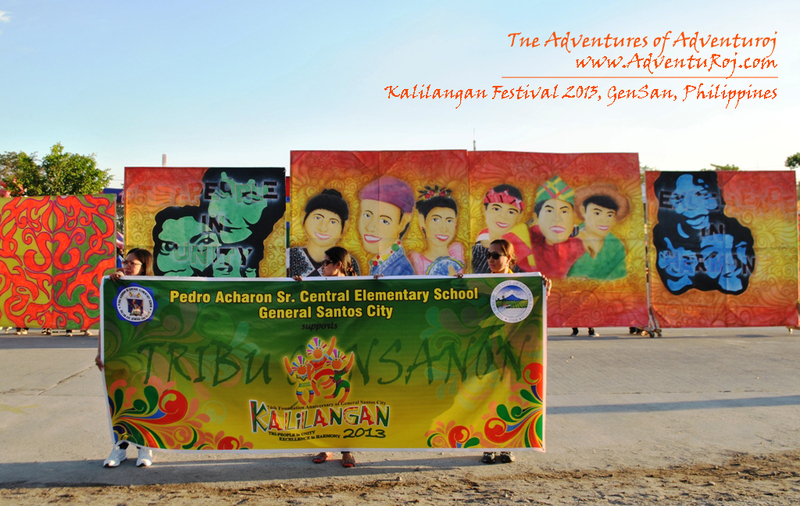 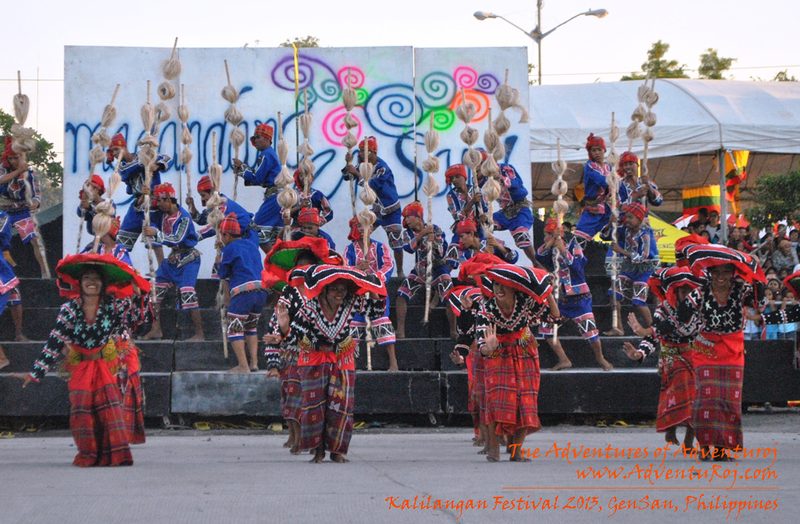 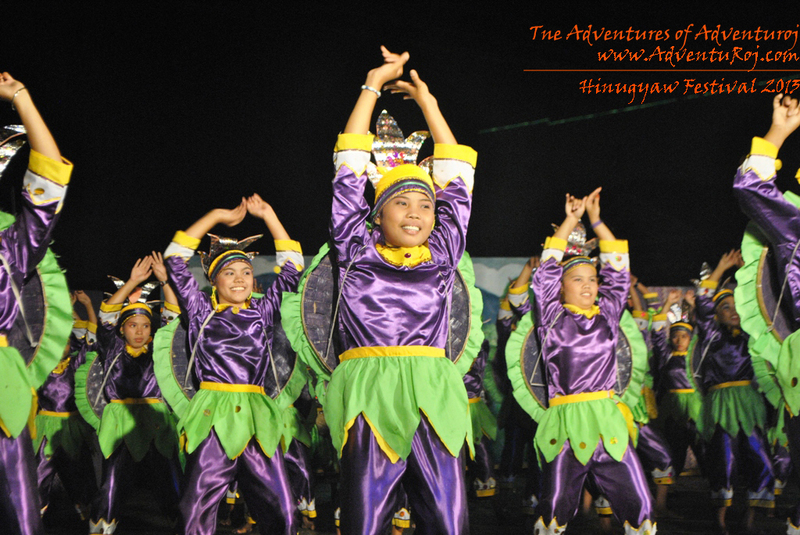 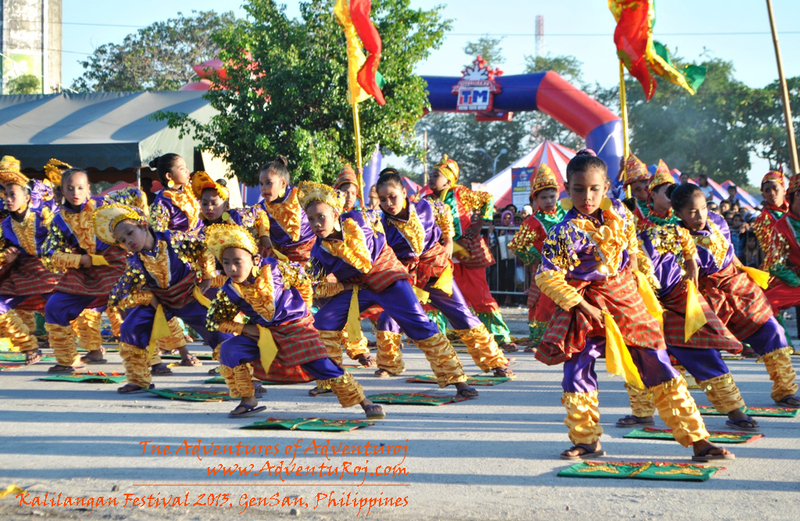 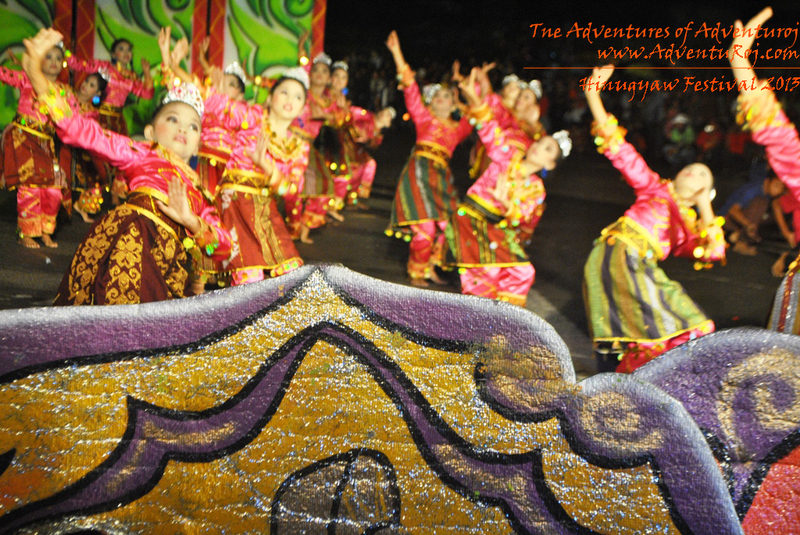 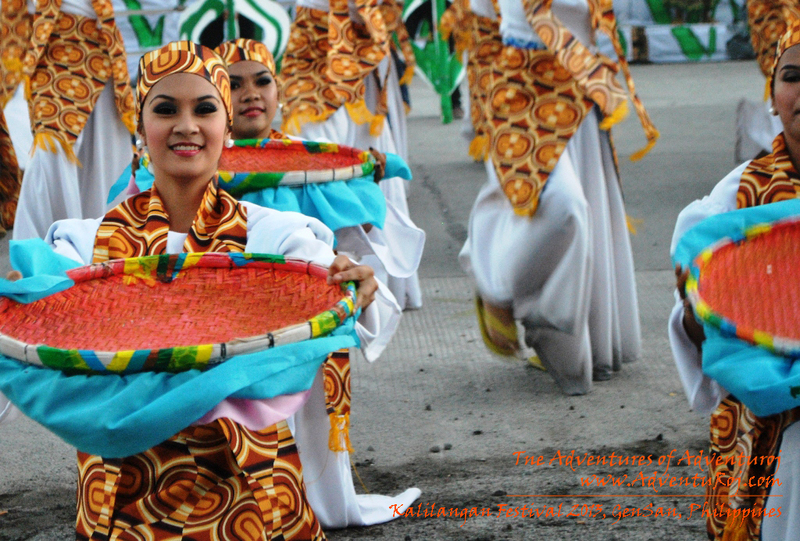 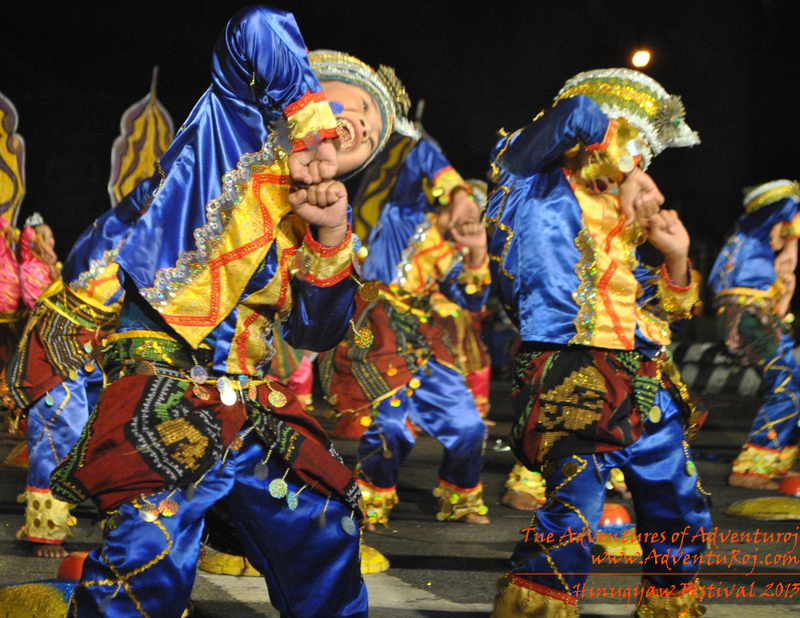 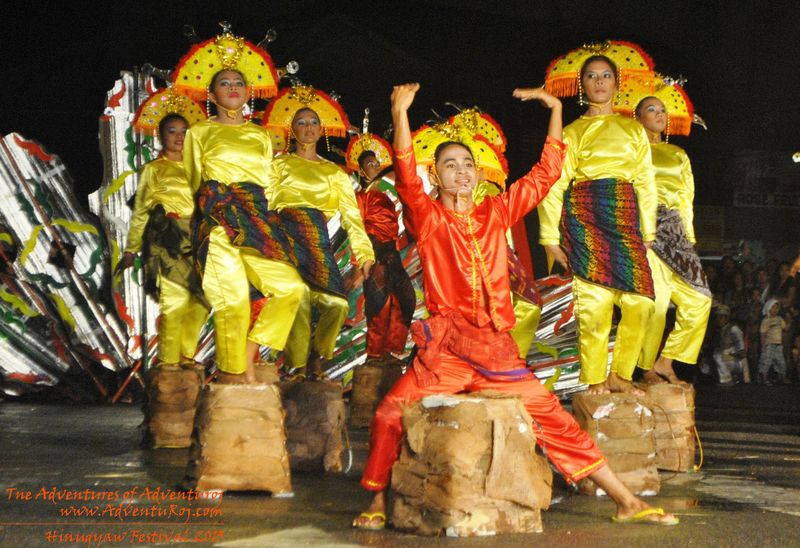 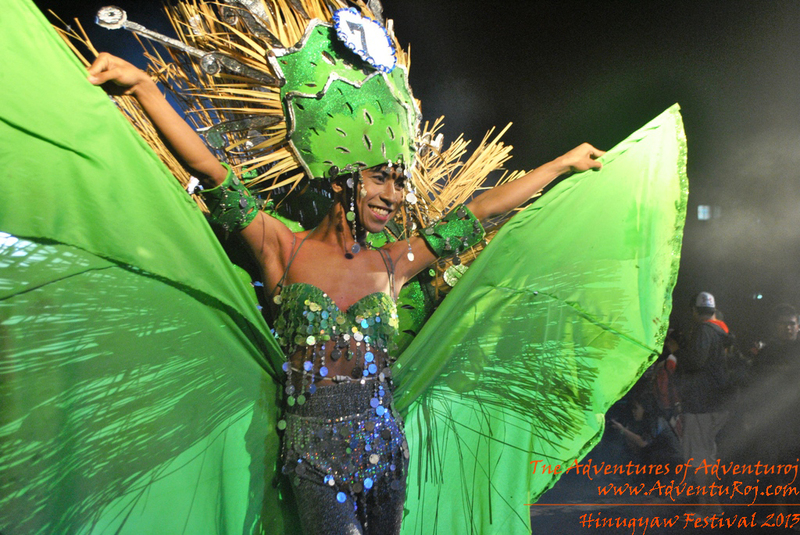 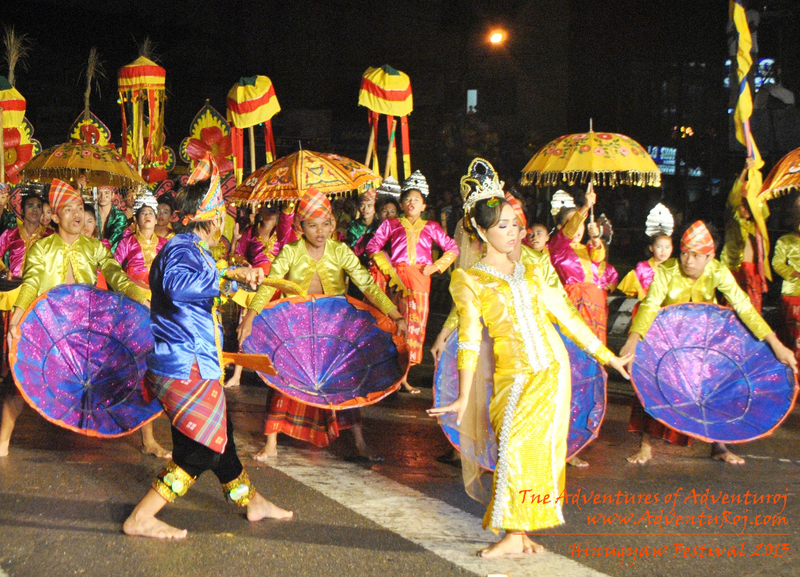 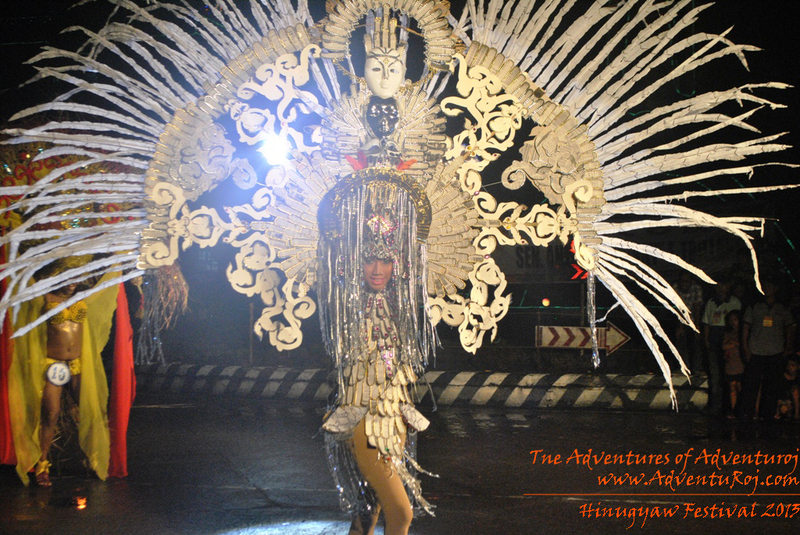 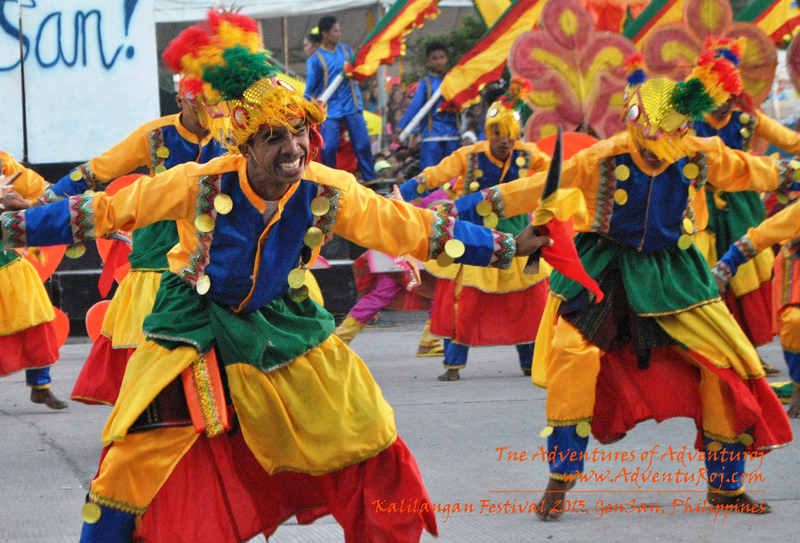 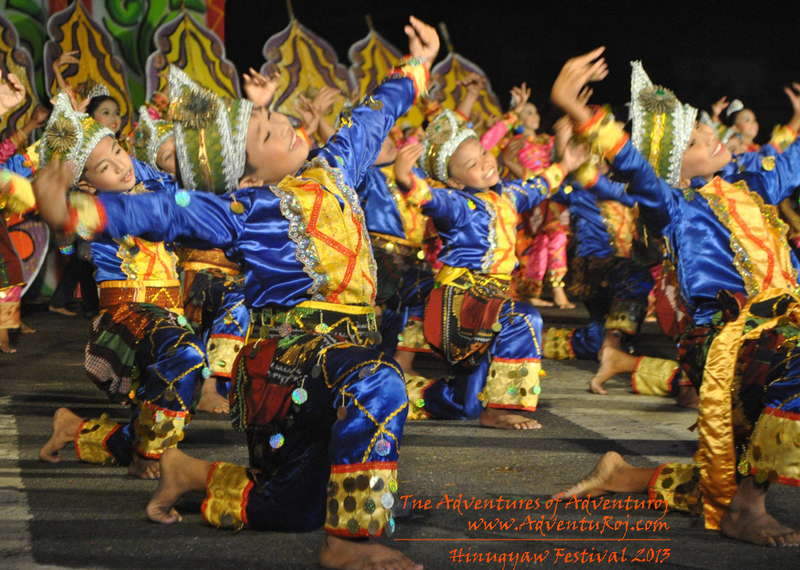 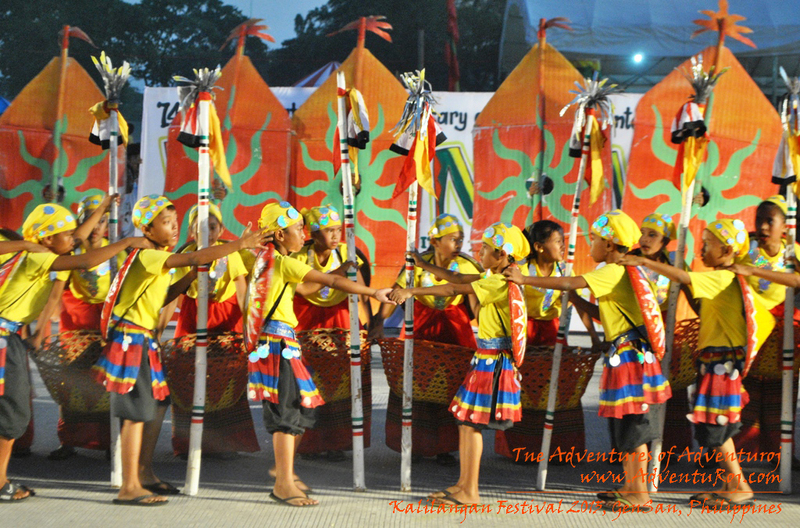 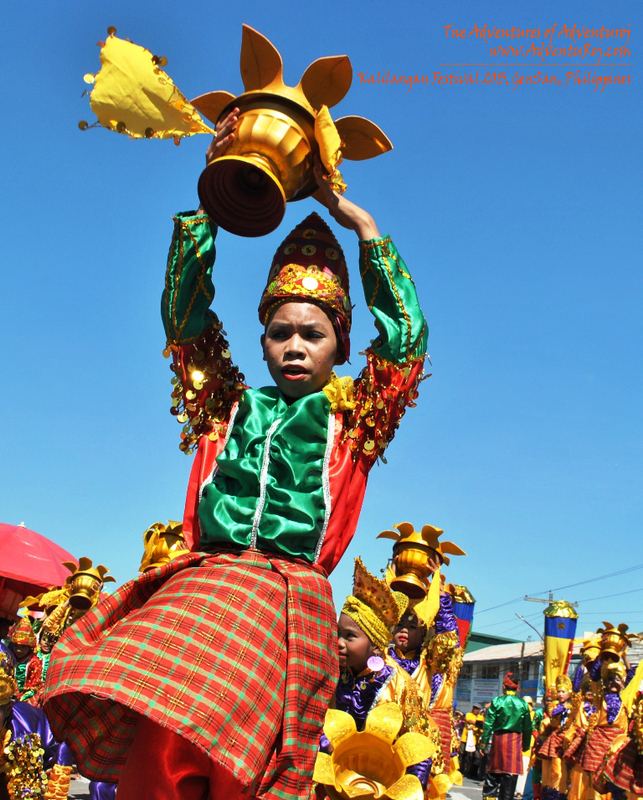 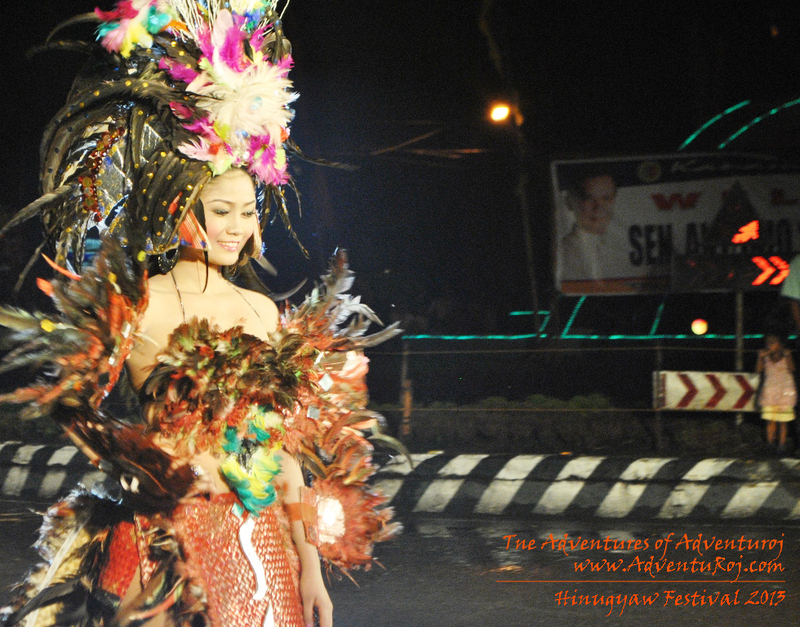 “Kadsagayan” or the glamorous street dance parade portrays the traditional tri-people’s dances. 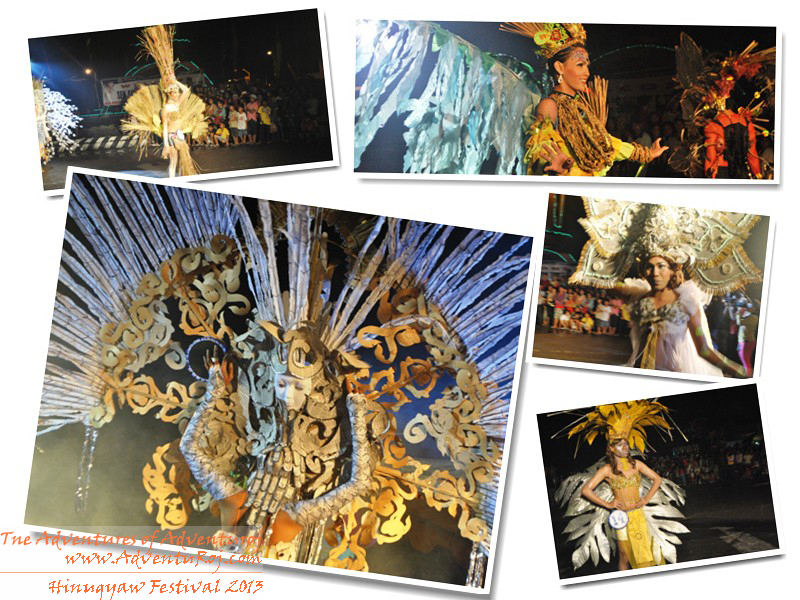 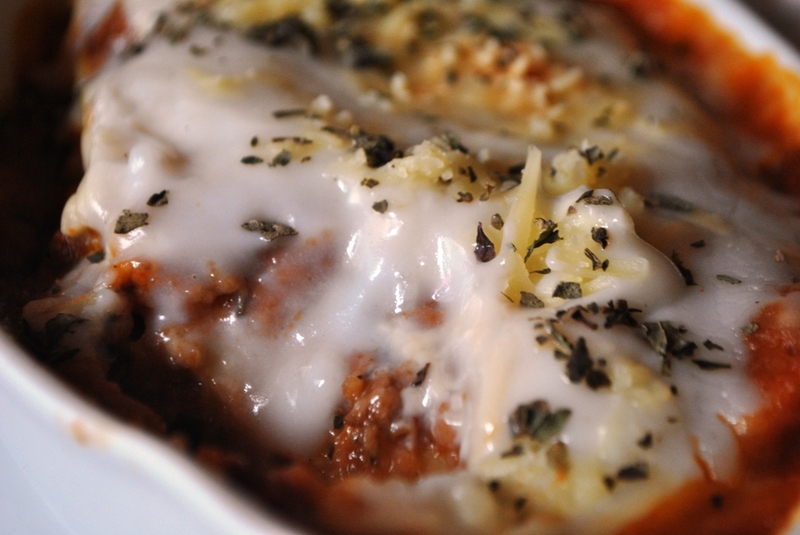 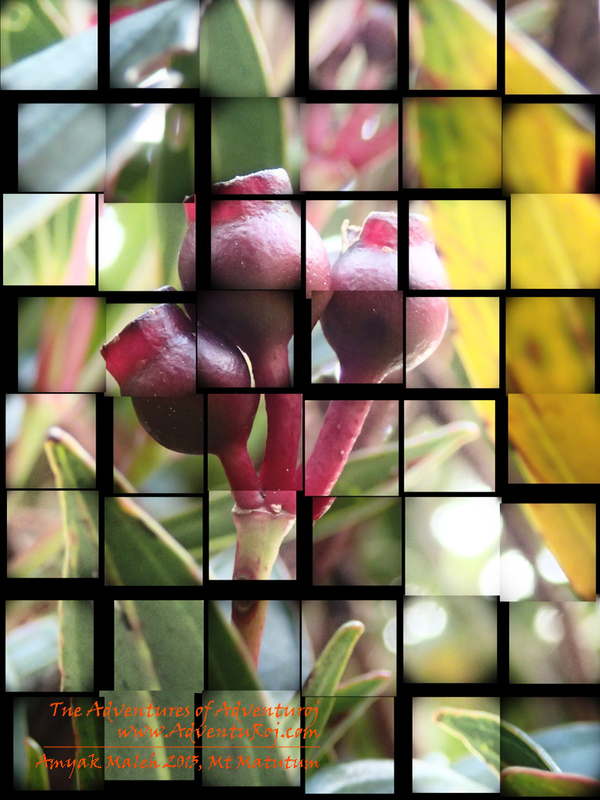 May your eyes enjoy the feast and parade of photos and color! 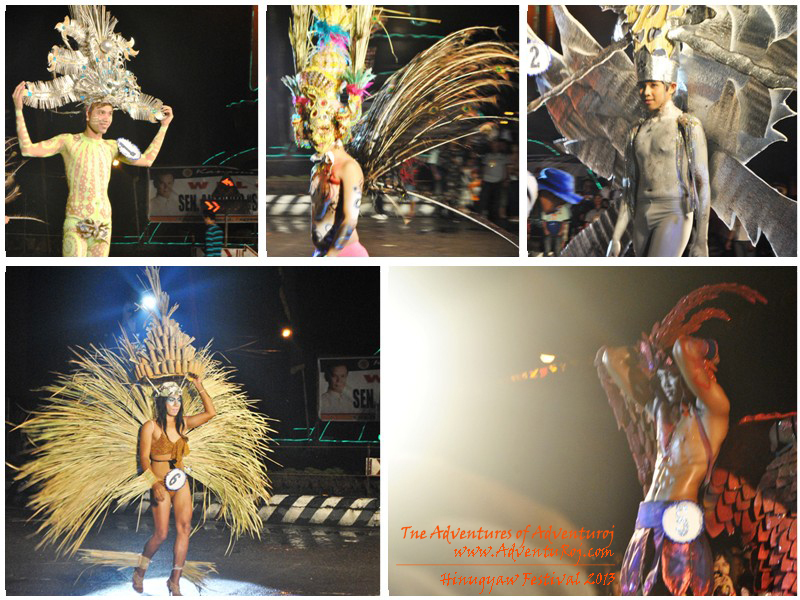 Now who do you think will win? 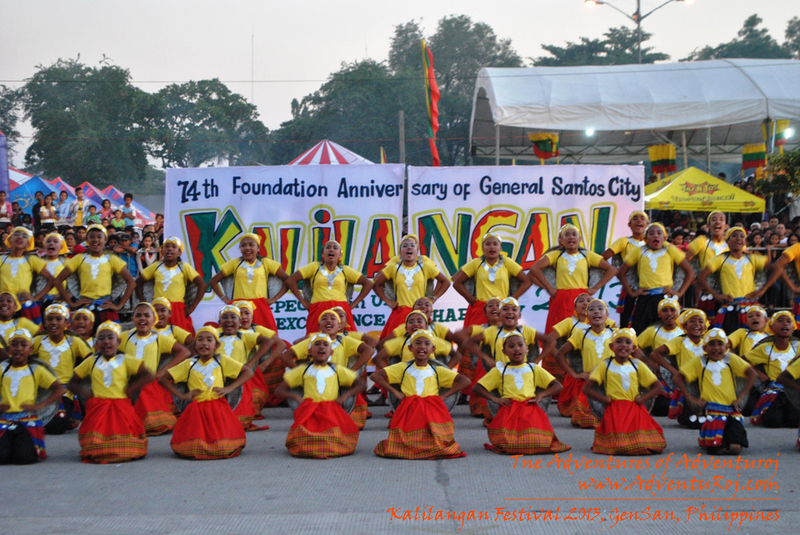 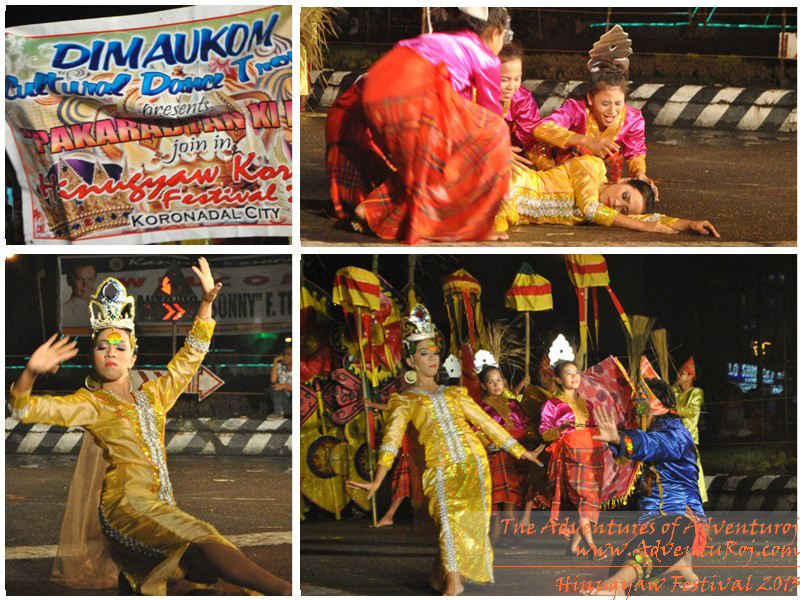 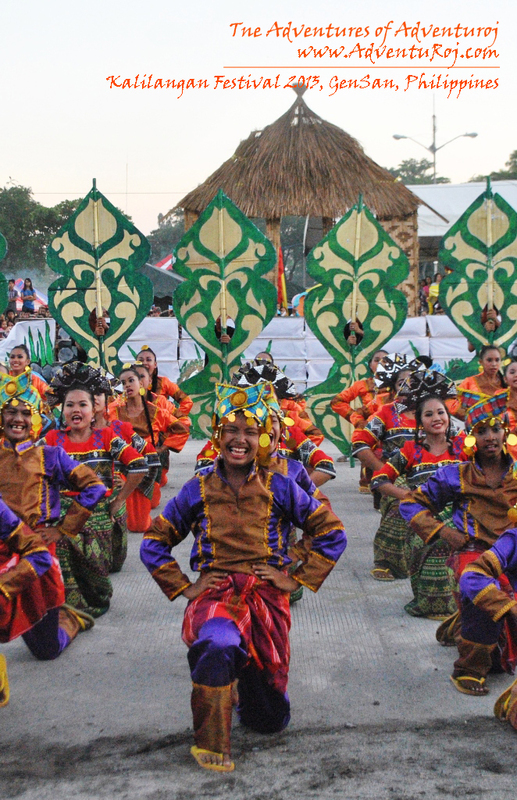 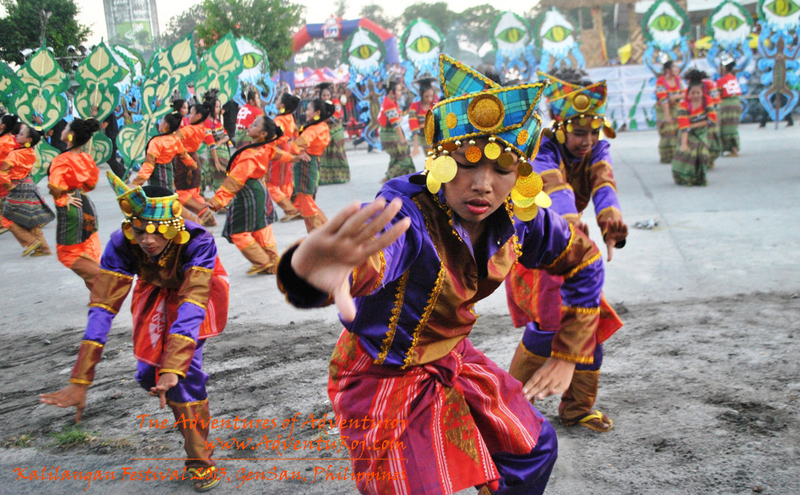 Binandisan Performing Arts Group from Buluan, Maguindanao was declared overall champion in the Kadsagayan Streetdance competition 2013 at the Oval Plaza Wednesday, February 27. 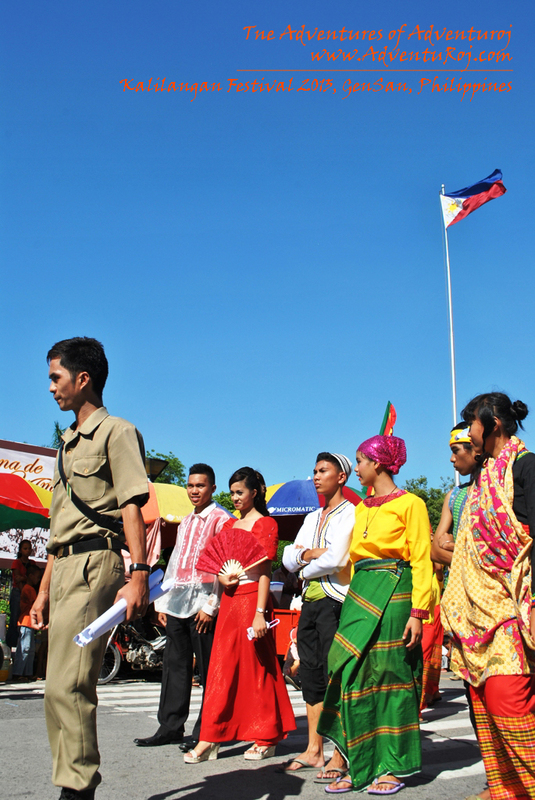 The group bagged P150,000 cash, a trophy and certificate of participation. 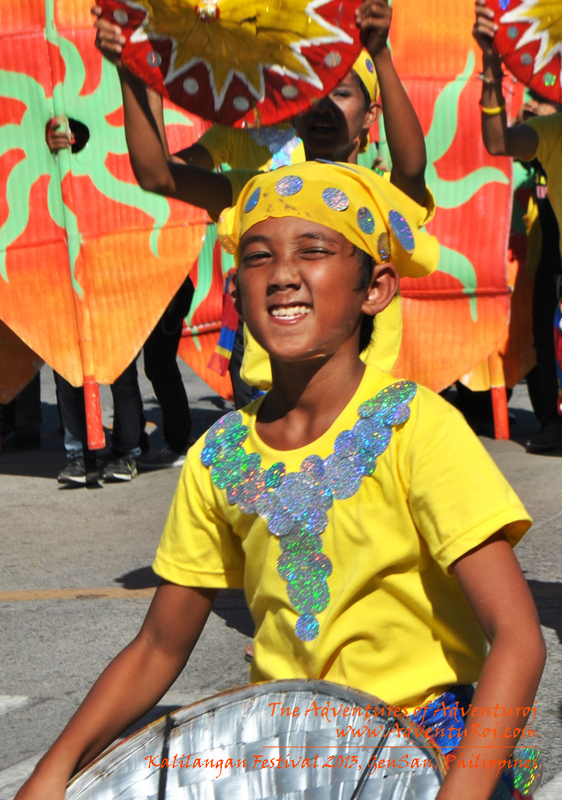 Contingents from Pedro Acharon Elementary School was declared 1st Runner-up. 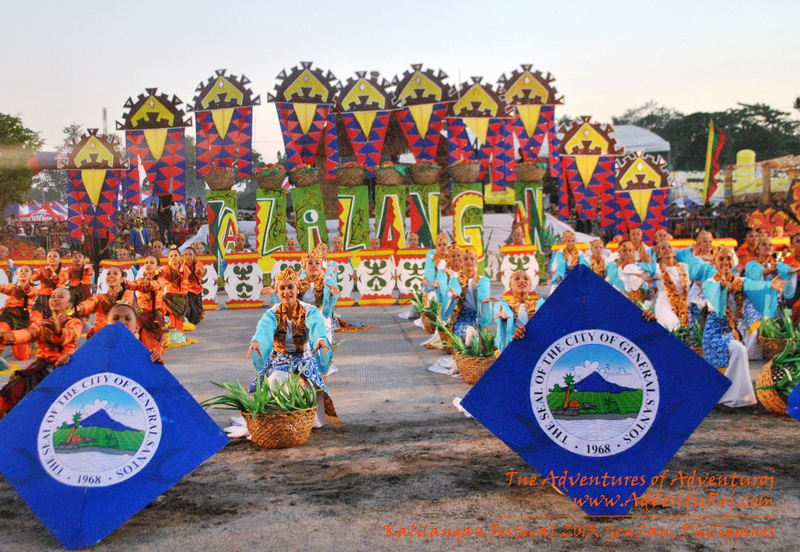 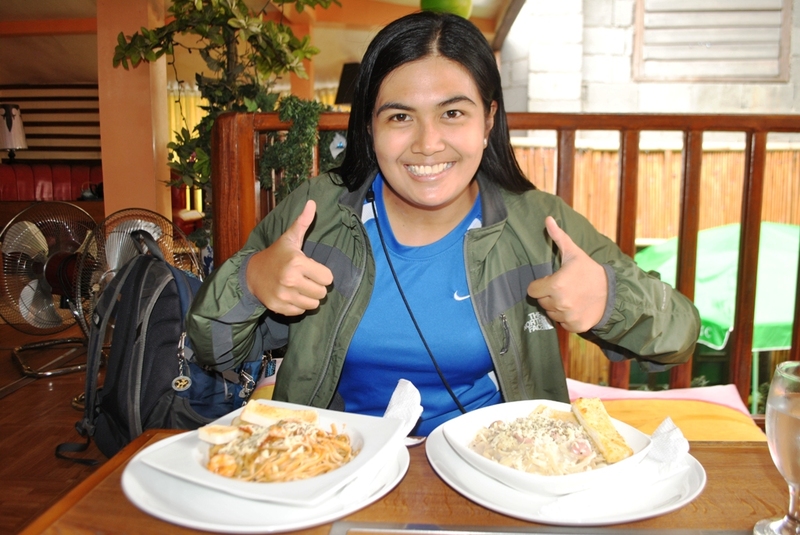 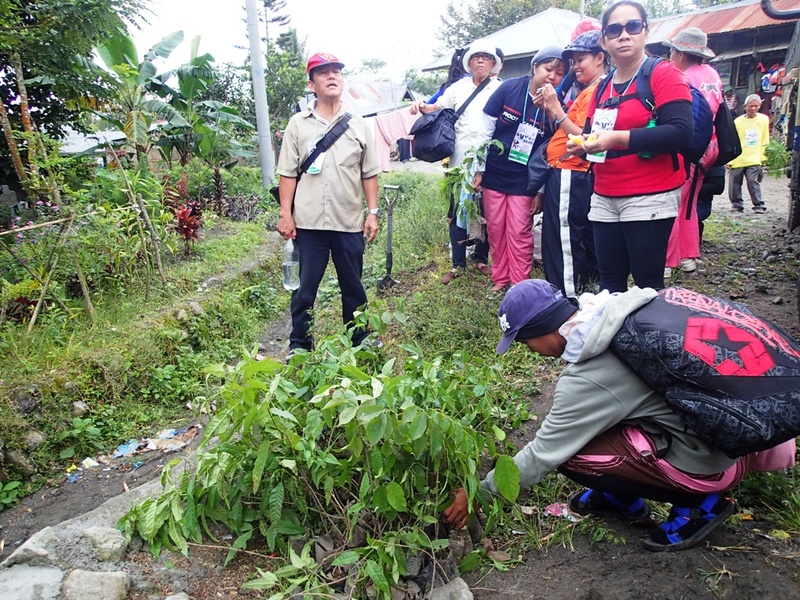 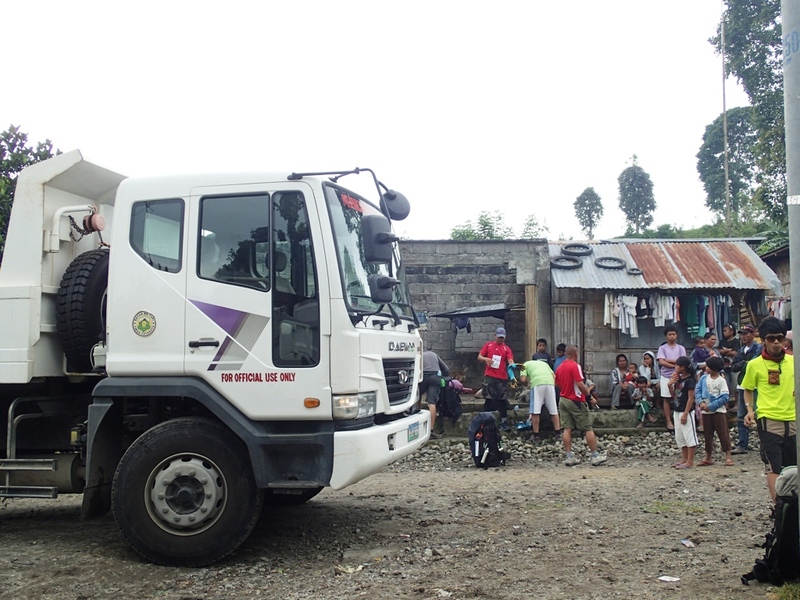 The group bagged P100,000 cash, a trophy and certificate of participation. 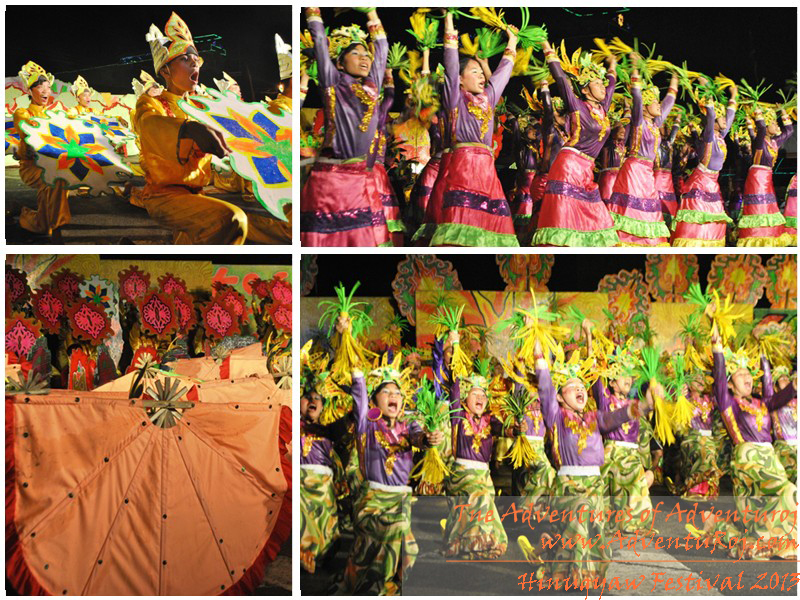 Contingents from General Santos City National Secondary School of Arts and Trade Indak Kabataan Performing Arts was declared 2nd Runner-up. 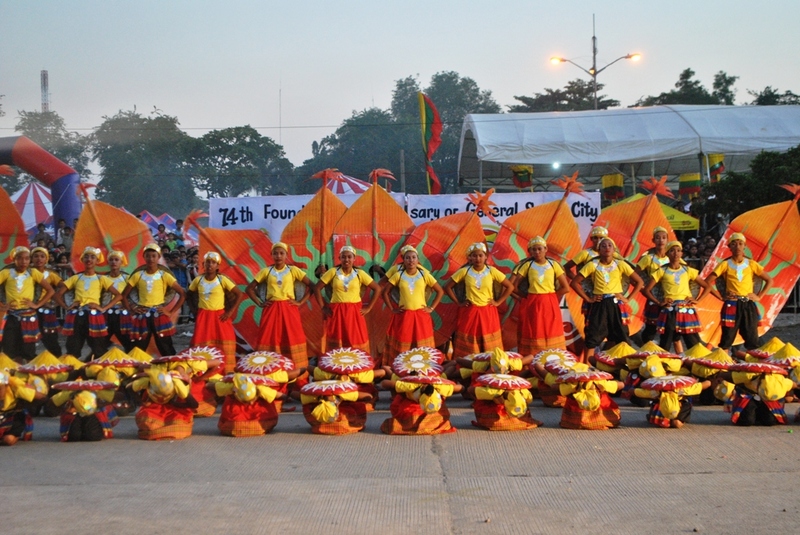 The group bagged P75,000 cash, a trophy and certificate of participation. 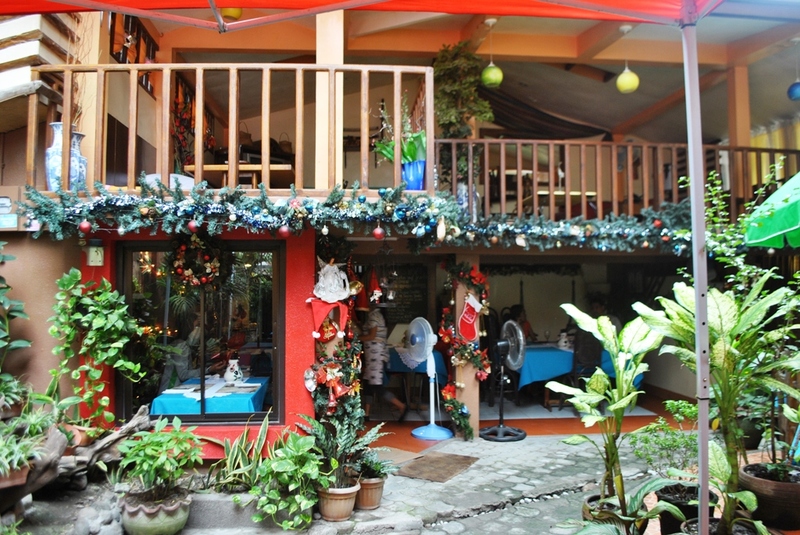 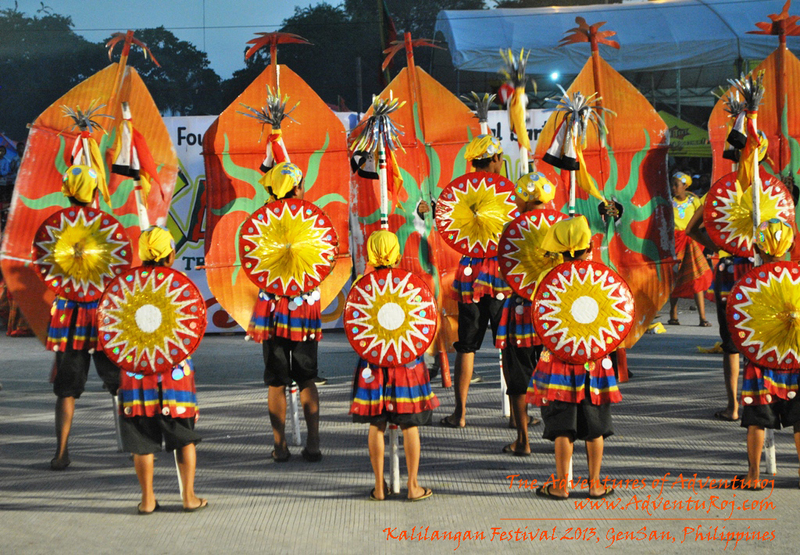 Kalilangan is a noble tradition. 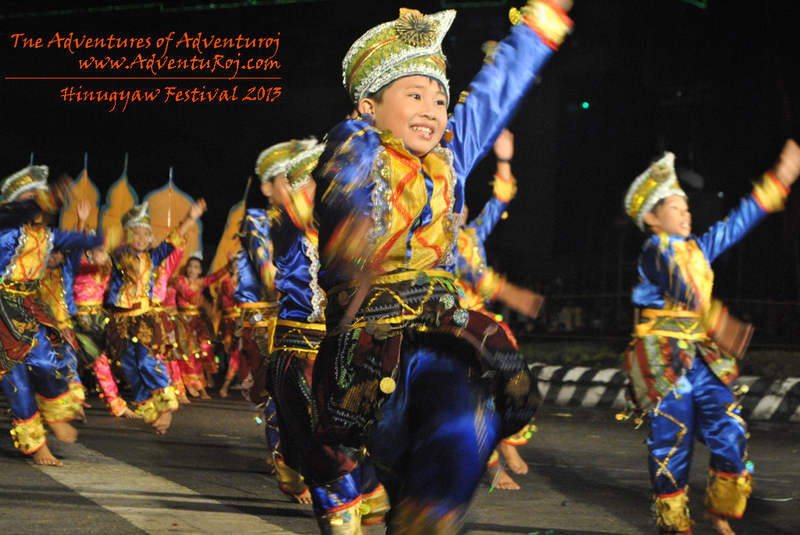 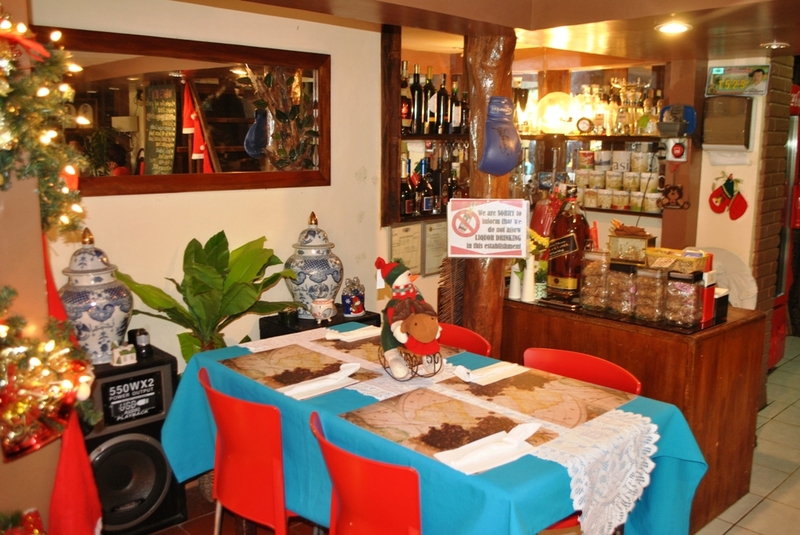 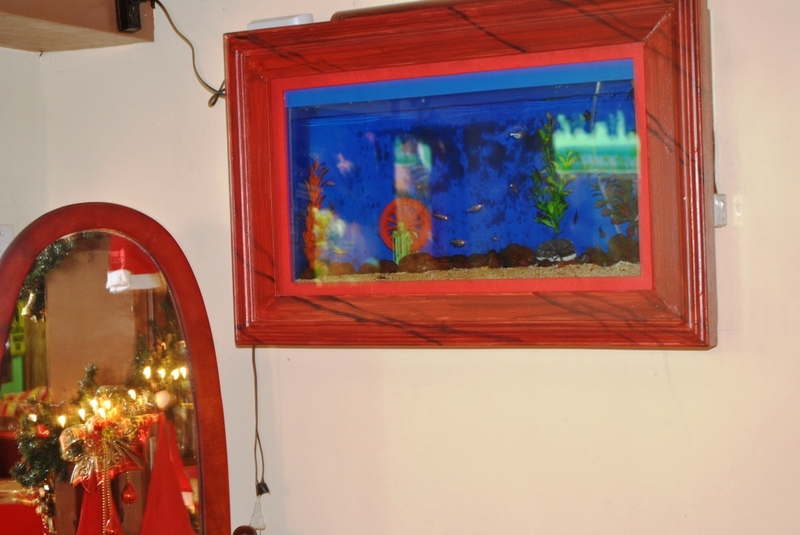 It is a complete work of art nourished and nurtured by a rich cultural heritage that has withstand the test of time from generation to generation. 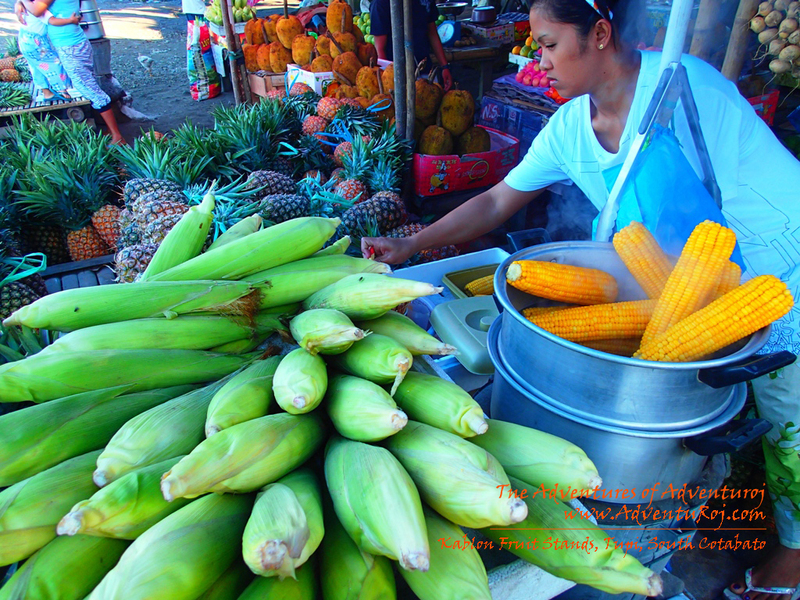 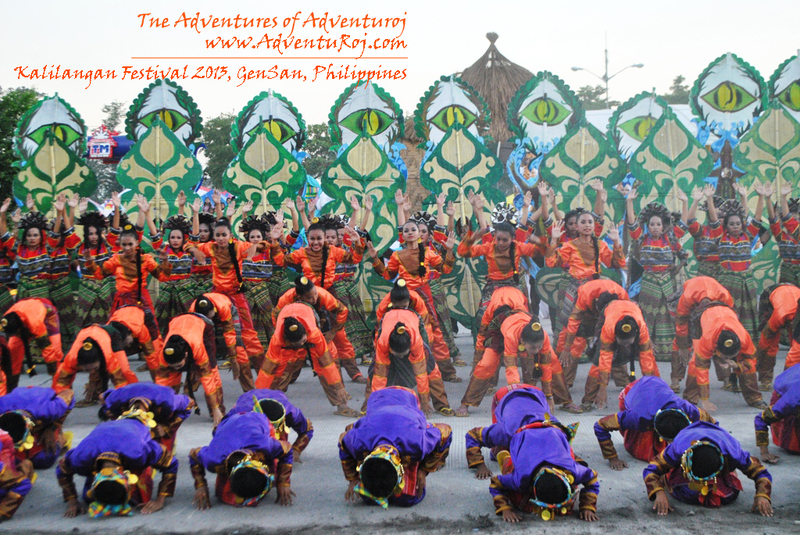 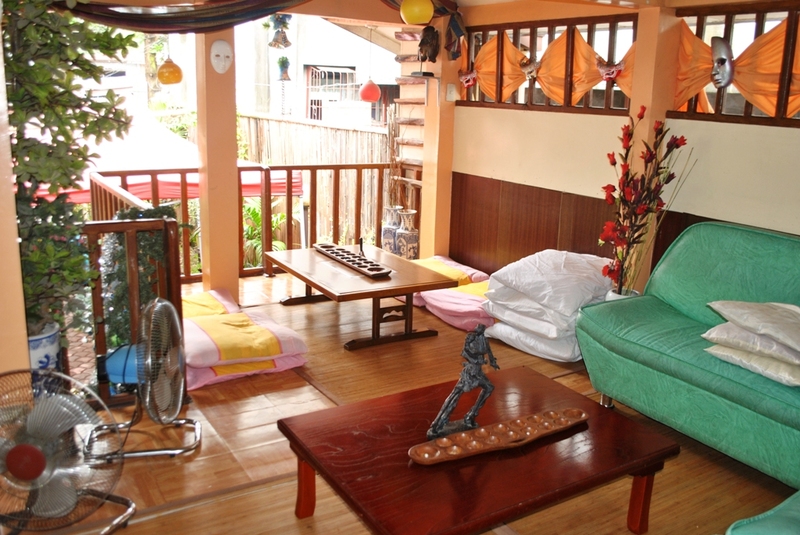 Indeed a portrayal of a culture that is only in General Santos! 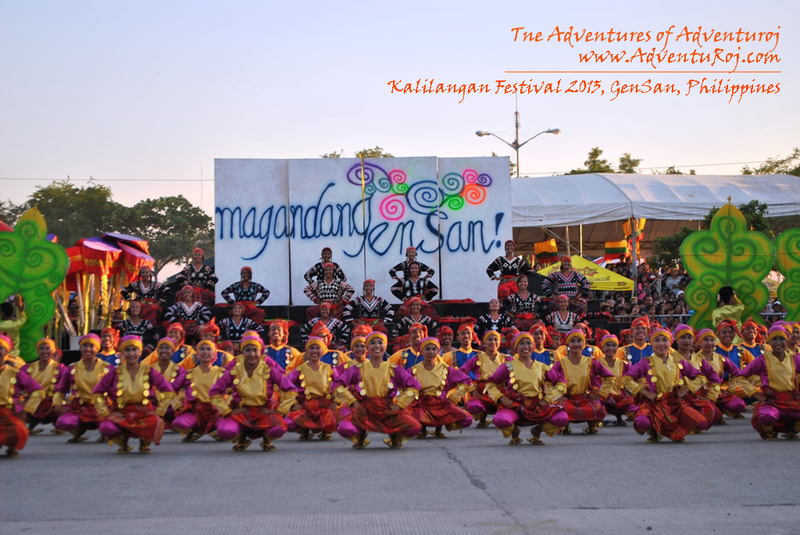 One thing that I’ve just noticed is that although the Kalilangan Celebration is a week long event, however the Street Dancing competition, which is the highlight of the festivity, falls on a weekday, February 27, making it almost impossible for other interested tourists to be at the festival due to work constraints. 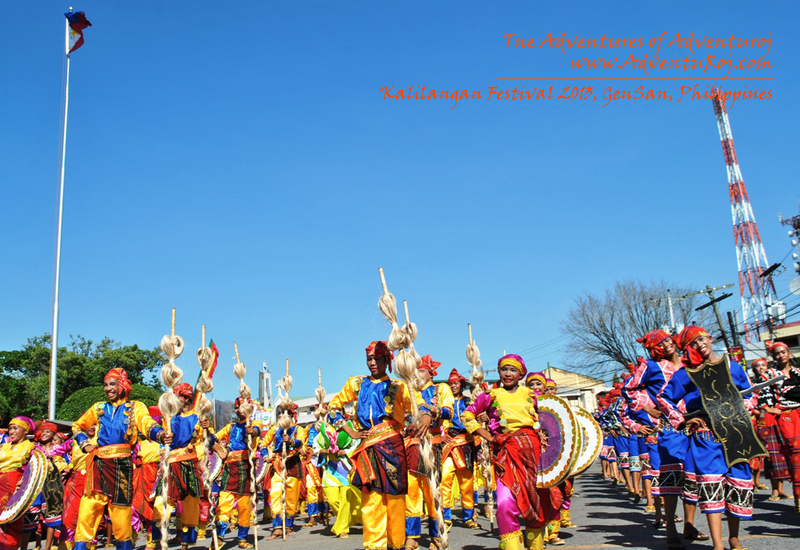 Also, the competition is set to start at 1pm.. just after lunch..
Just imagine the blazing heat of the sun that the spectators and the dancers have to endure to witness the event? 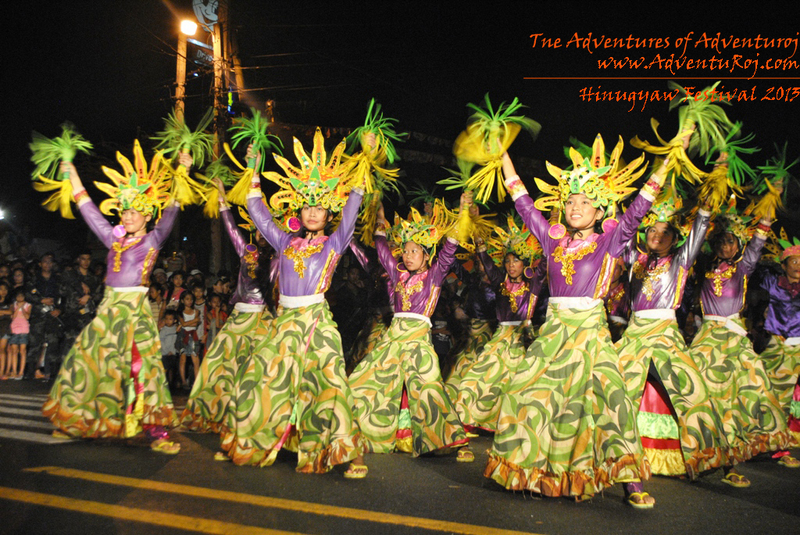 Unlike most of the festivals in the Philippines that I know that starts their street dancing early in the morning or in the evening (like the Hinugyaw) to avoid getting sun burnt. 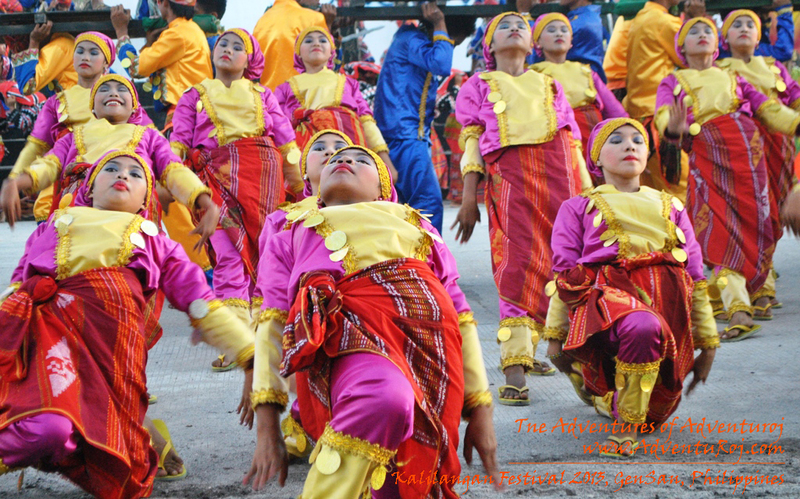 Just take a look at these dancers, in their faces reflects the heat they have to endure. 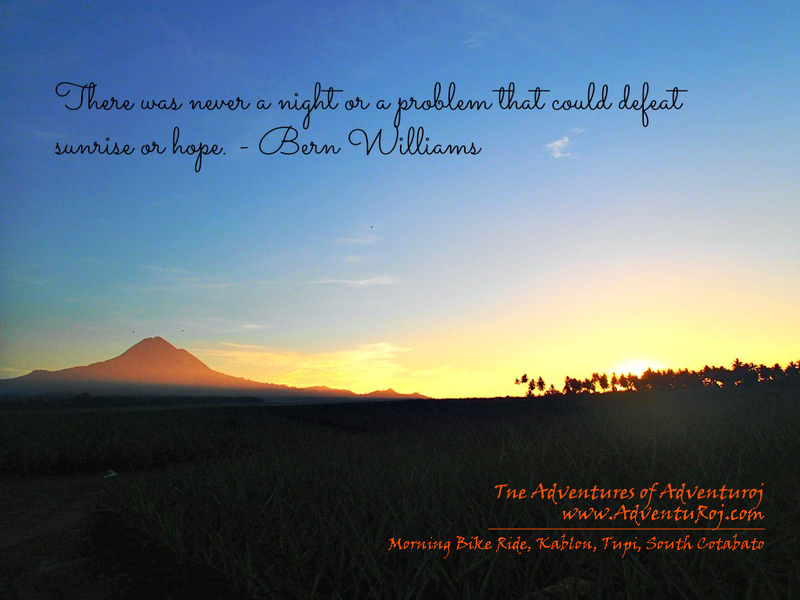 You probably had been to South Cotabato, but I’m sure you haven’t had a chance to visit this spot yet – none other than the Lake Holon. 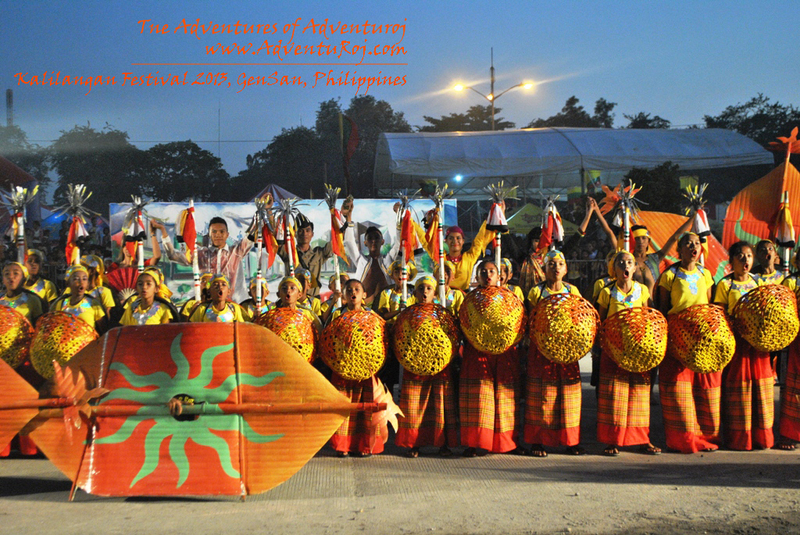 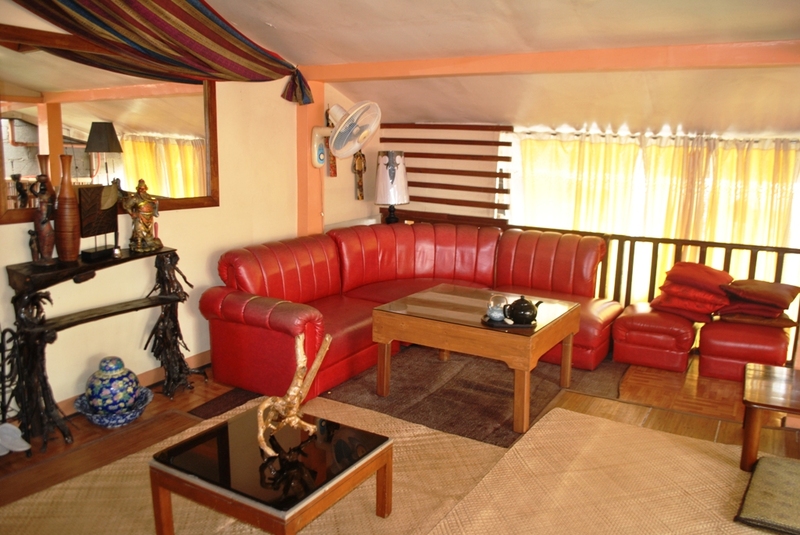 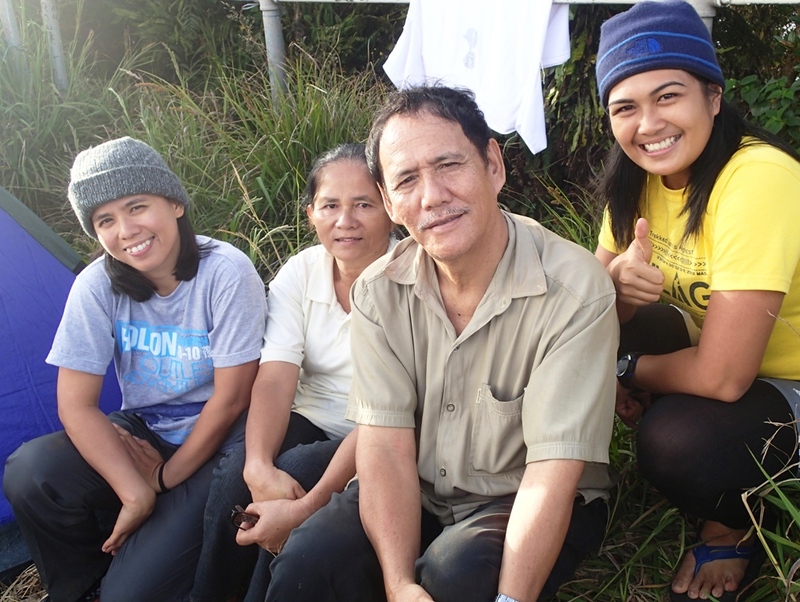 Nestled on the mountains of T’boli, South Cotabato, as the caldera lake of the famed Mt. 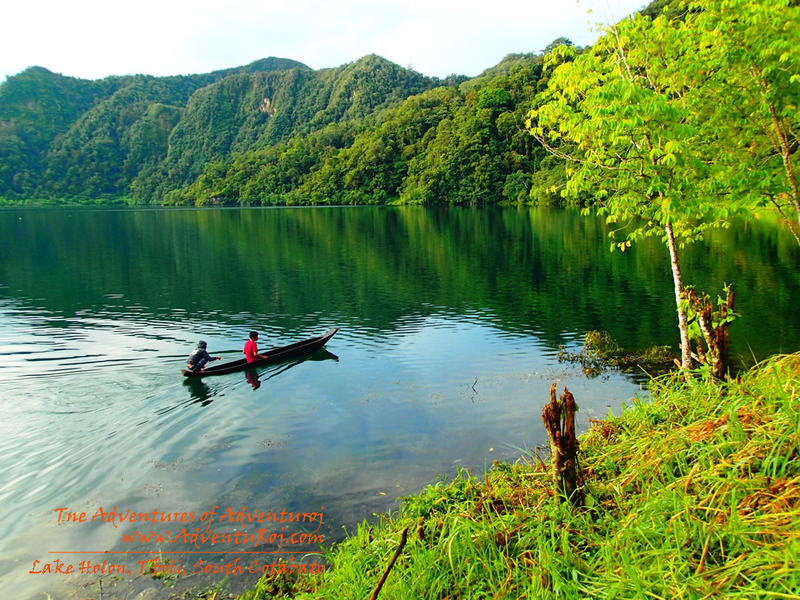 Parker, Lake Holon is considered as the Philippines’ Cleanest Lake. 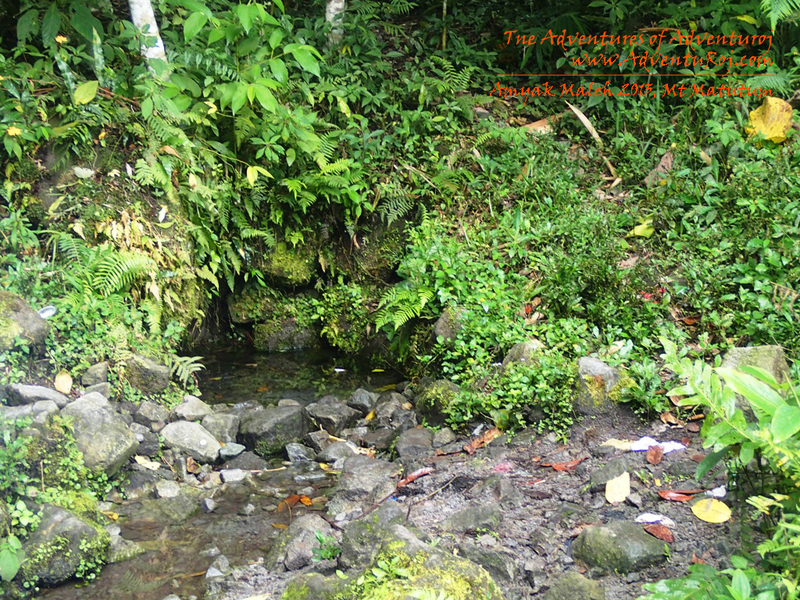 It is said to be so clean that you can drink water from it while swimming. 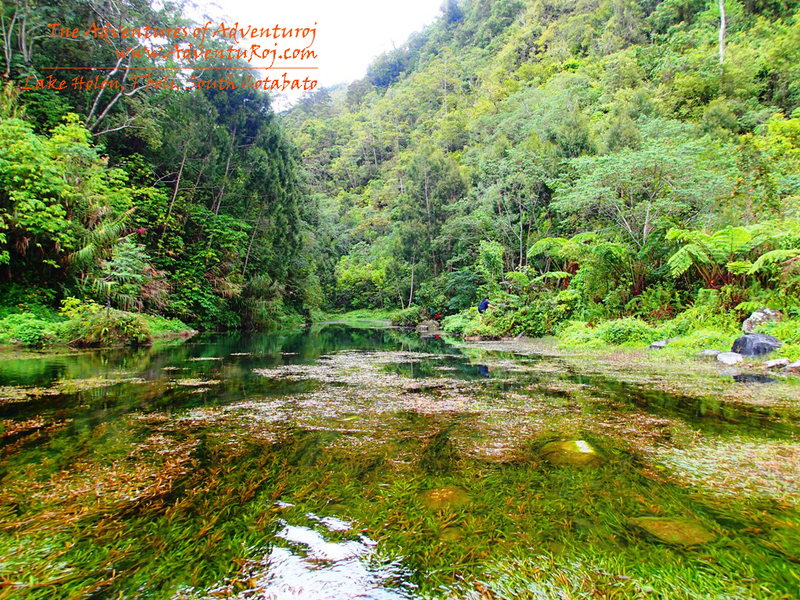 At 1400 MASL, the water is also so cold, but even then, you will desire to swim for that rare moment when you will feel as if you were in some scene in “Crouching Tiger / Hidden Dragon”. 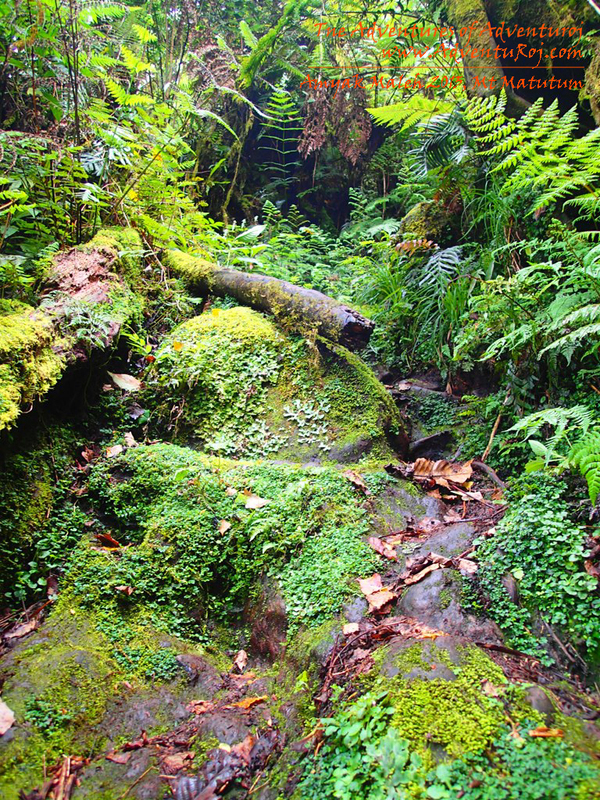 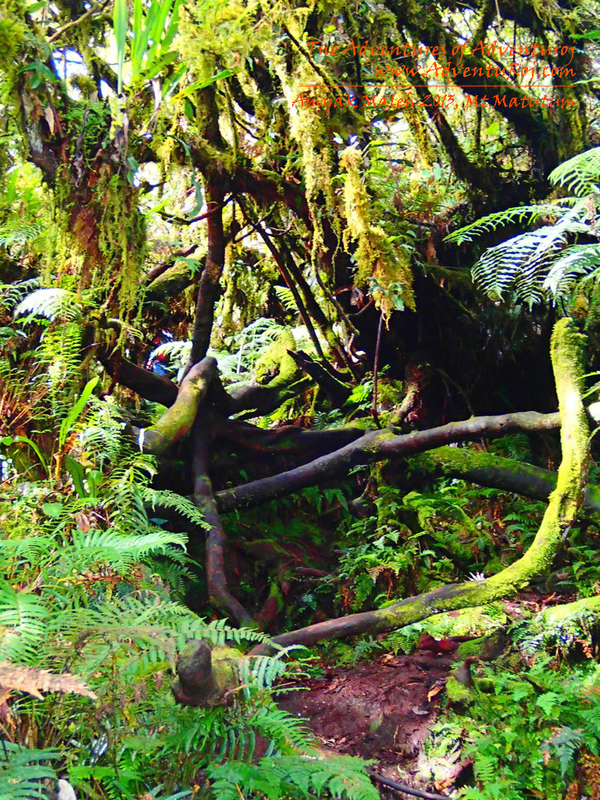 Surrounded by mountaintops and a virgin forest, it is so secluded and peaceful, even to the point they said that you will not be surprised if a dinosaur sprung out of the forests. 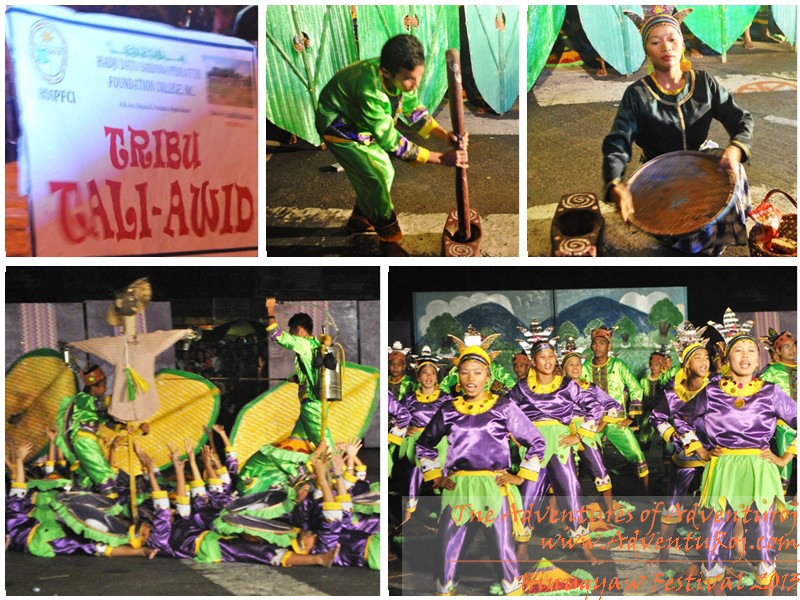 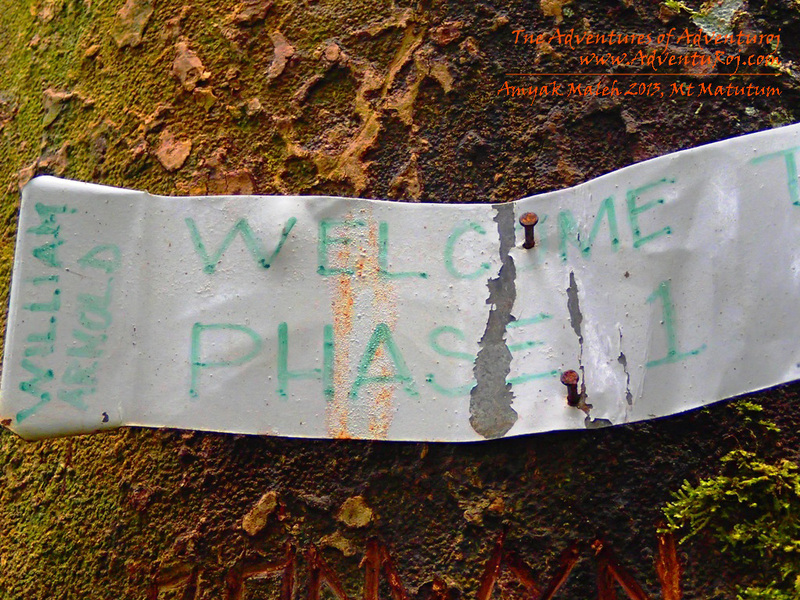 So when I received an invite from the tourism department of T’boli, I instantly said yes! 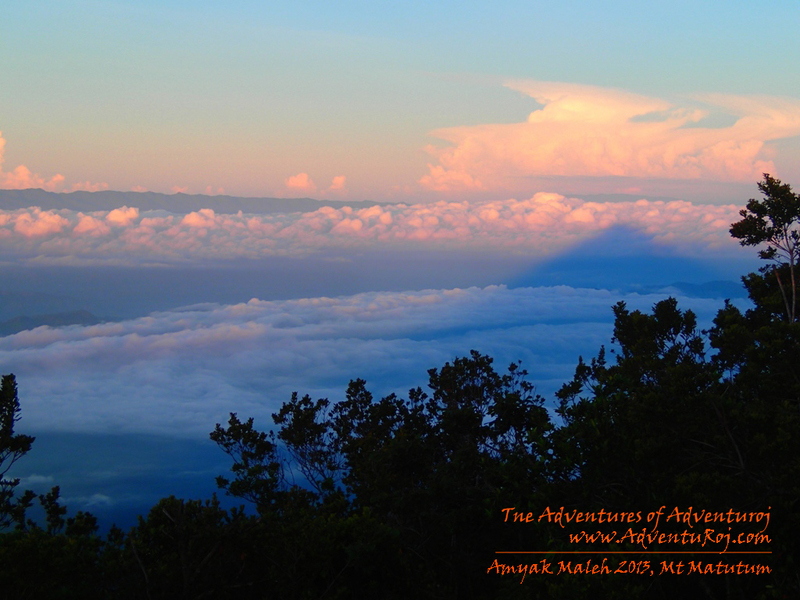 The itchy feet couldn’t resist this chance of a lifetime! 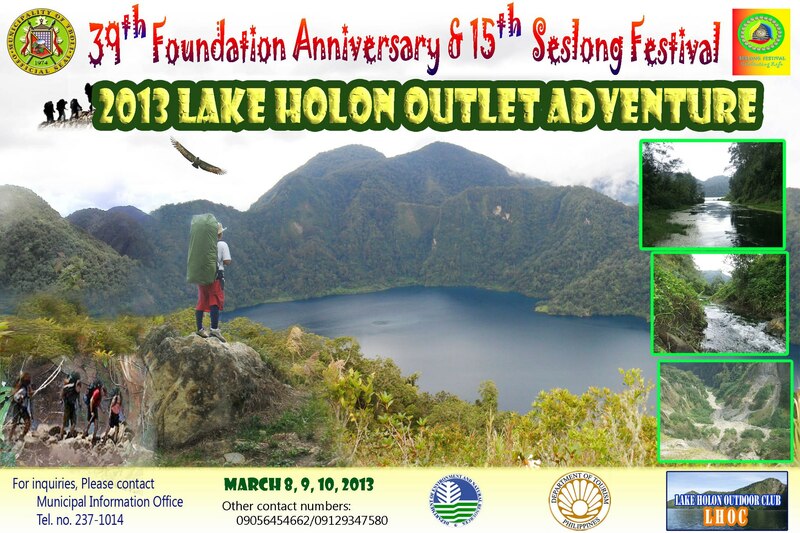 Lake Holon was said to have been formed by a volcanic eruption on Jan. 4, 1641. 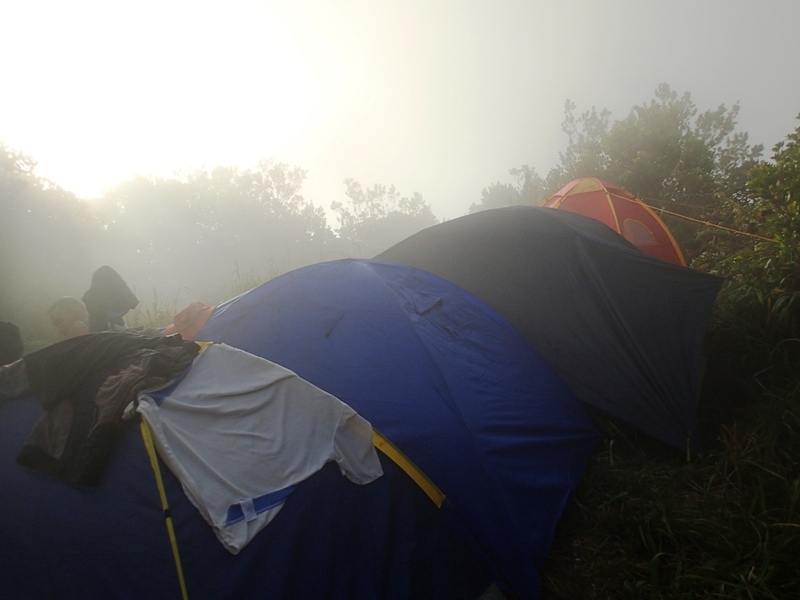 At this time, the mountain was called Melibongoy. 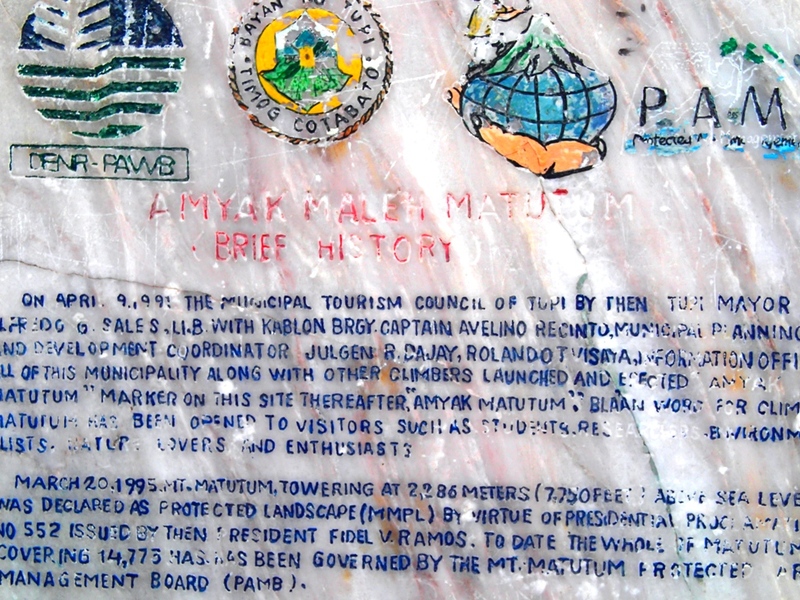 Centuries later, a n American surveyor pilot named Parker crashed in the mountain, and since then, the mountain has been named in his honor. 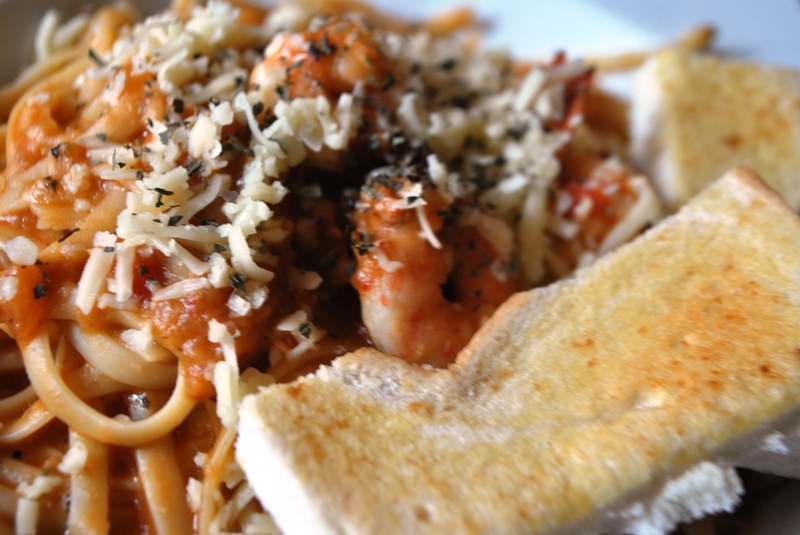 Looking forward to this! 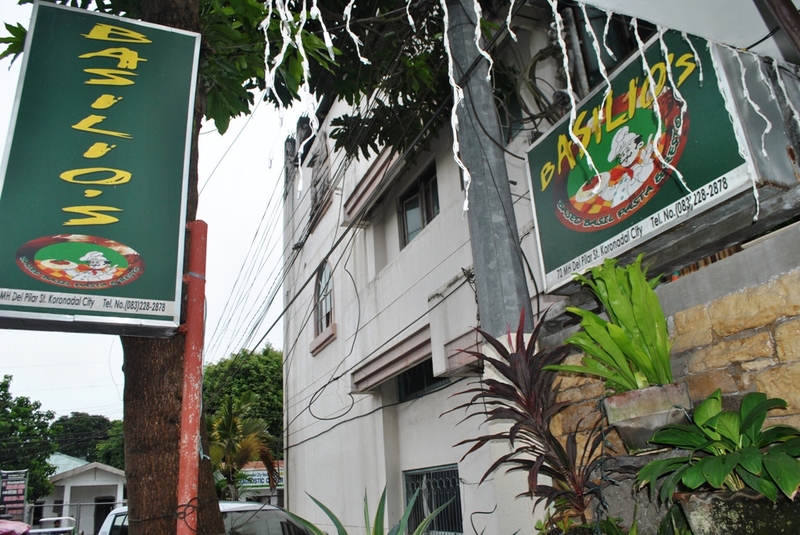 Kita kits! 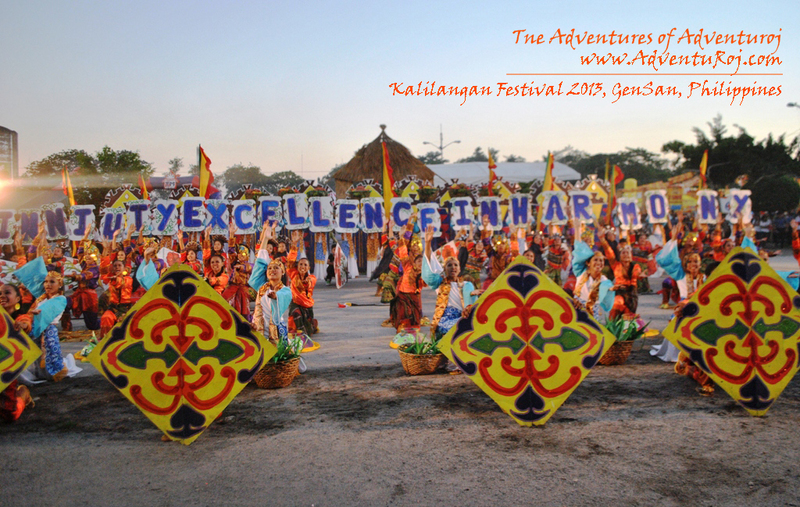 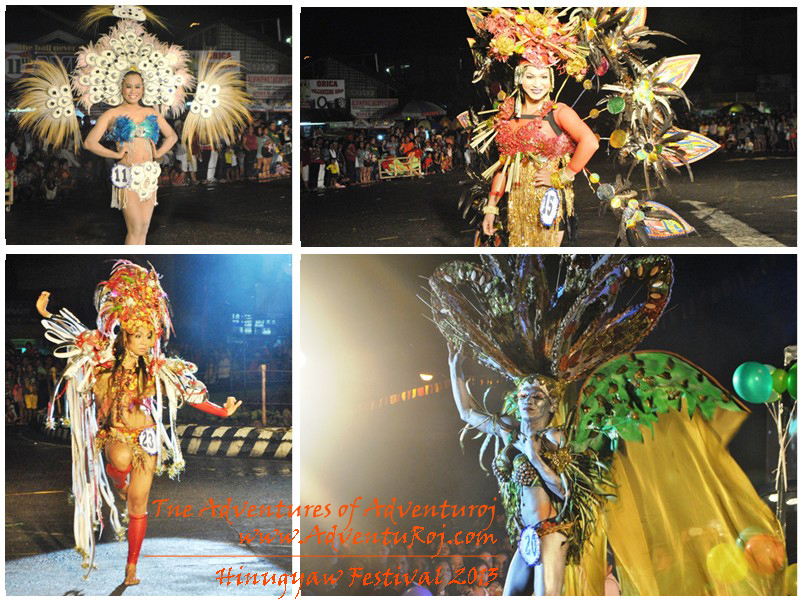 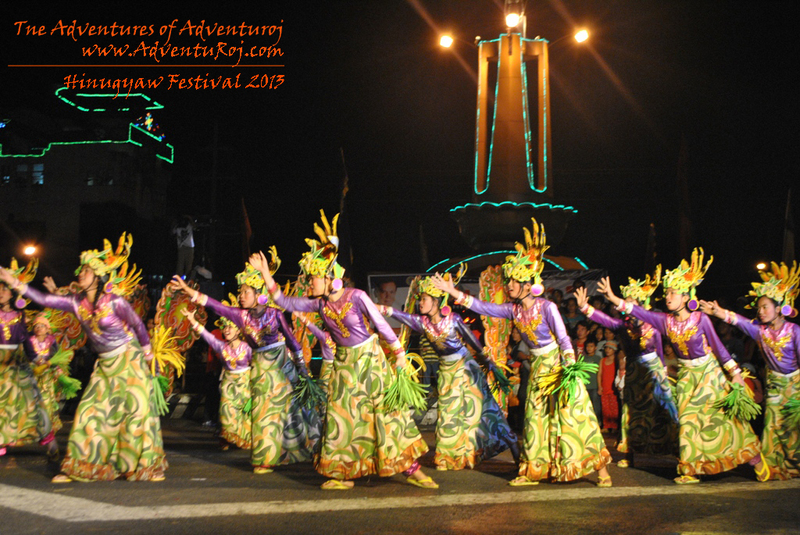 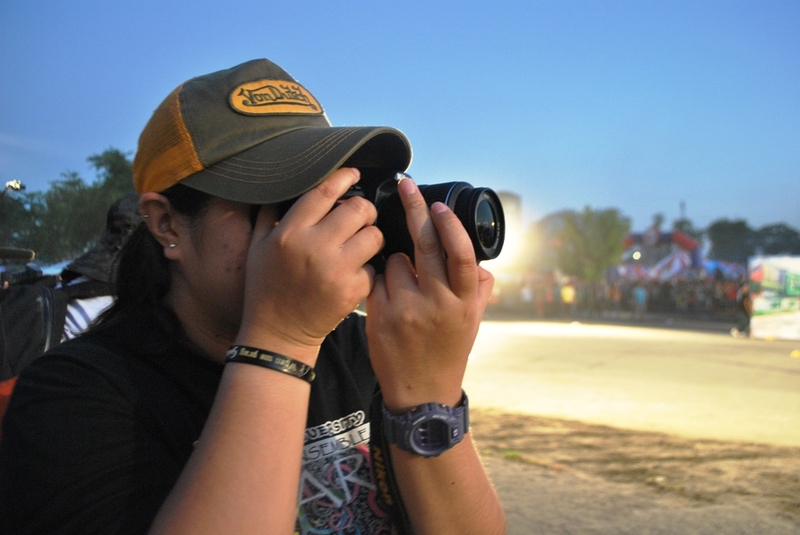 Want to witness another festival down south from South Cotabato? 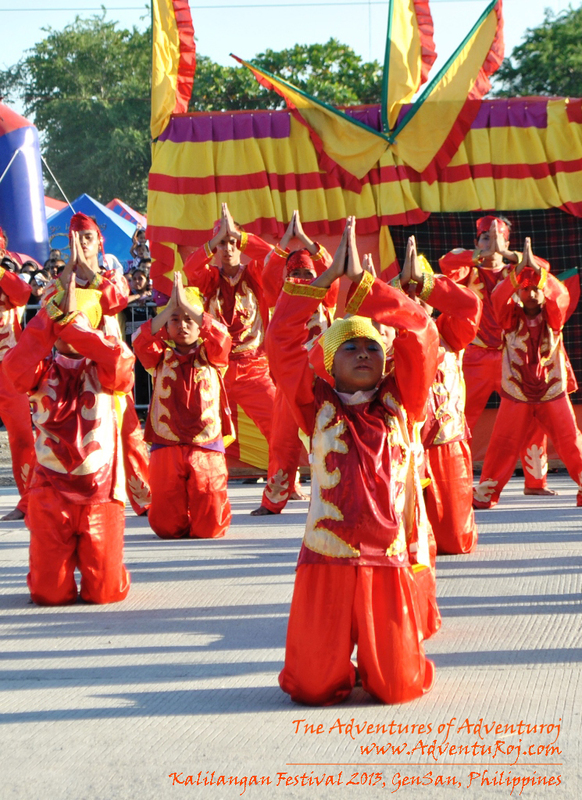 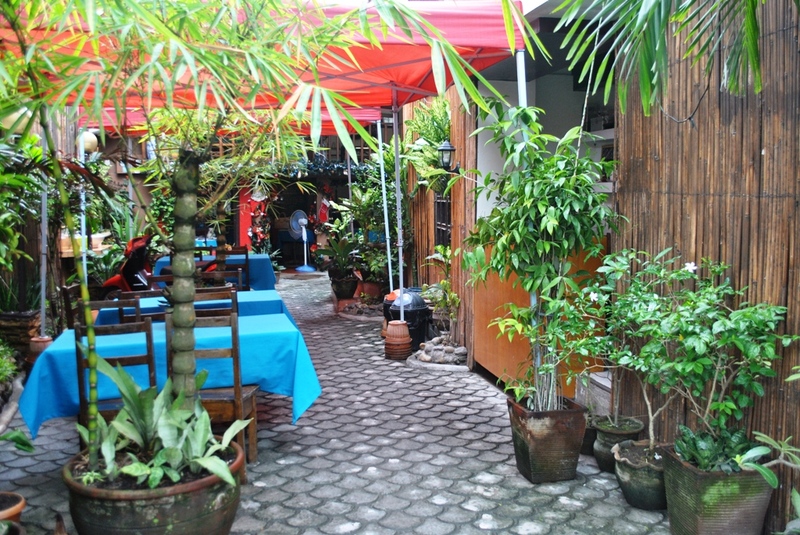 Look no more and head for this year’s Seslong Festival! 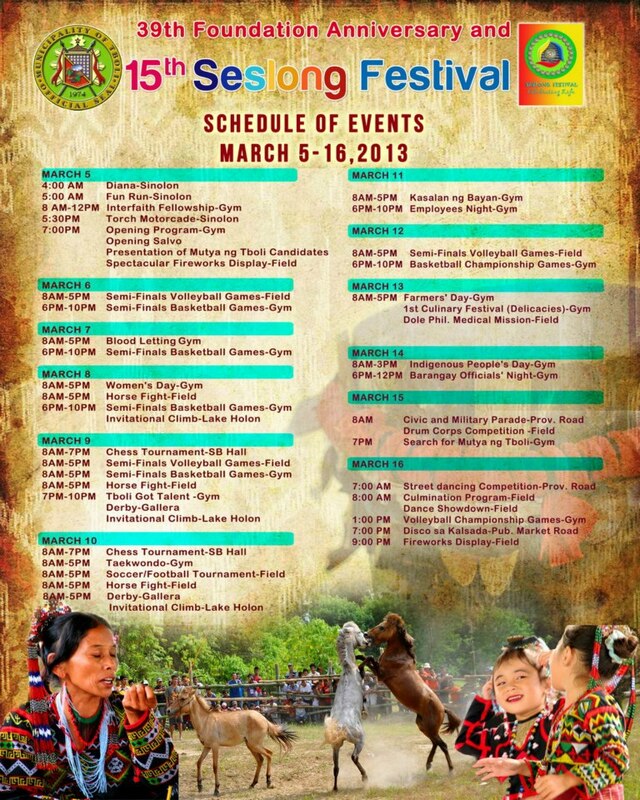 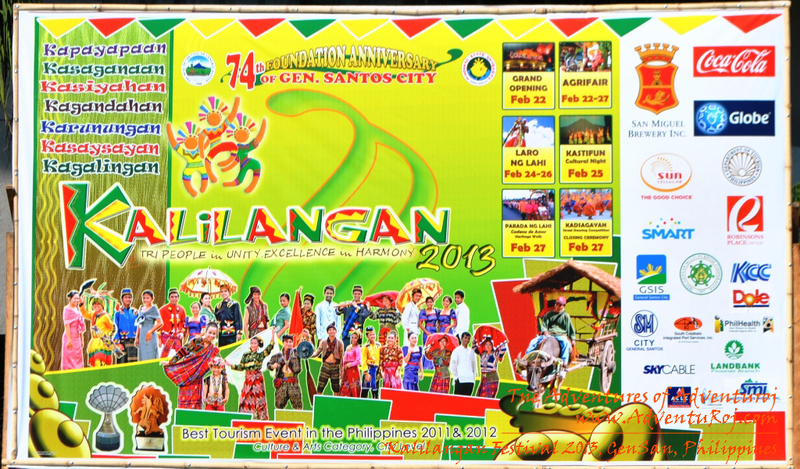 Here’s the schedule of events for the 2013 Seslong festival in the municipality of T’boli, South Cotabato, happening this March 5-16, 2013. 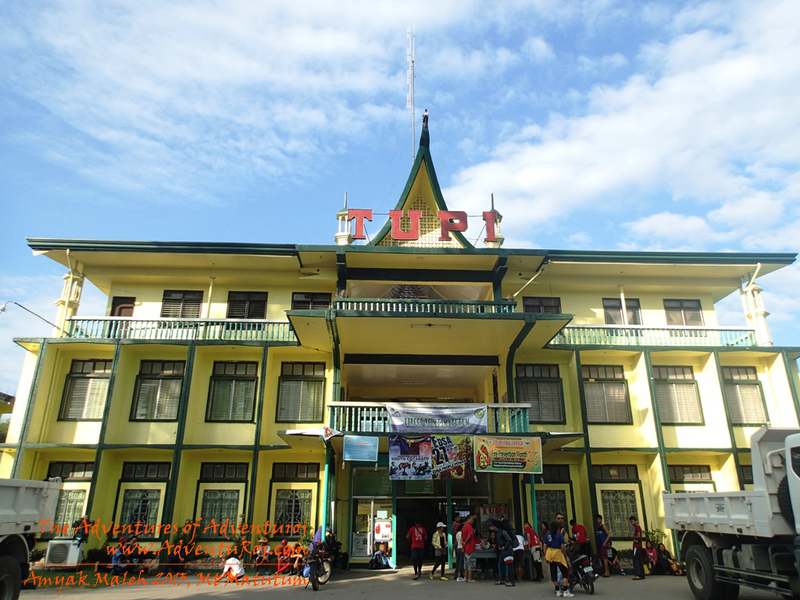 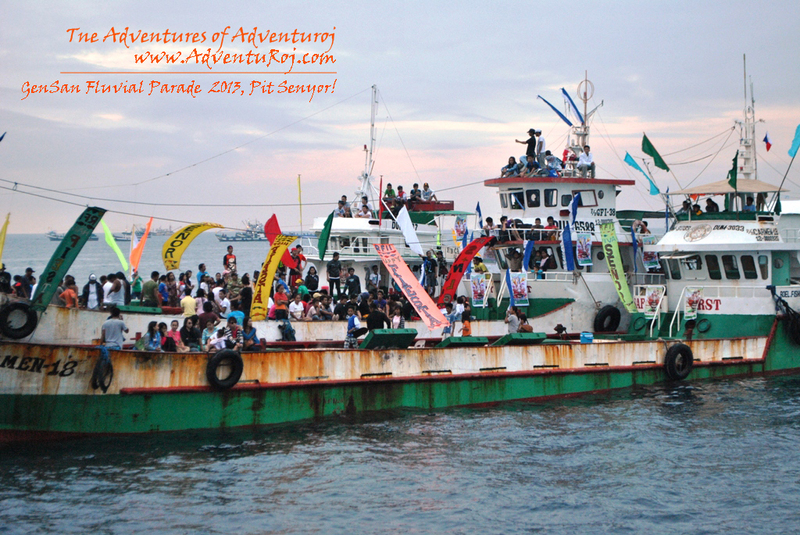 Yet another year, another September 11, and yes another year for the beautiful and bountiful Tupi, my home town. 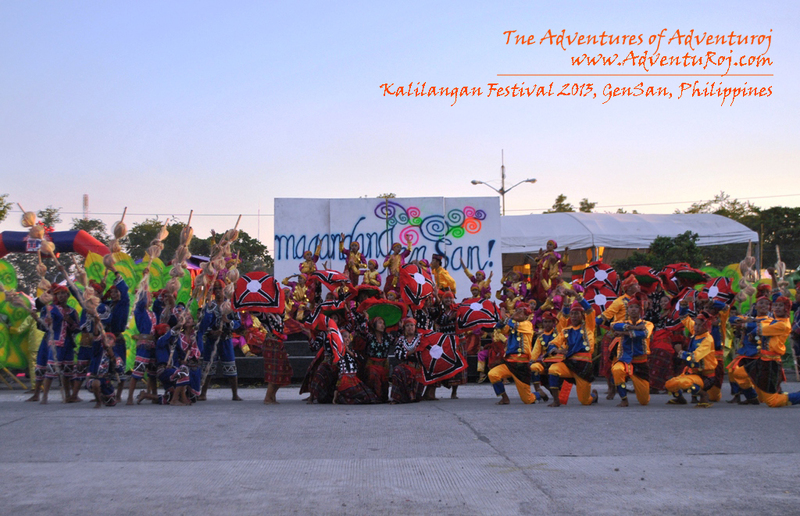 So to bring to you the chronicles of the colorful feast, here’s a sneak peak of what transpired in the joyous merriment. 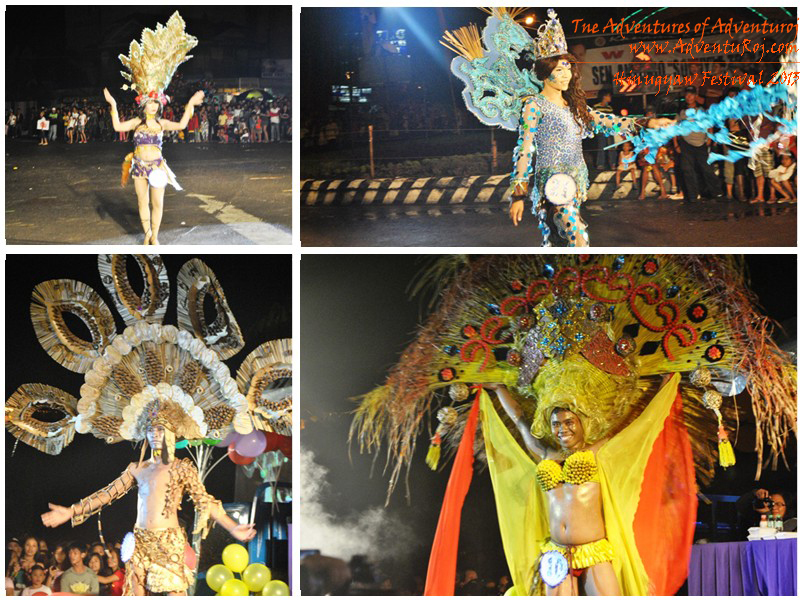 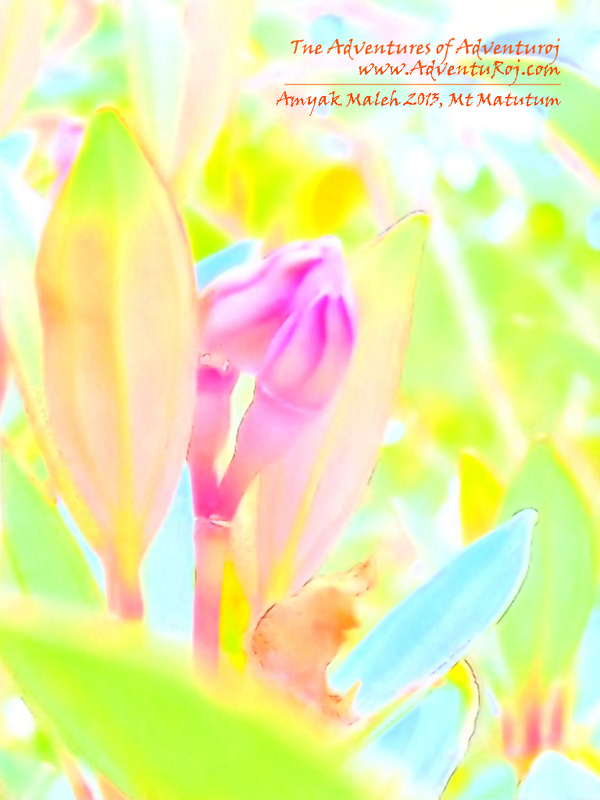 Let your eyes enjoy the parade of colors!